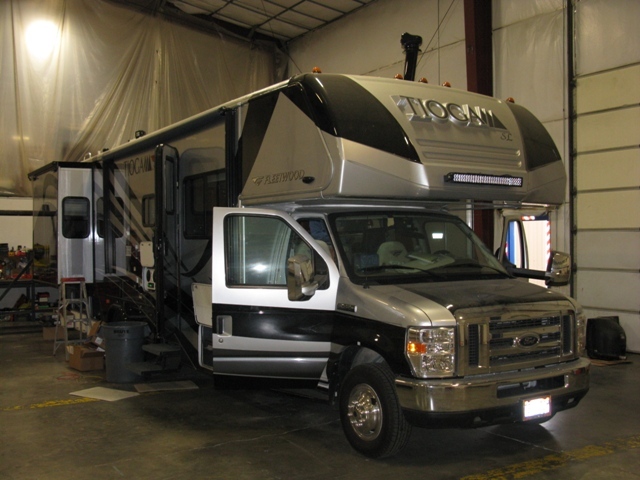 Our latest high tech project has been turning a new Tioga into a rolling demonstration of technology. 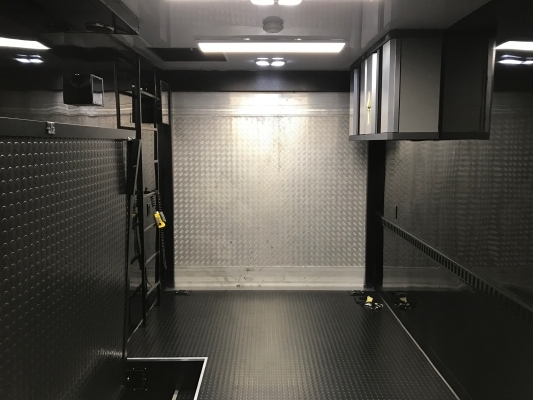 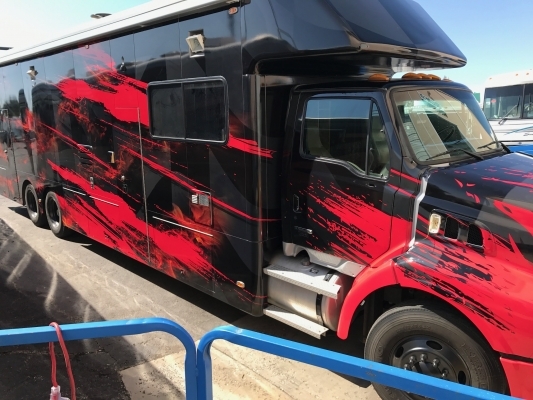 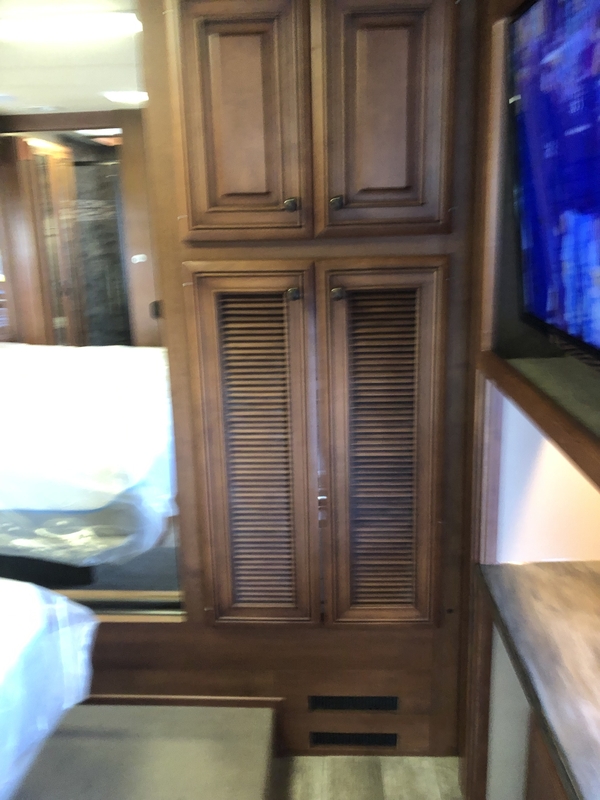 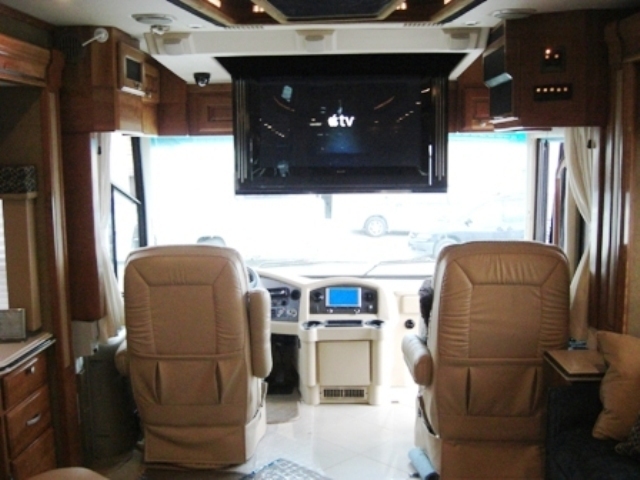 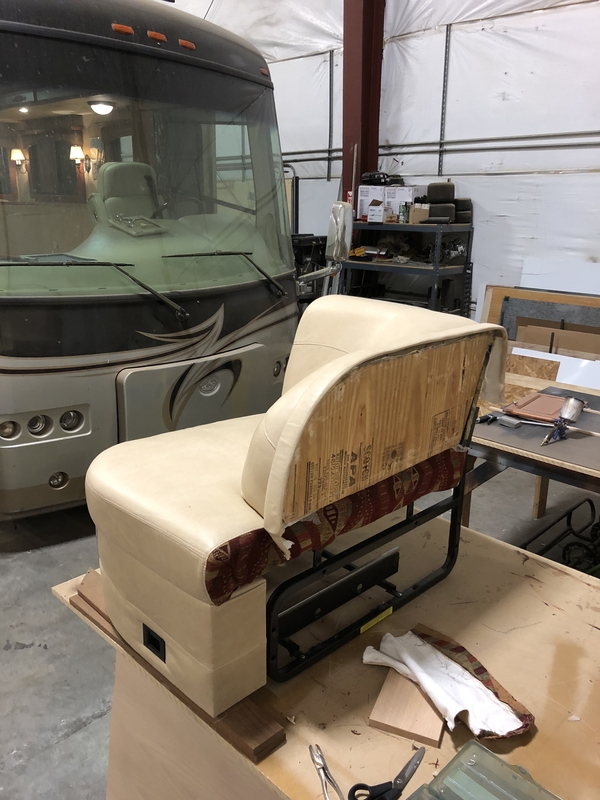 The owner of this coach came to us with some very cool ideas to transform an ordinary coach into a state of the art one of a kind tech machine. 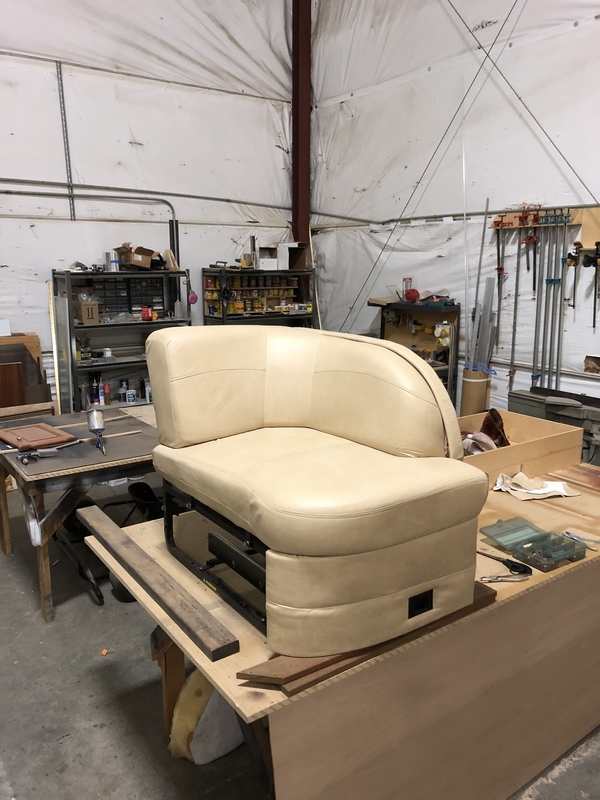 The list of additions was long and a few of the requests were some of the most technically challenging we have EVER been asked to complete. 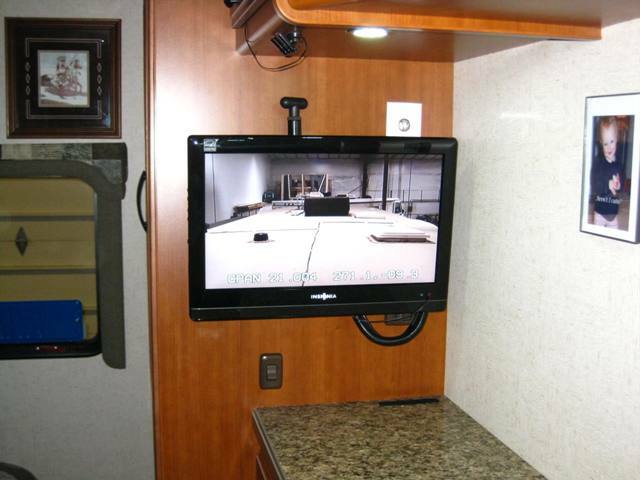 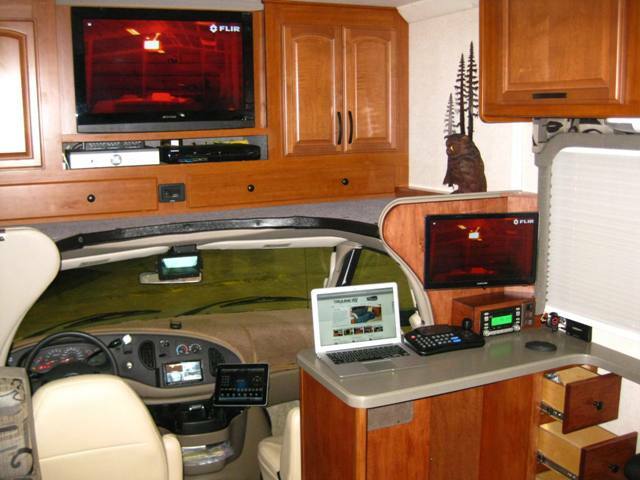 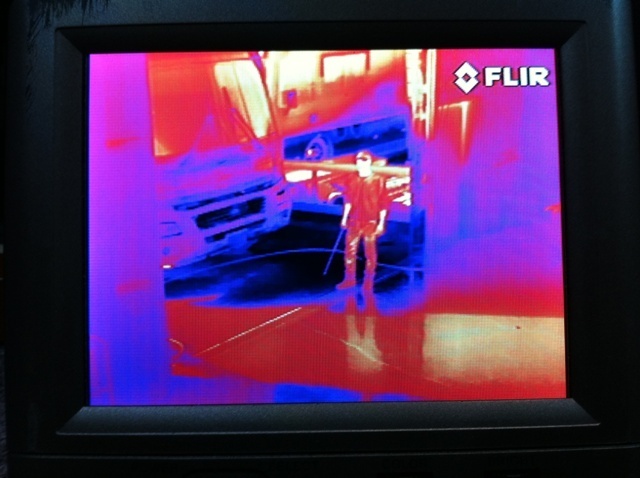 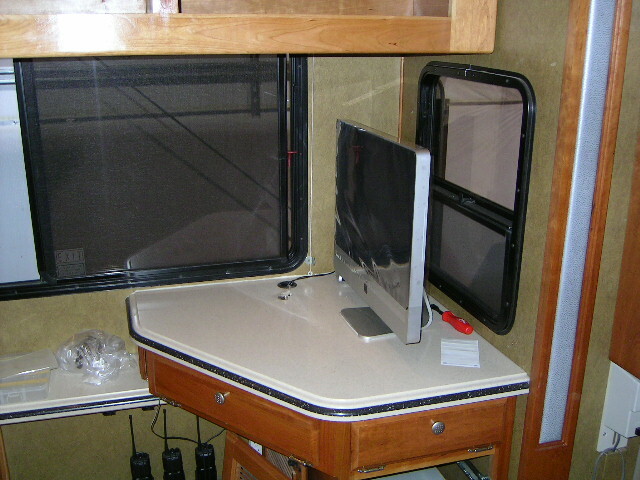 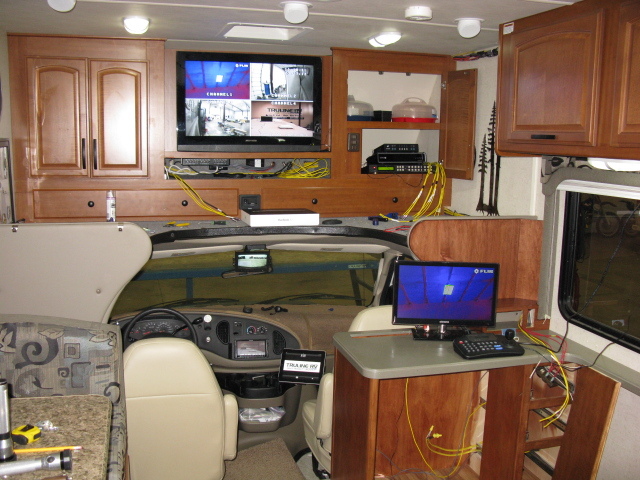 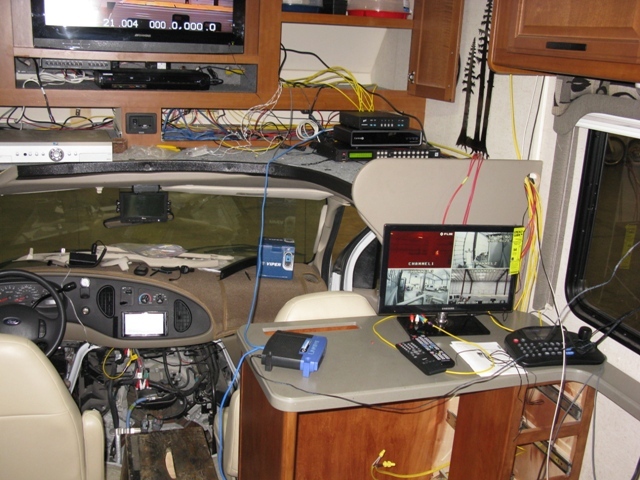 On the exterior we have five cameras feeding four interior monitors, as simple as that may sound it is not. 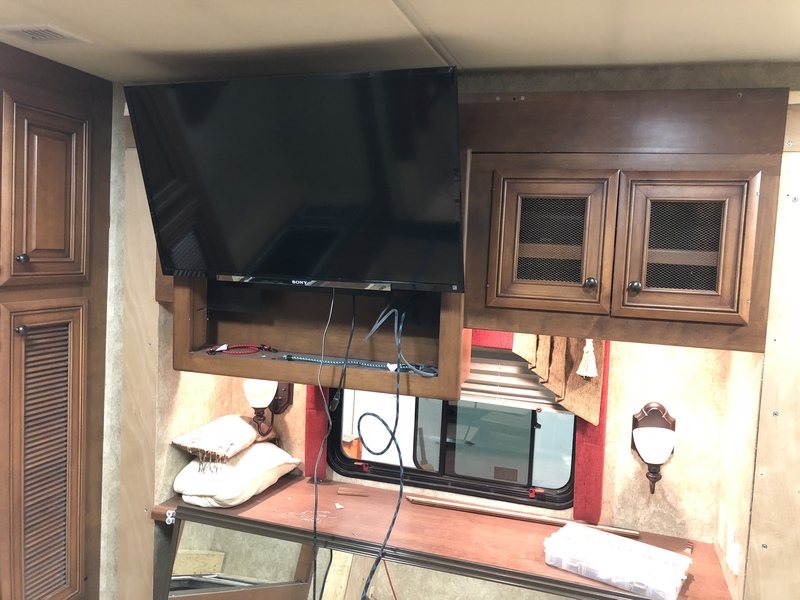 The customer requested all cameras be available on all monitors in any combination including quad split screen, and oh yeah all of this controlled from one common custom programmed remote. 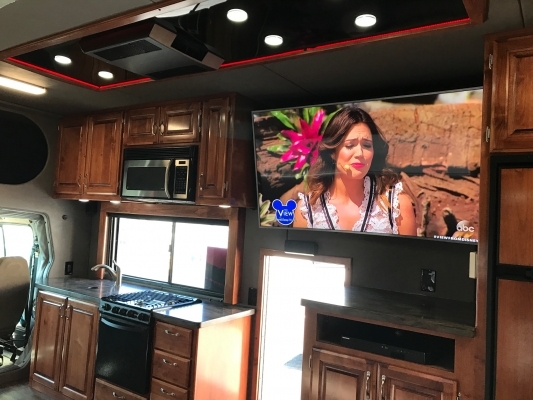 In addition to the exterior video feeds we also integrated DirecTV, DVD and an Apple TV, also available on all monitors in any combination. 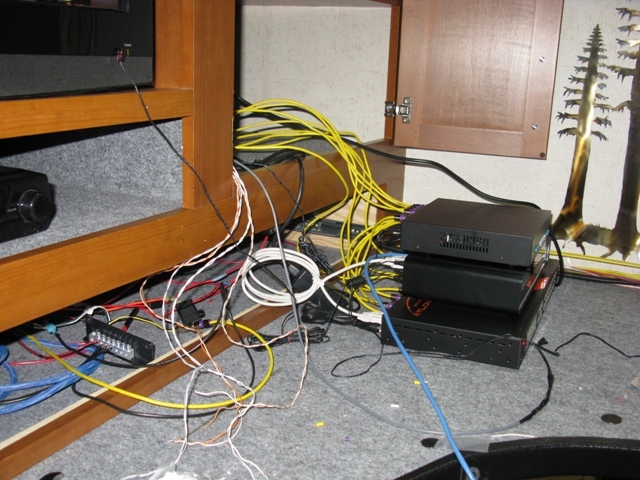 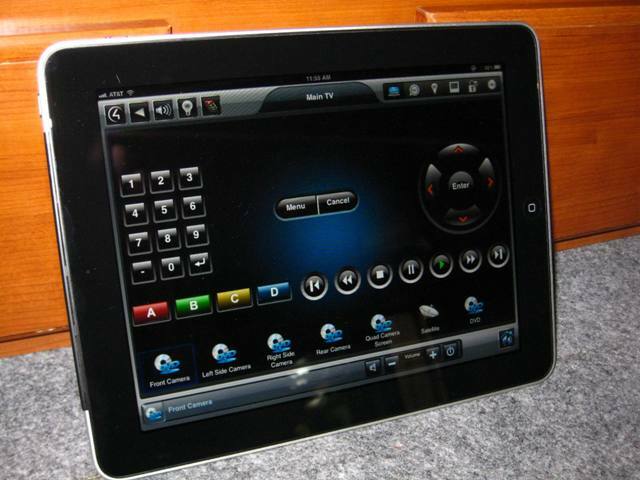 After achieving this monster task we decided to take it one step further and integrate VIRTUAL control of the entire system from an iPad as well as iPhone. 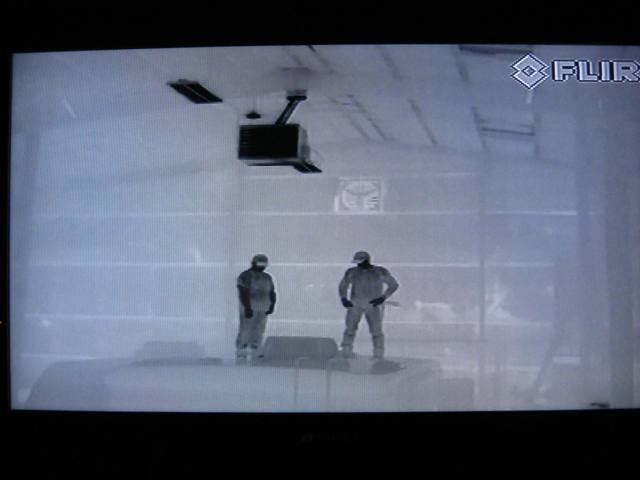 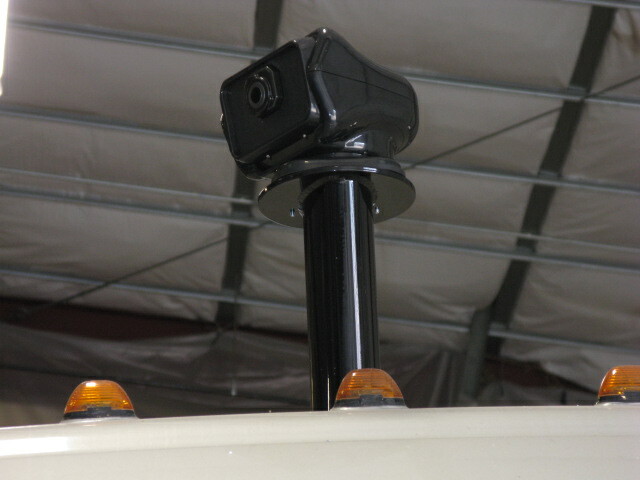 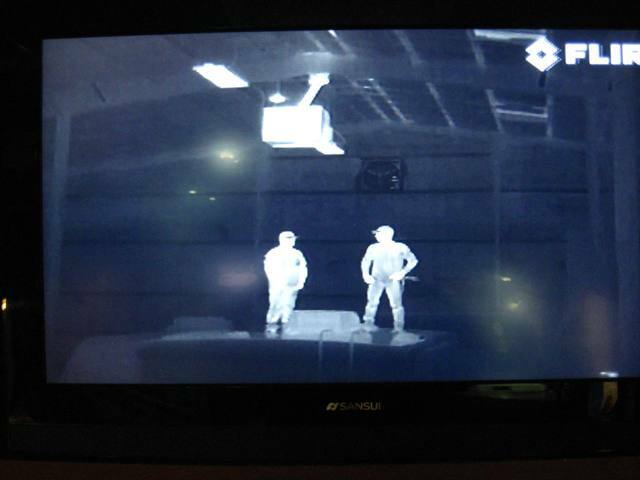 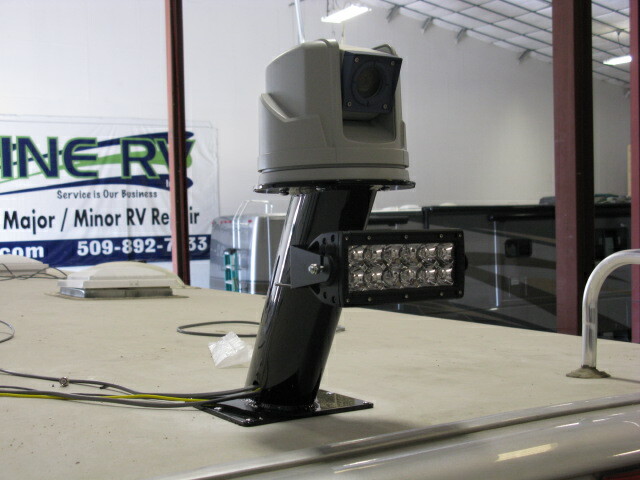 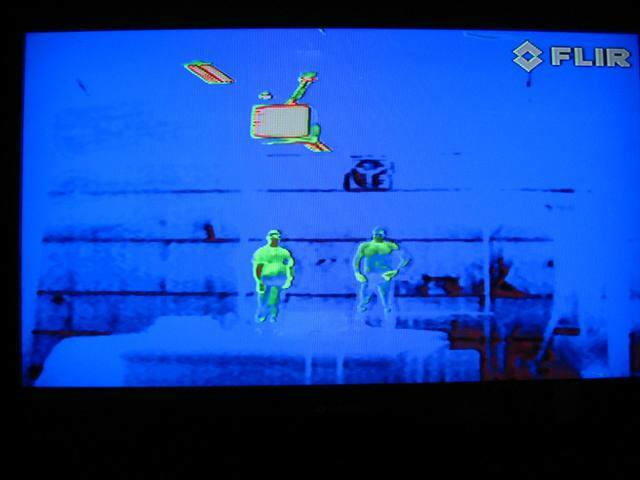 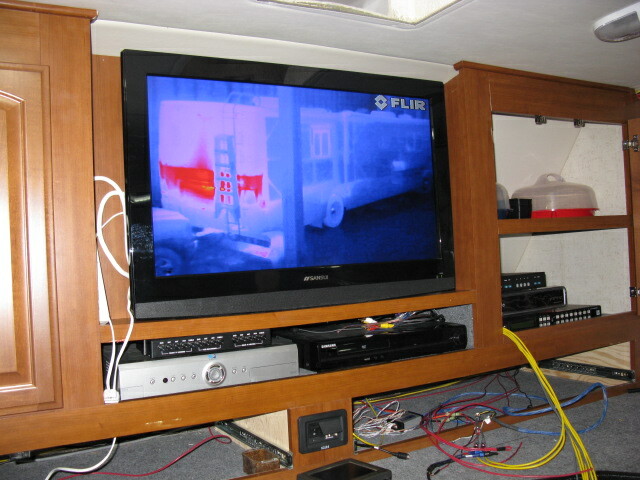 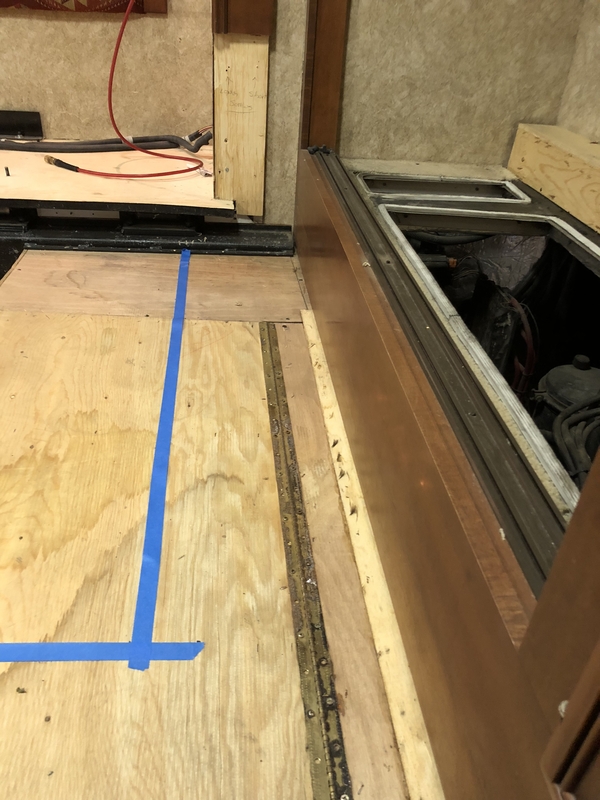 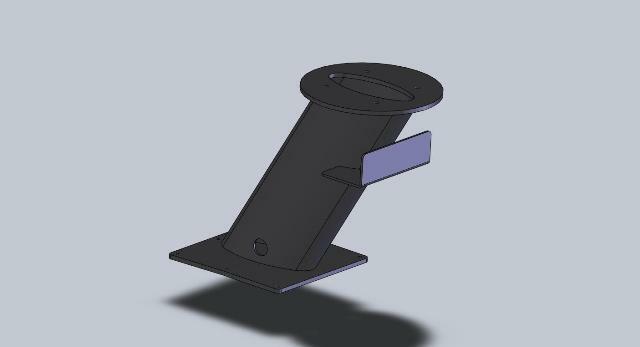 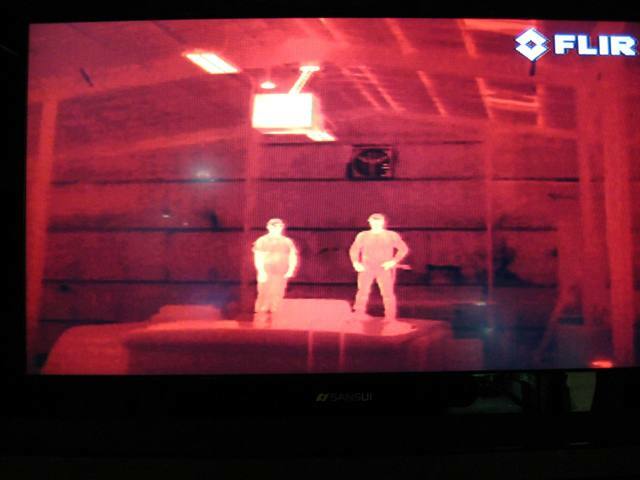 As you will see in the pictures, the front camera on our custom built aluminum mount is a FLIR ( forward looking infrared ) camera and the rear is a crazy joystick controlled camera with amazing zoom, also on a custom fabricated aluminum mount with LED flood light. 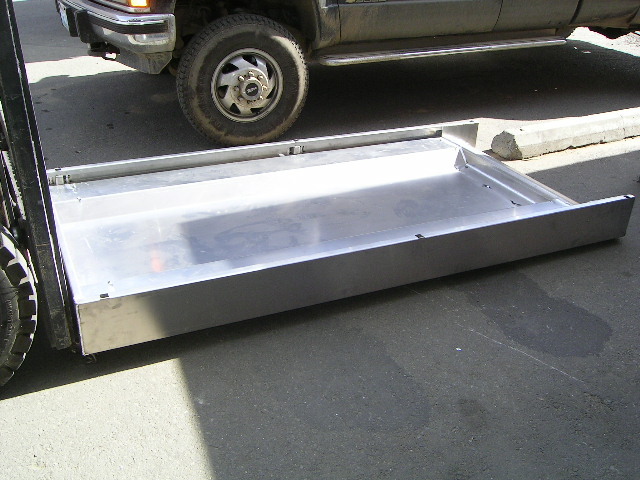 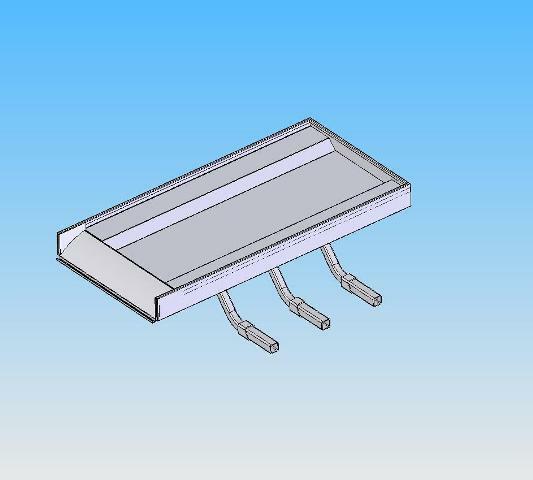 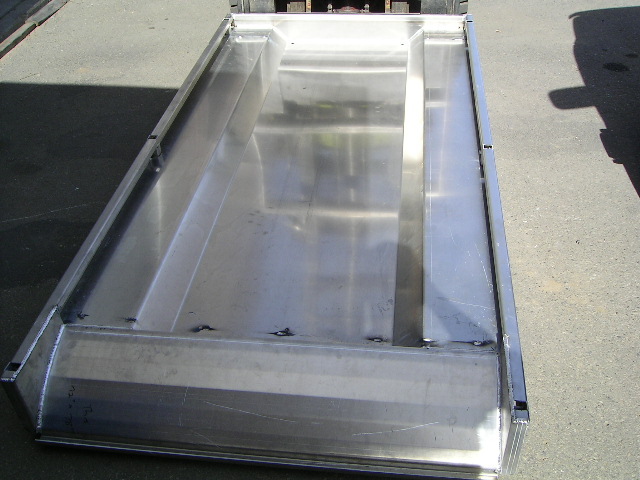 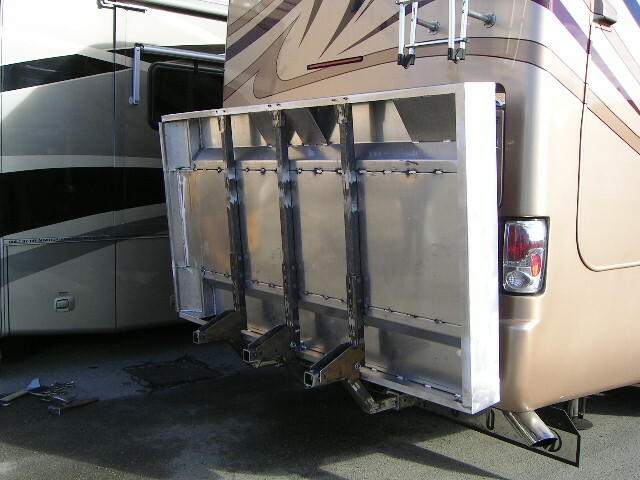 The front and both sides also light up the night with high end LED light bars. 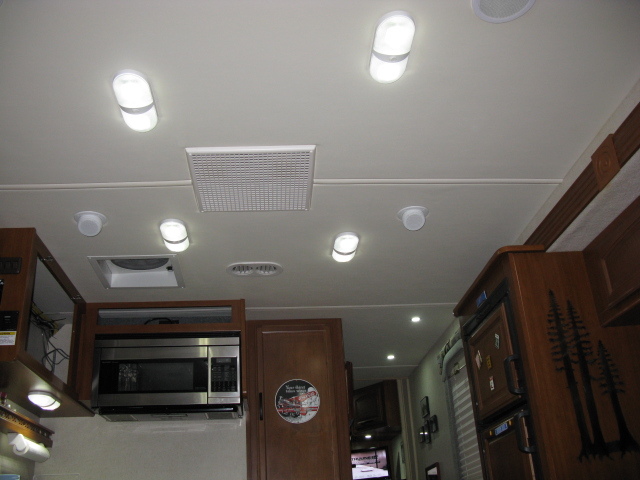 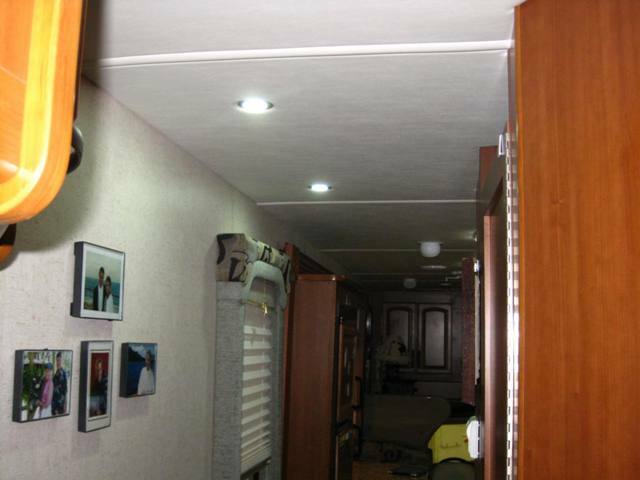 The interior of the coach was retrofitted fully with LED lighting as well. 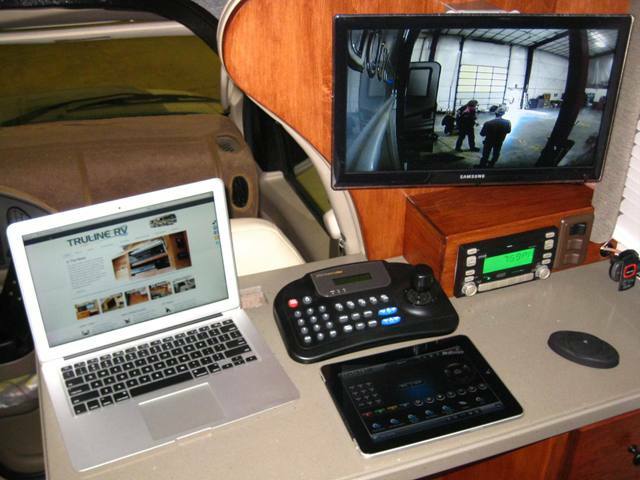 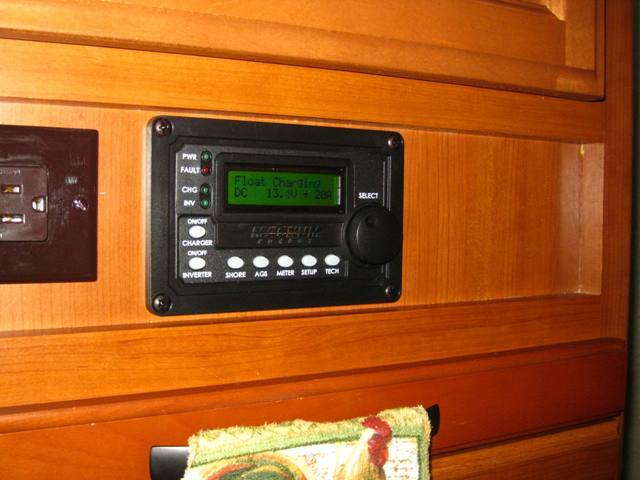 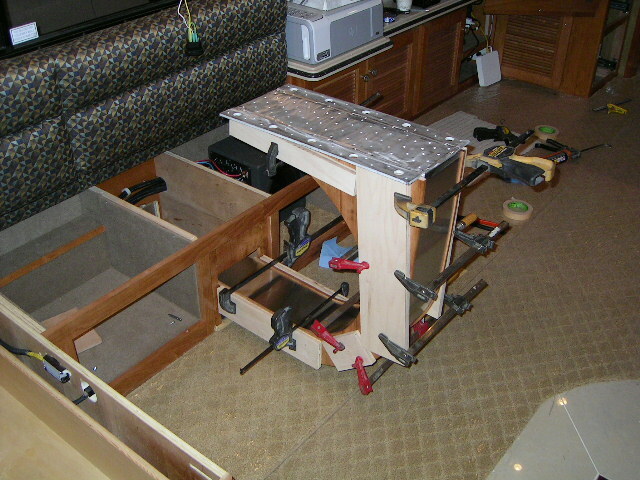 Obviously all of this gadgetry called for a custom built control center complete with MacBook Air pro, monitor, joystick controls for cameras, drawers and electrical. 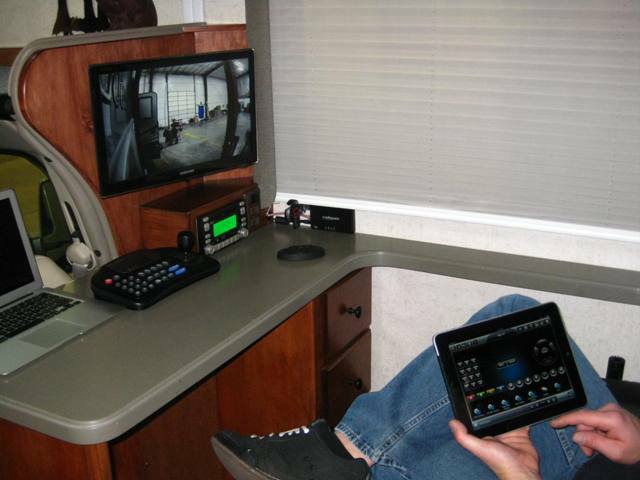 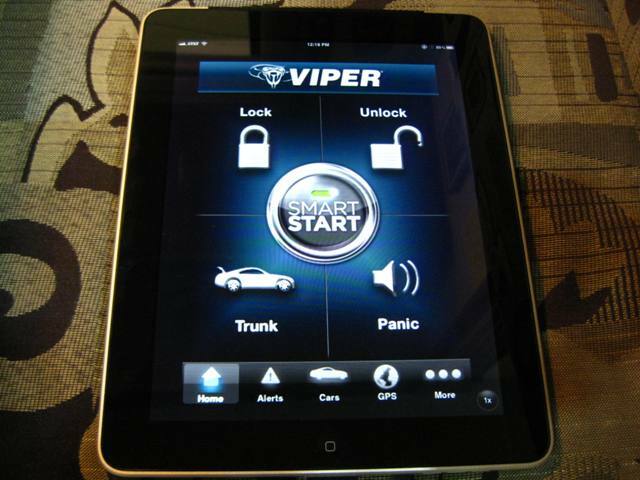 All of these gadgets are protected by a top of the line Viper alarm complete with remote start, arm/disarm, and notification controlled from an iPhone. 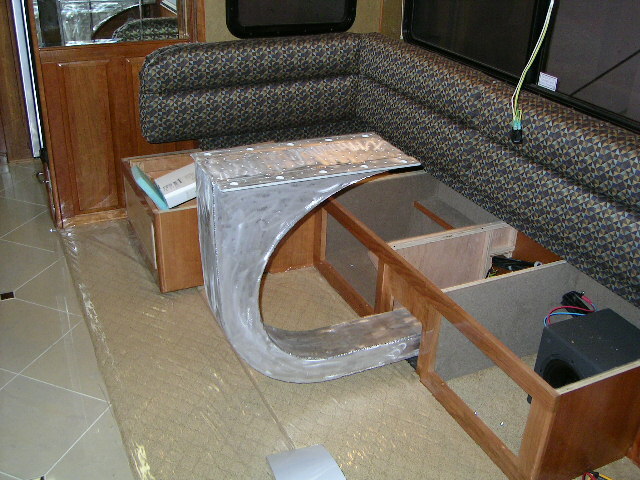 The list goes on and on and we are still working to finish this project up. 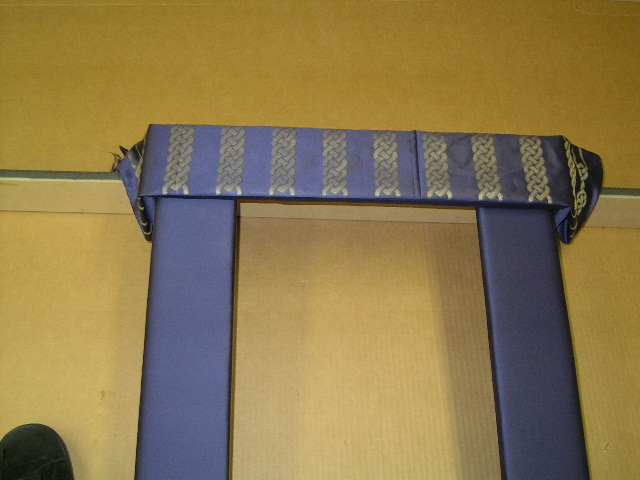 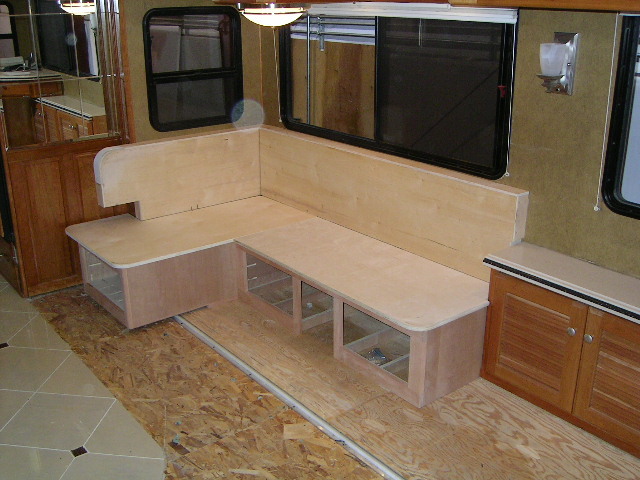 Pictures of the completed project are coming soon. 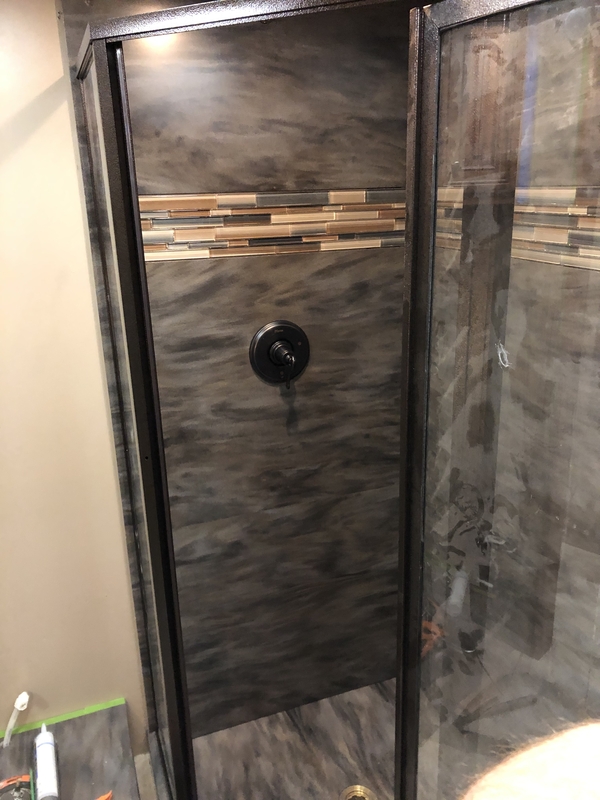 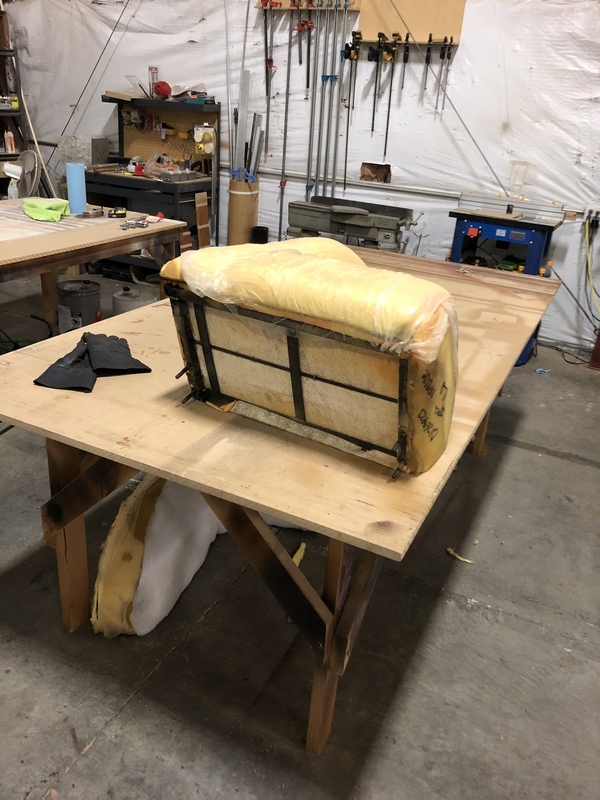 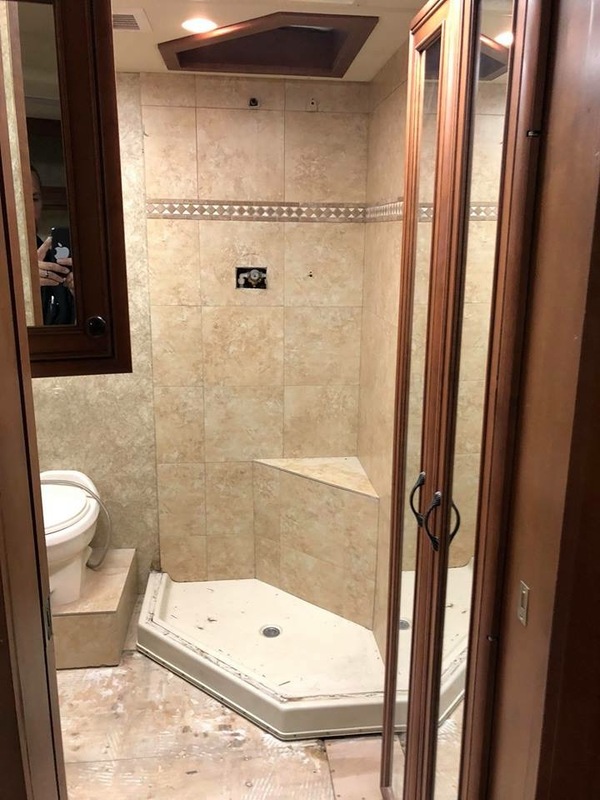 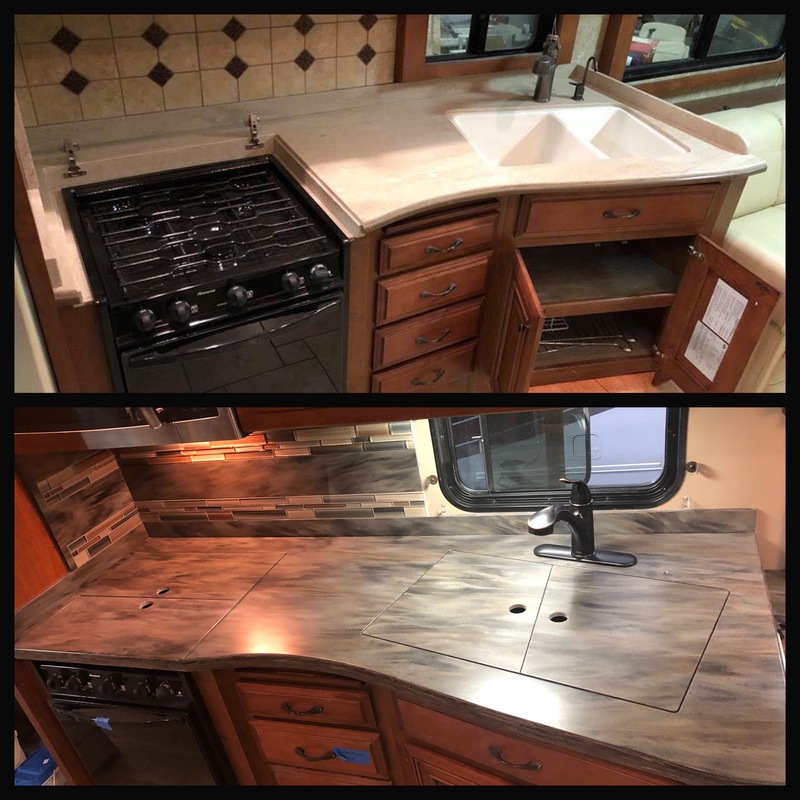 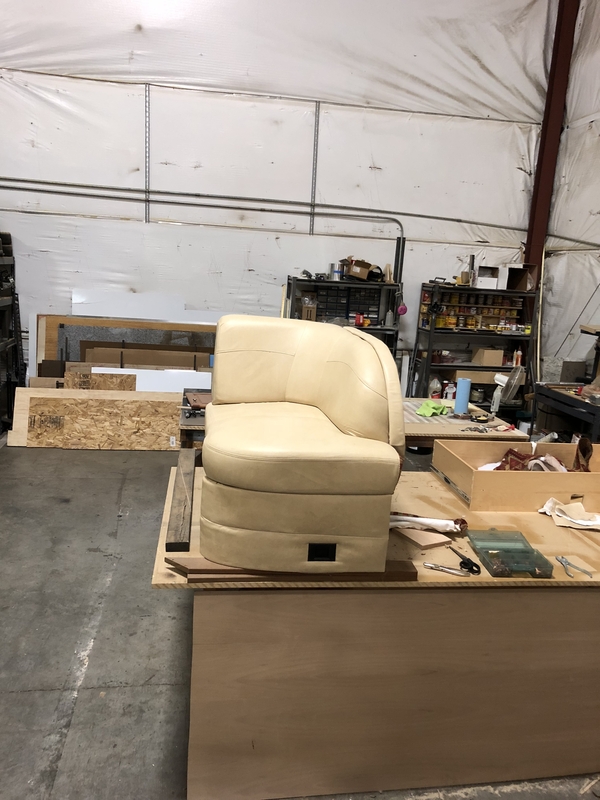 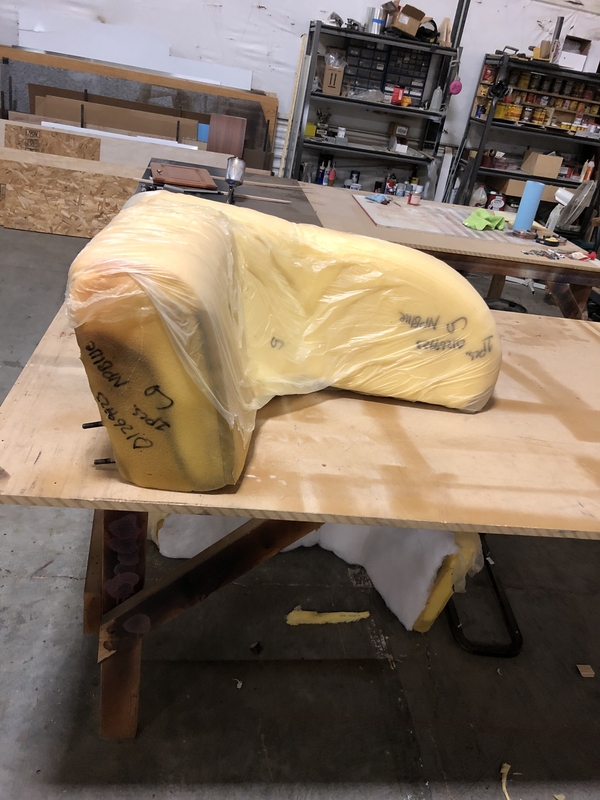 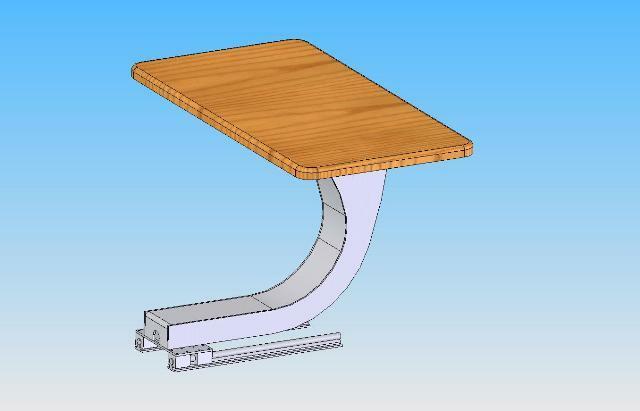 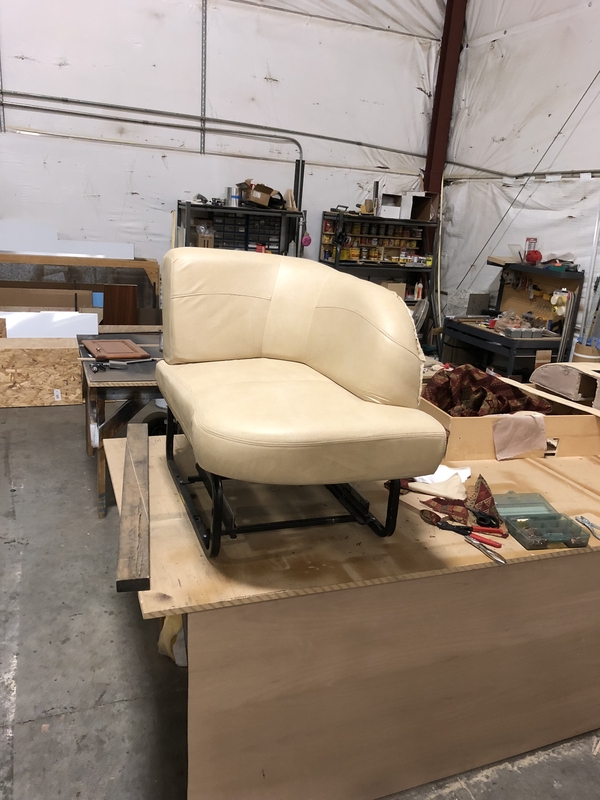 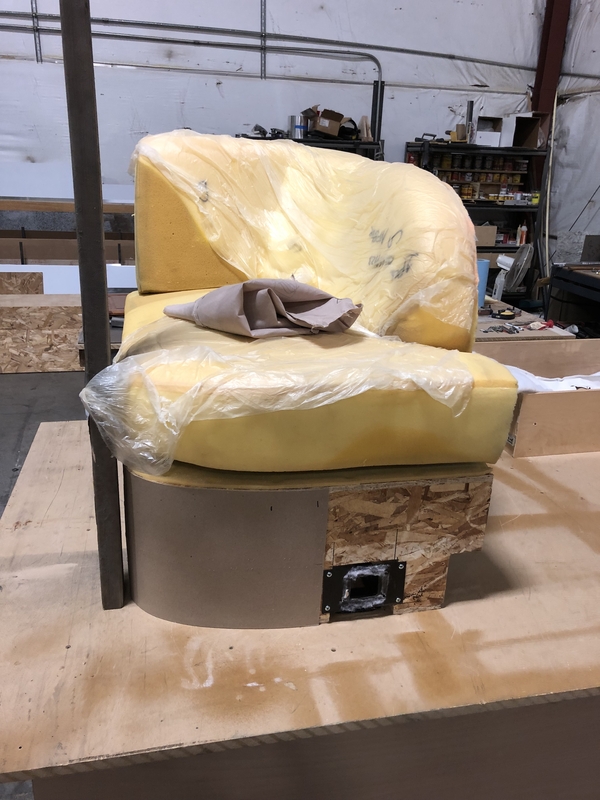 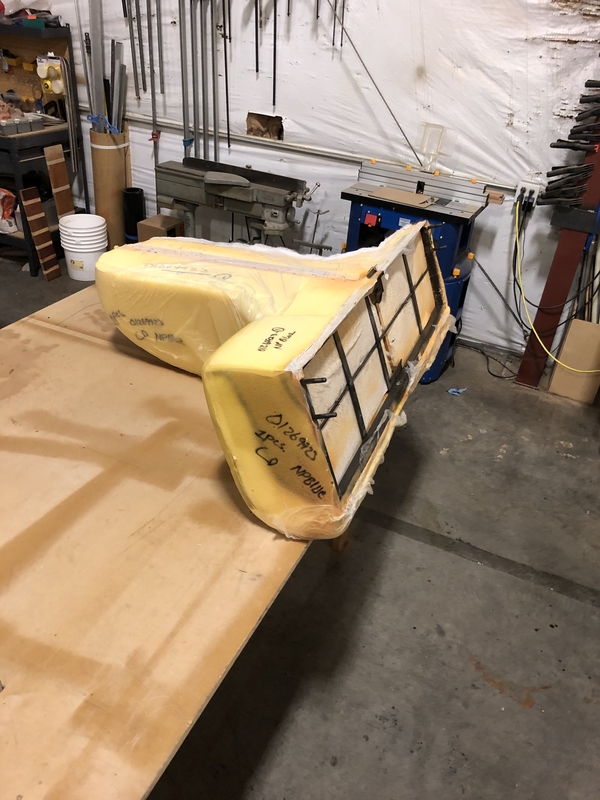 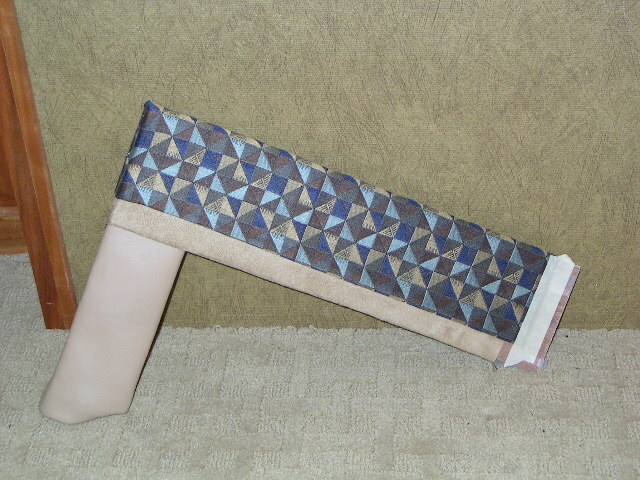 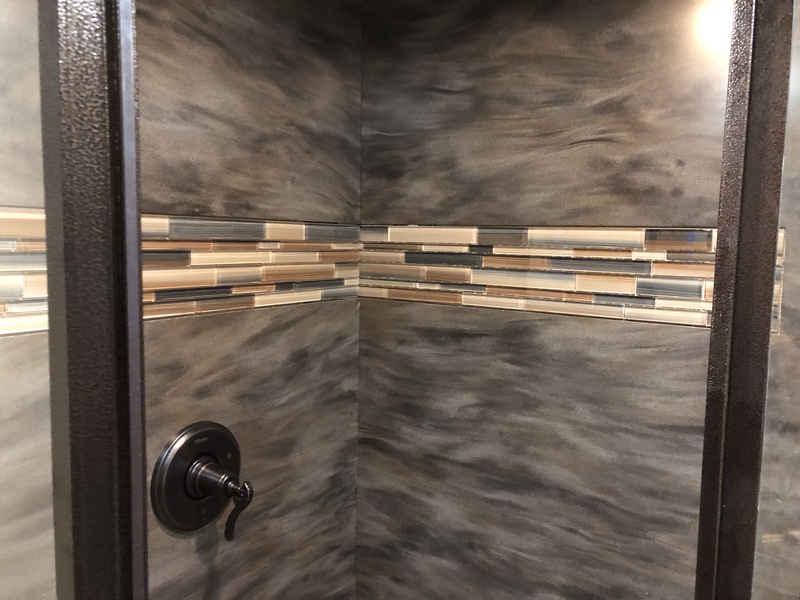 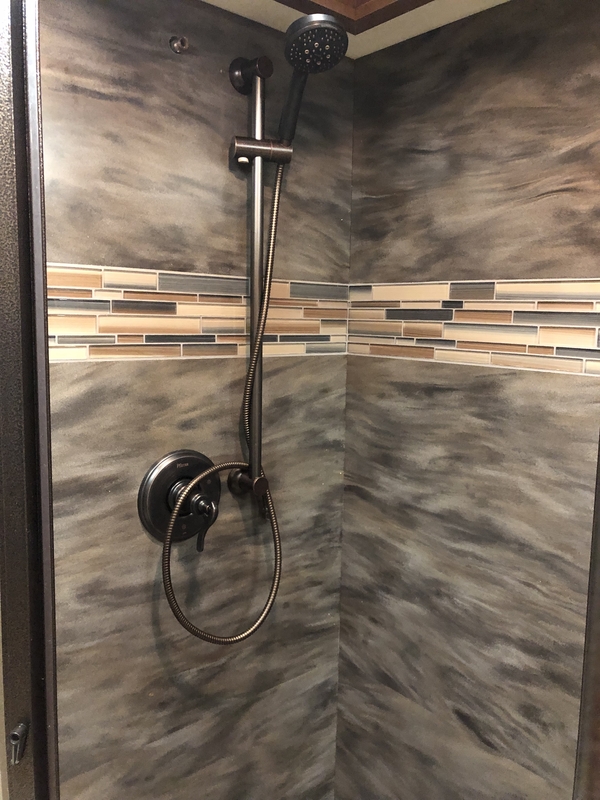 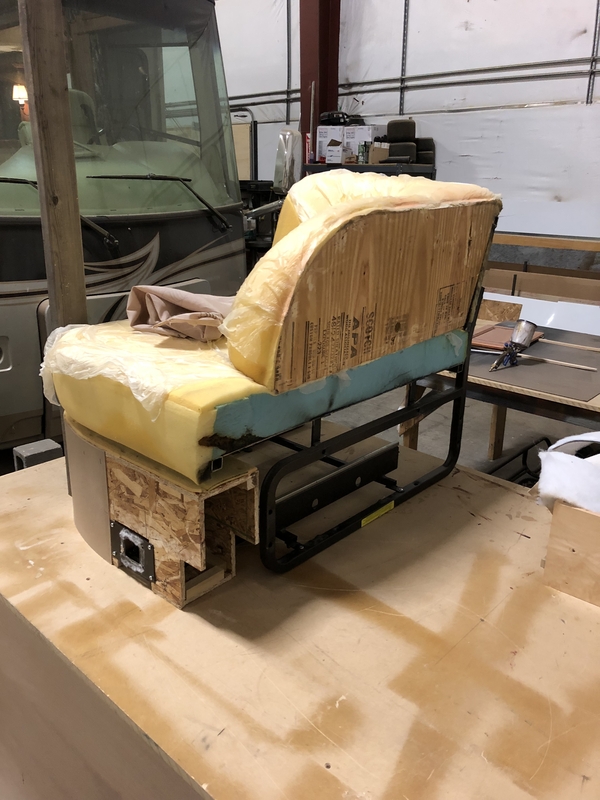 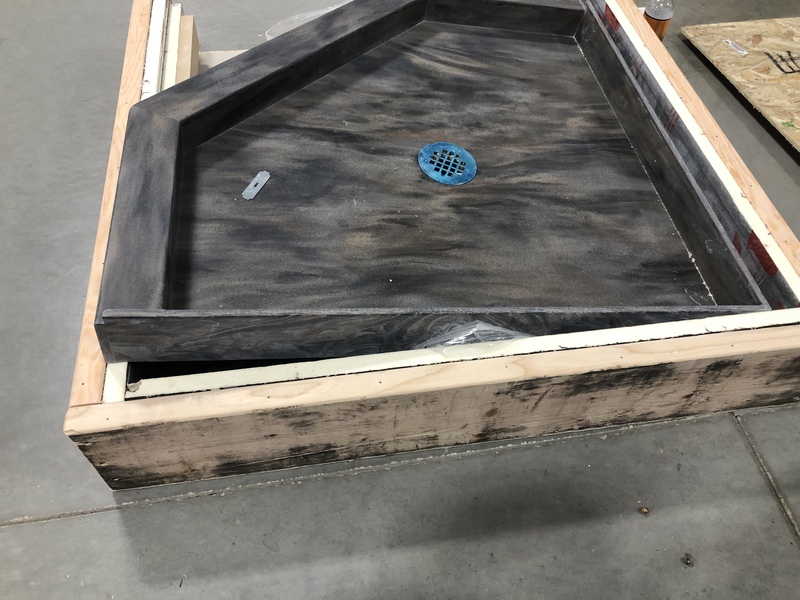 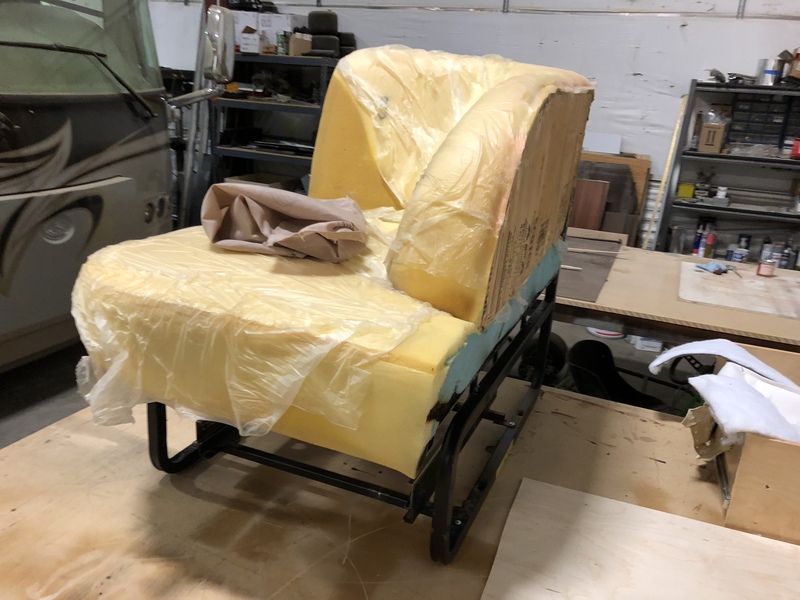 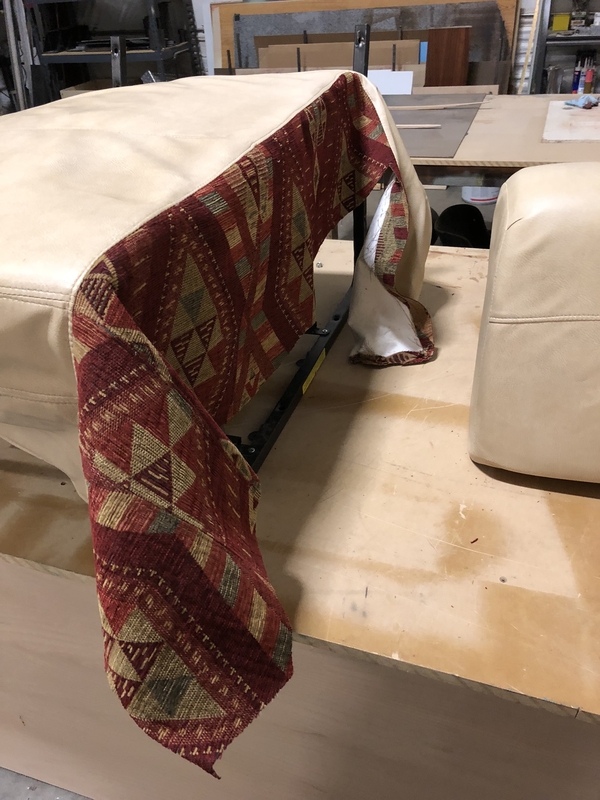 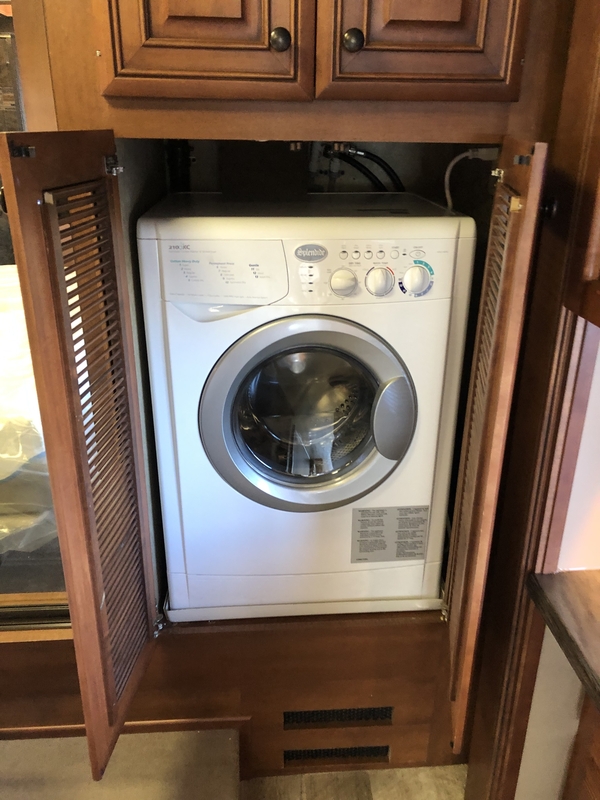 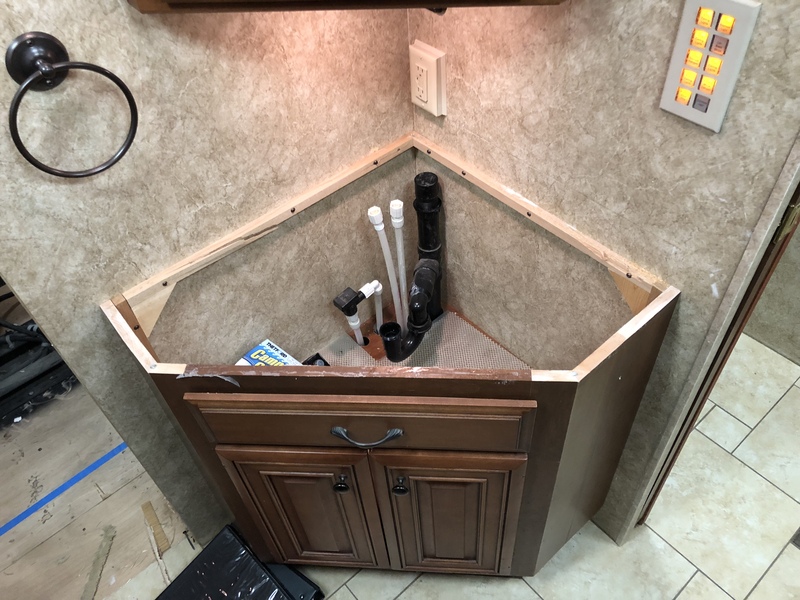 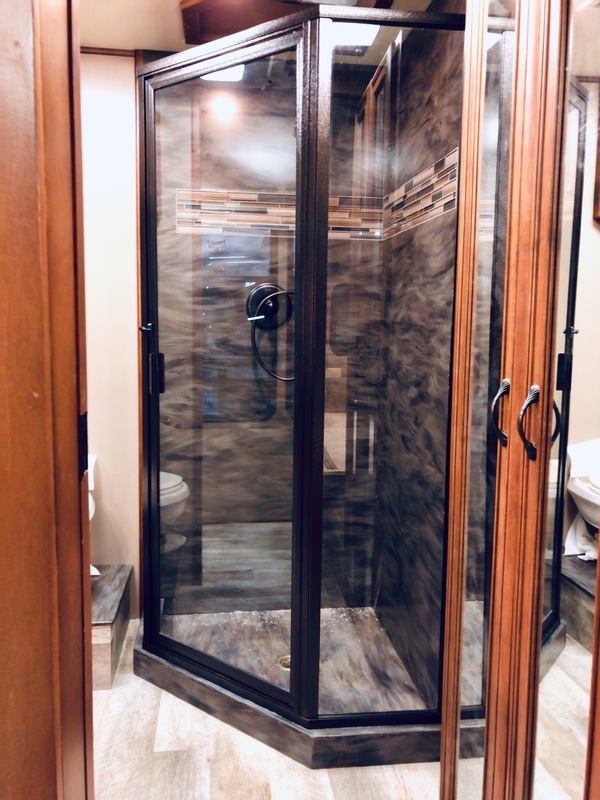 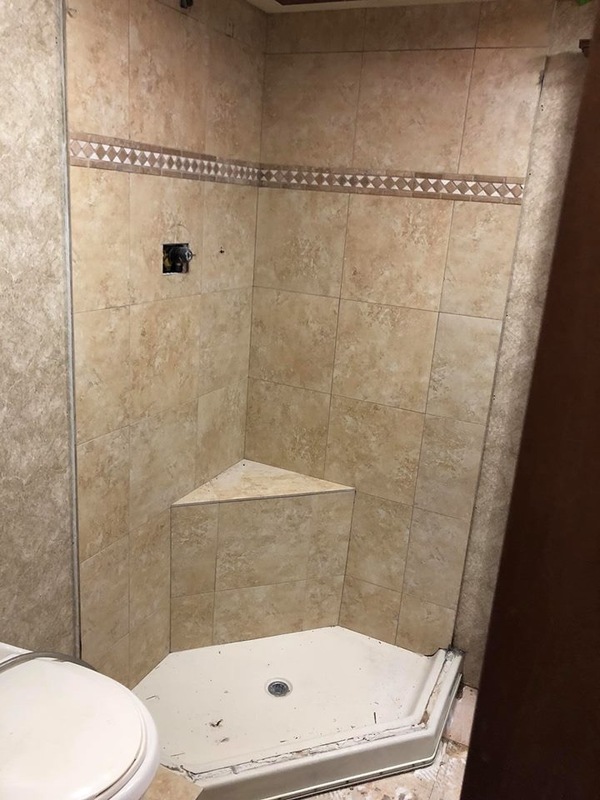 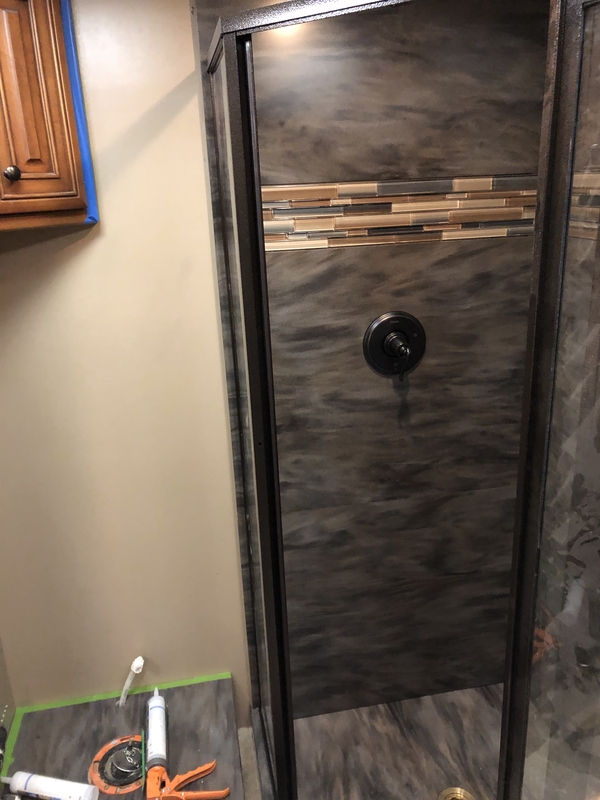 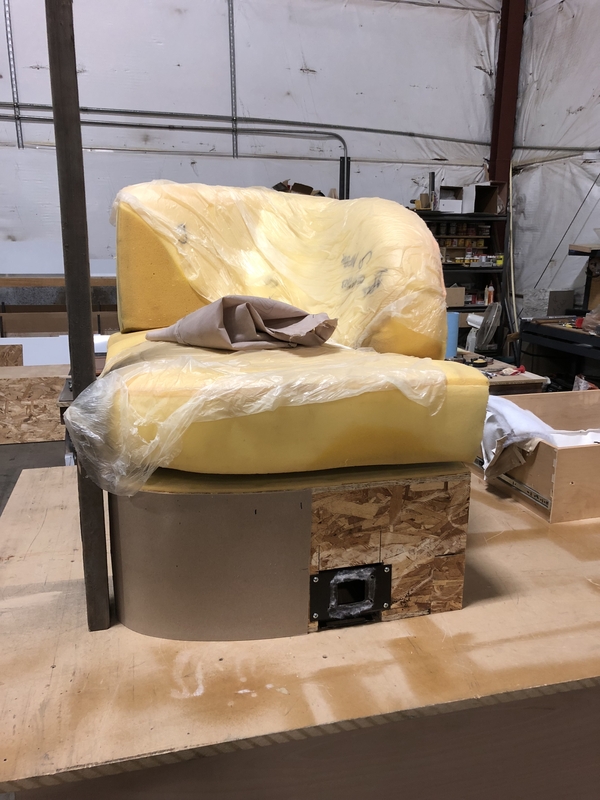 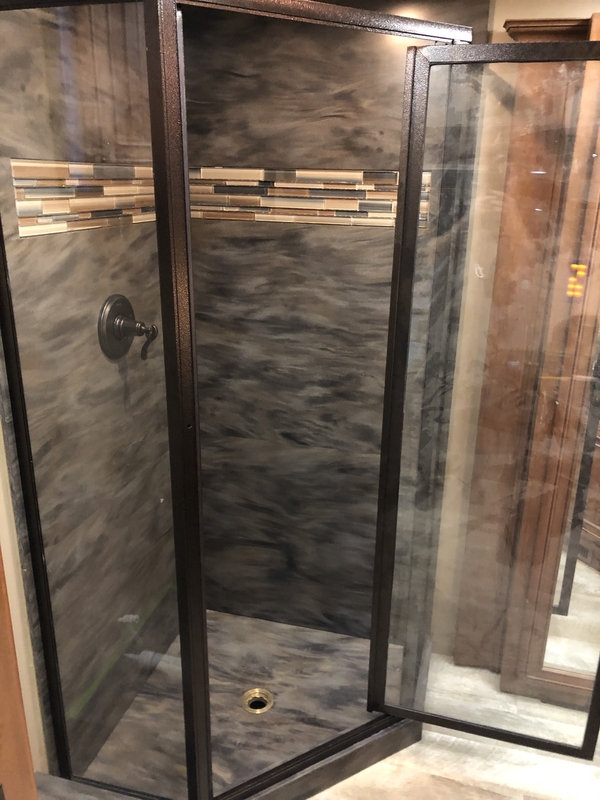 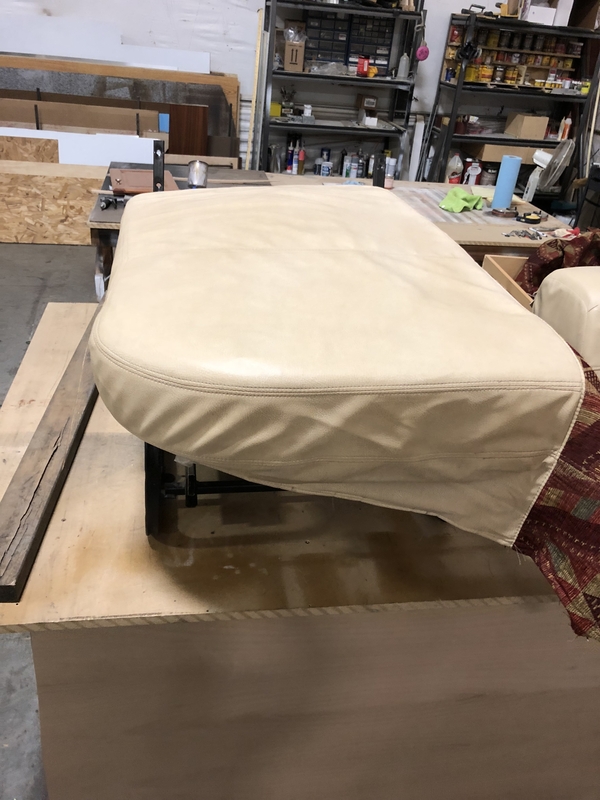 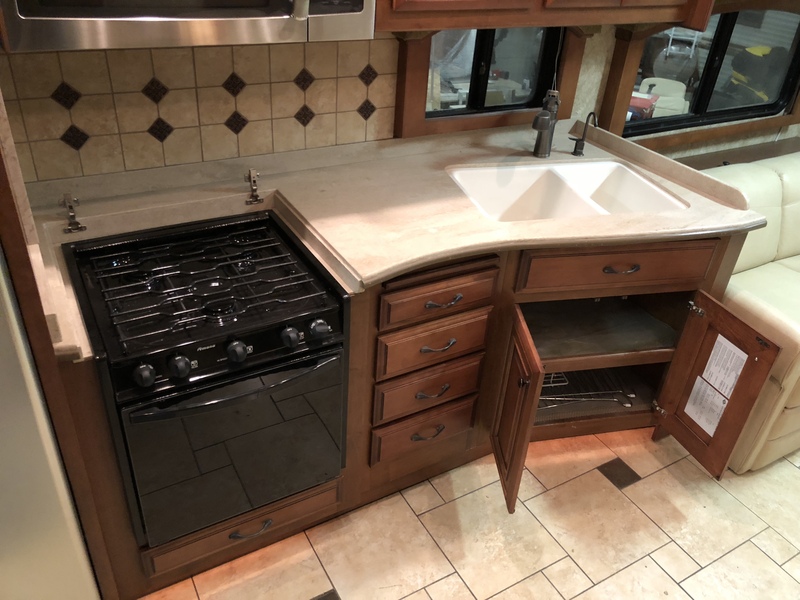 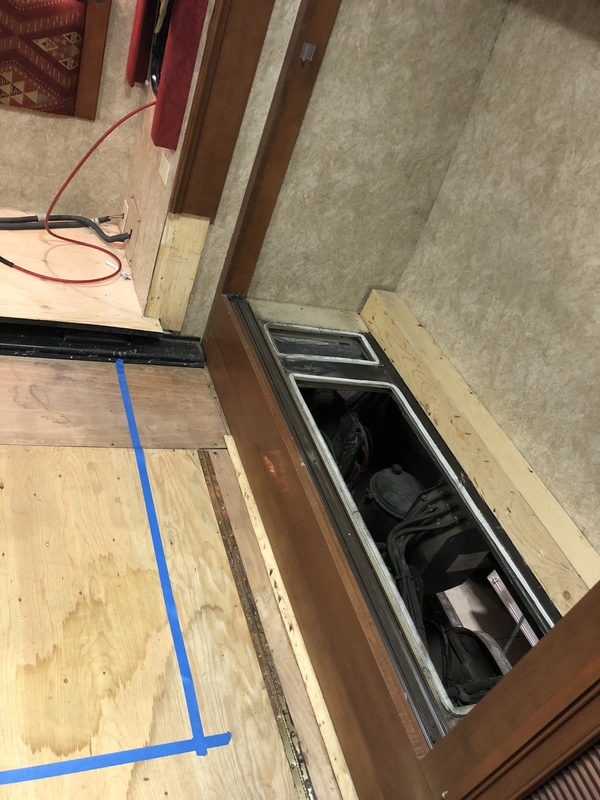 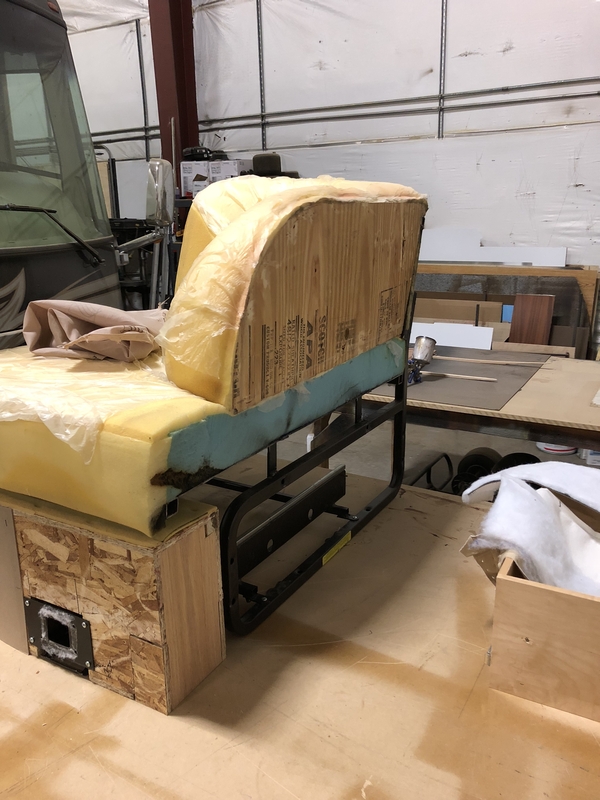 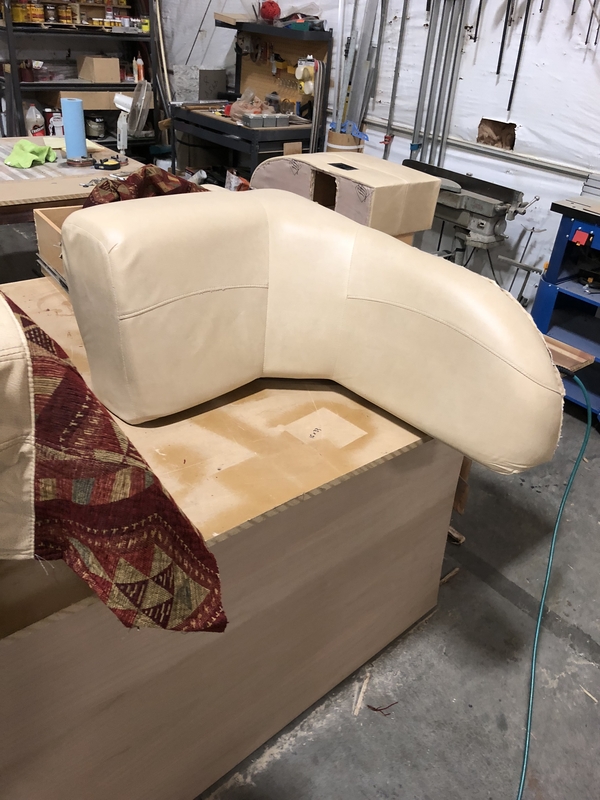 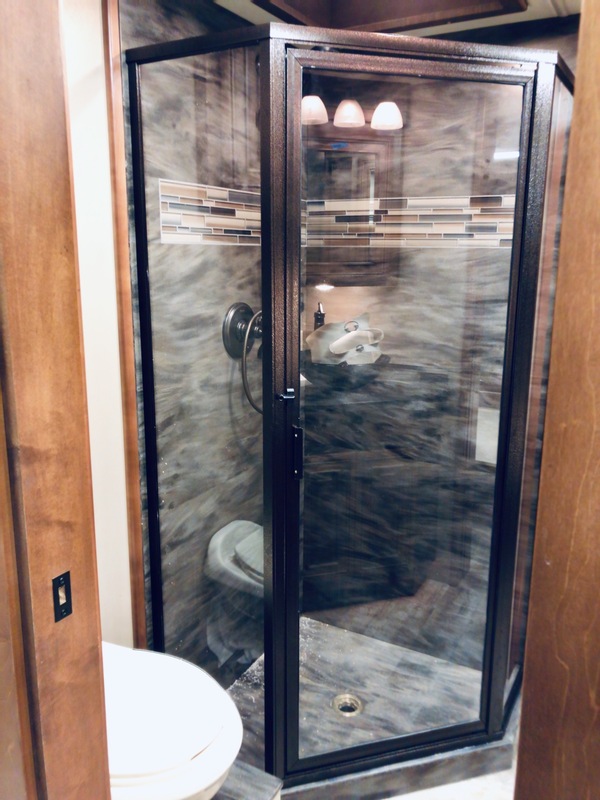 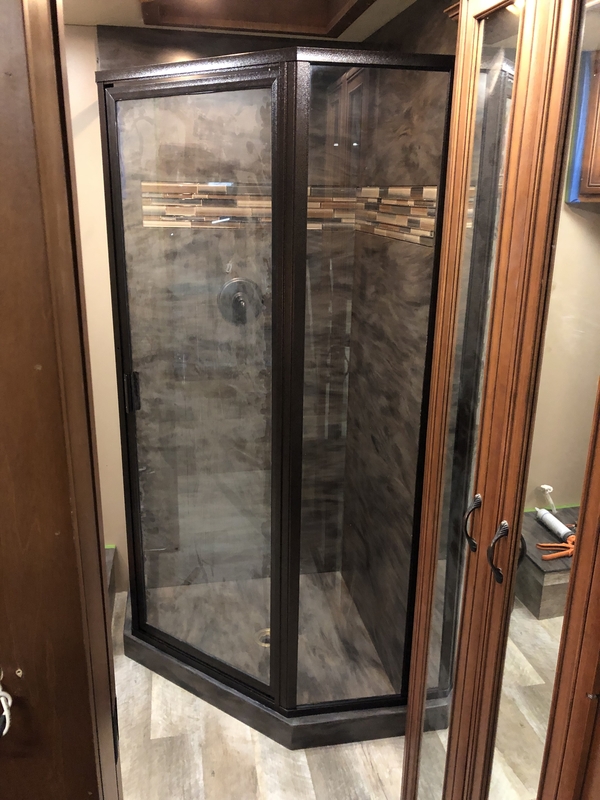 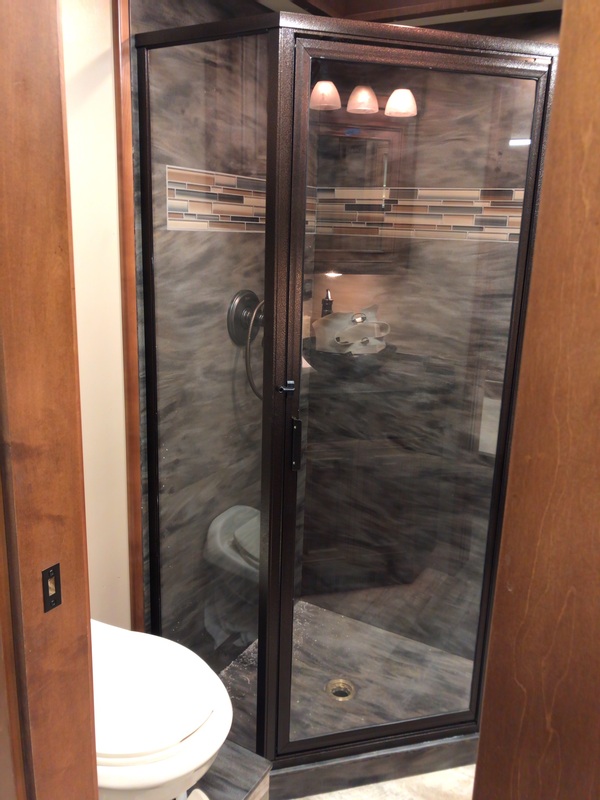 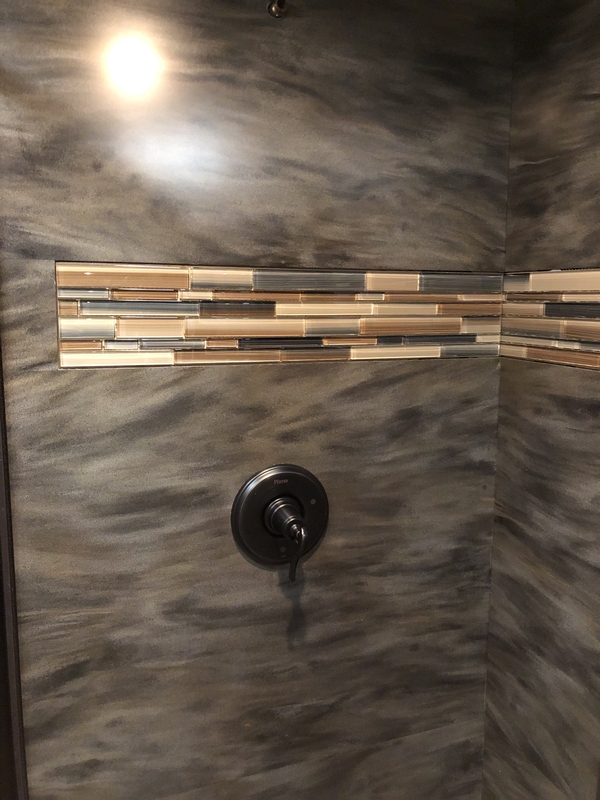 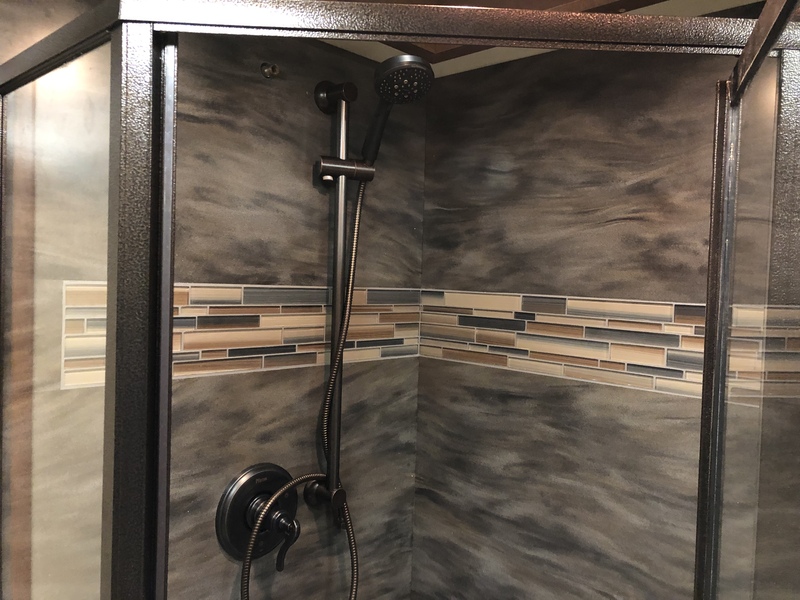 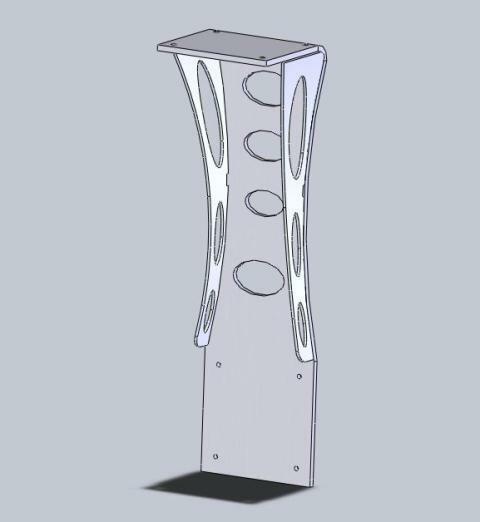 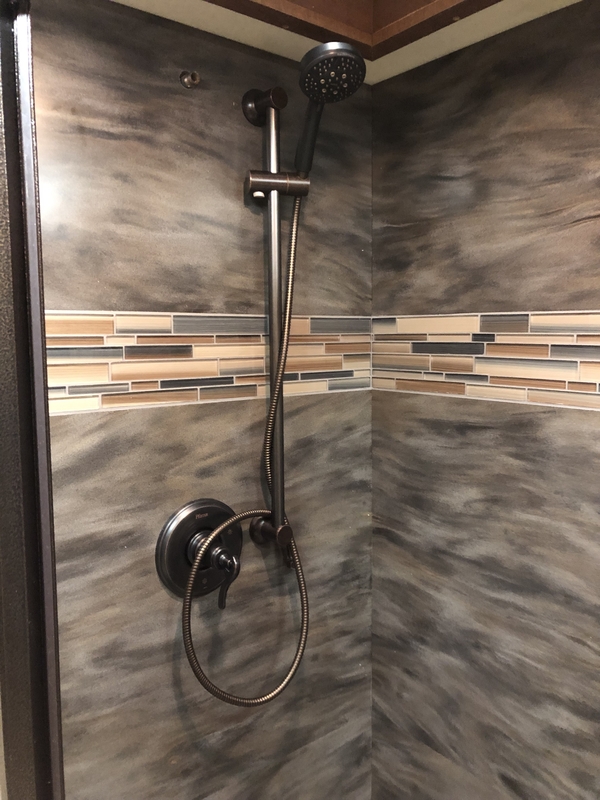 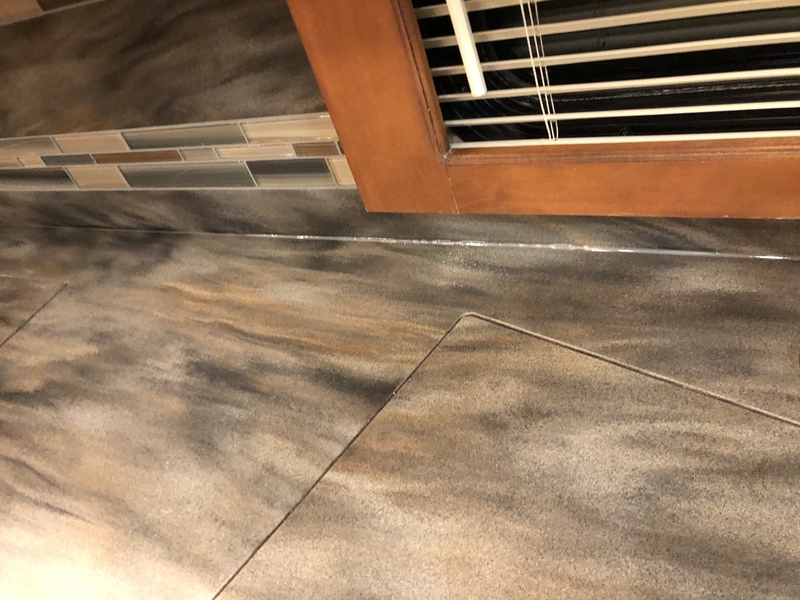 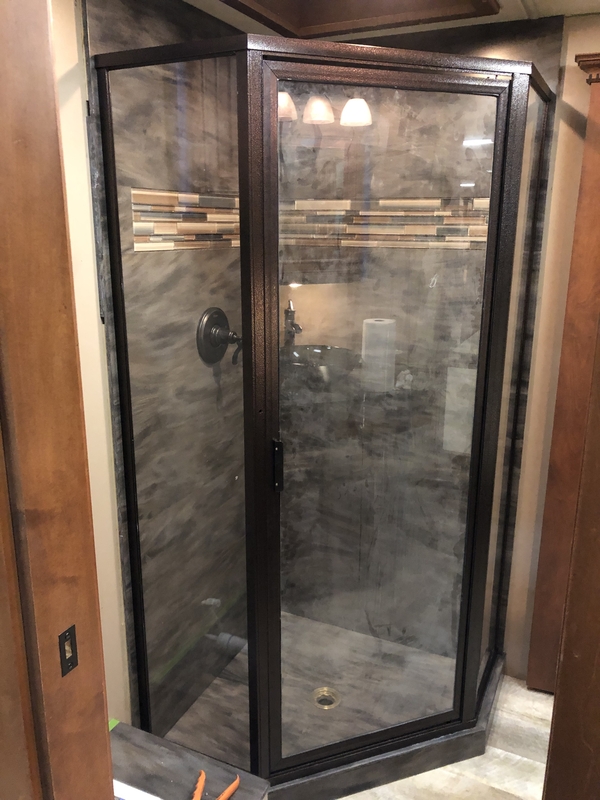 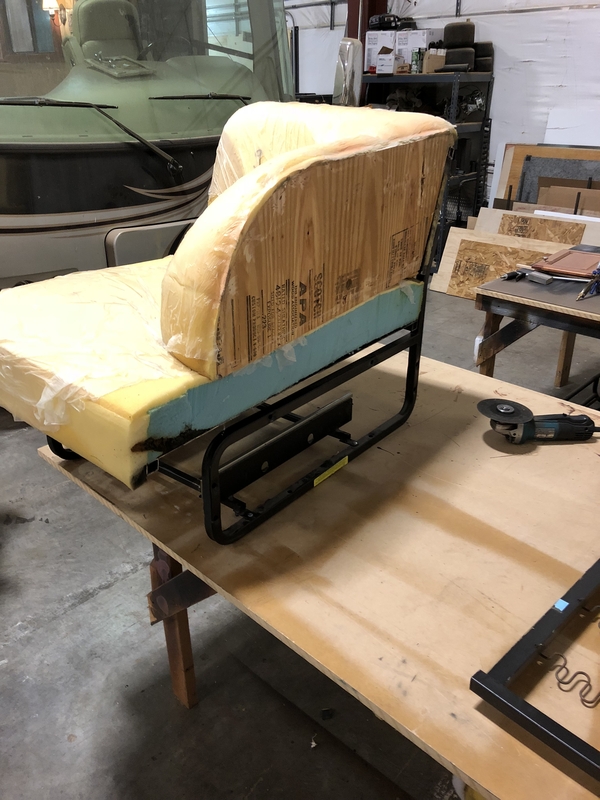 This gallery of photos demonstrates from concept to reality our ability to both design and create just about any custom one of a kind product to fit your needs. 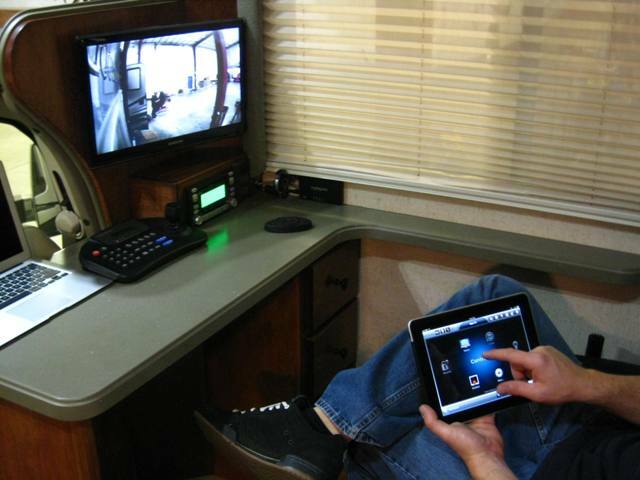 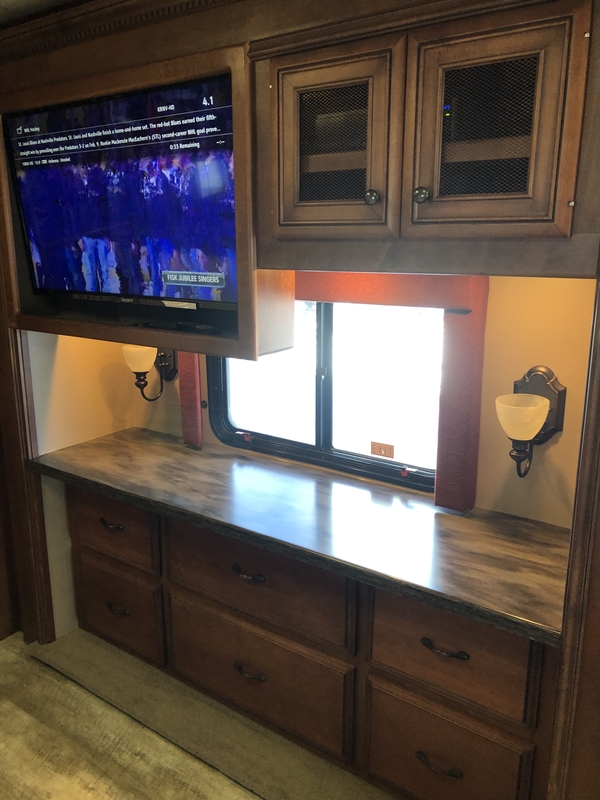 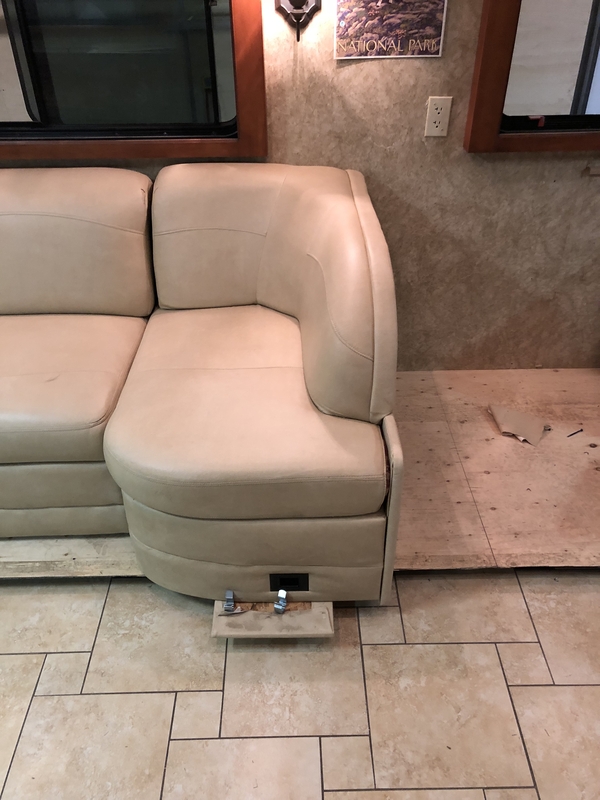 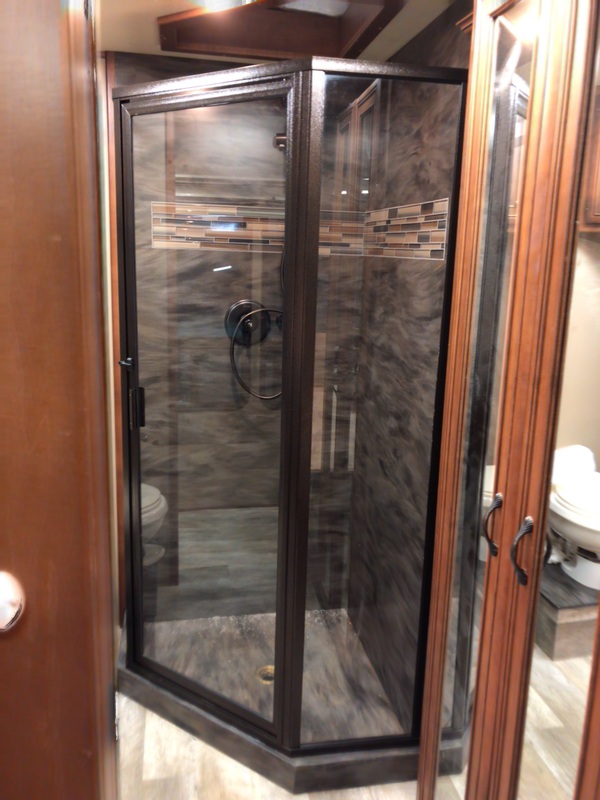 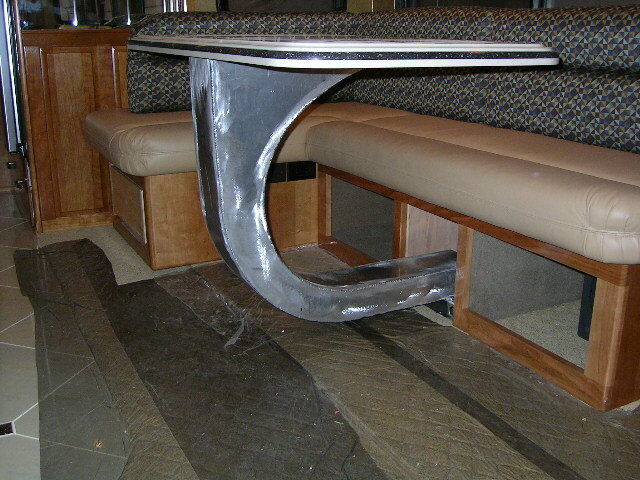 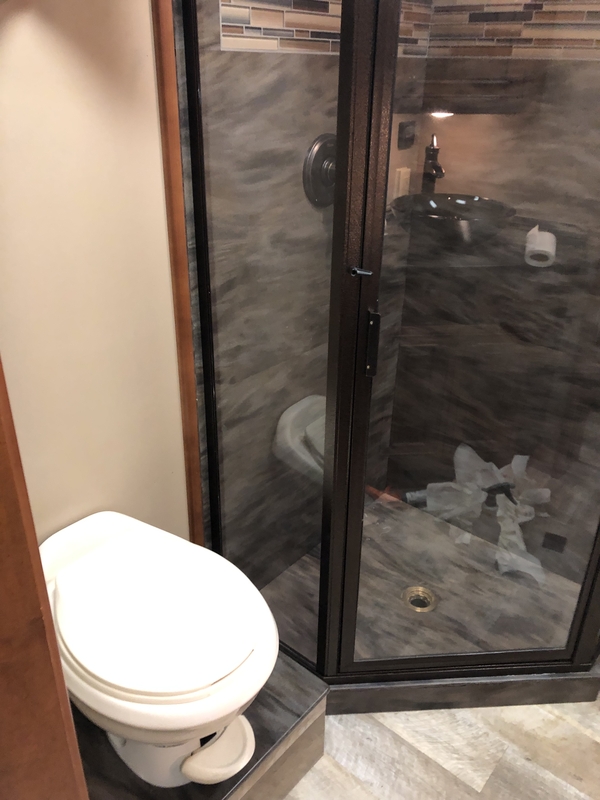 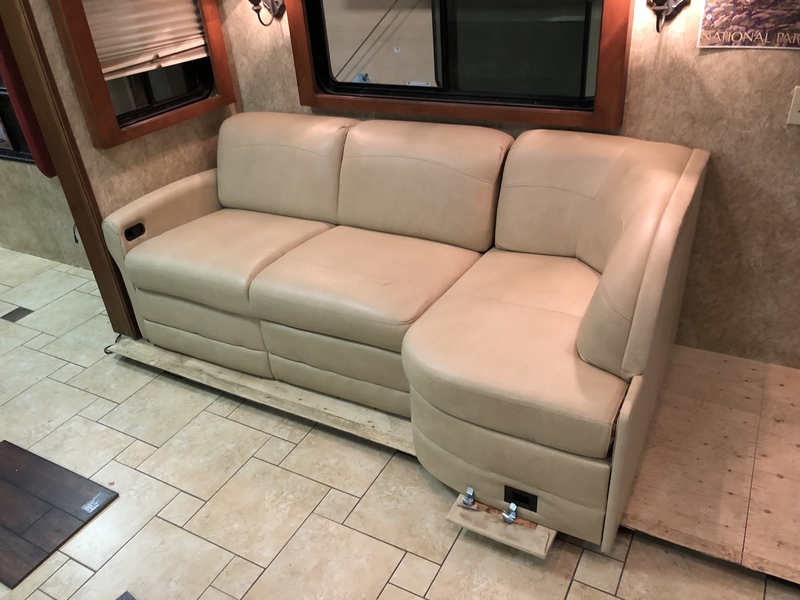 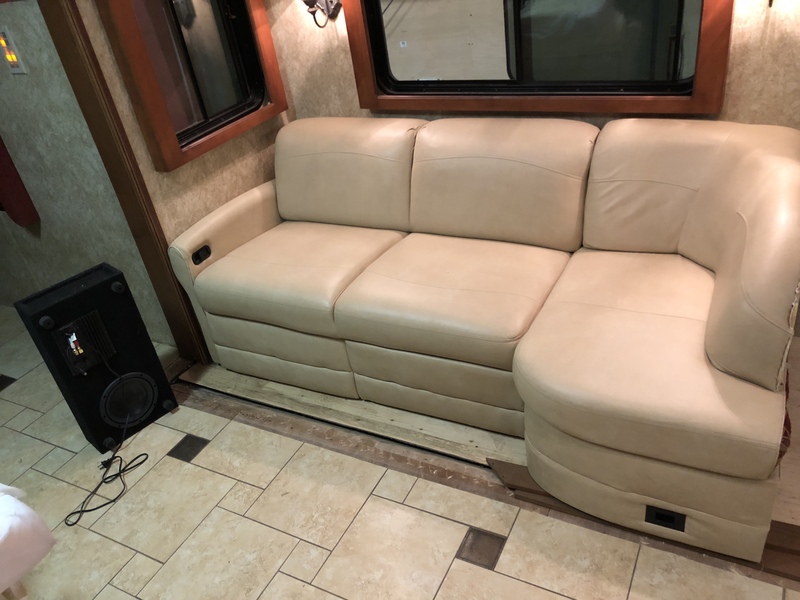 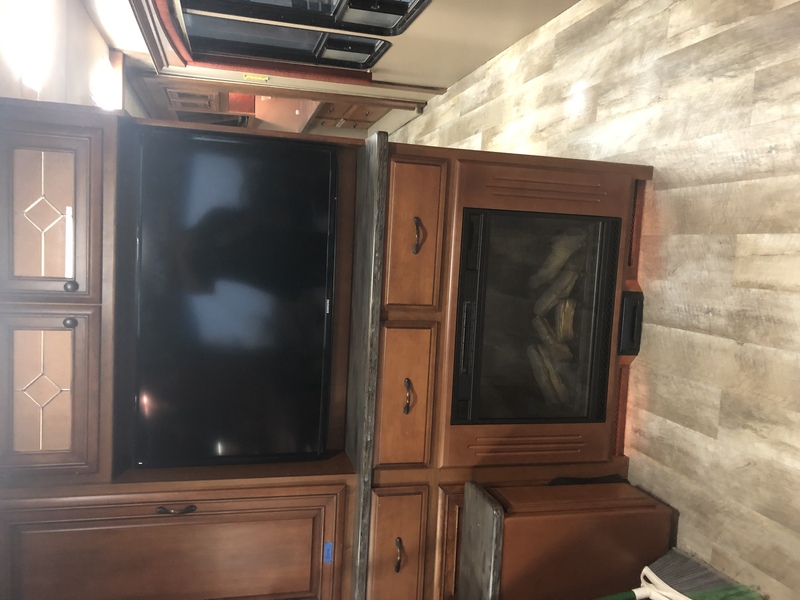 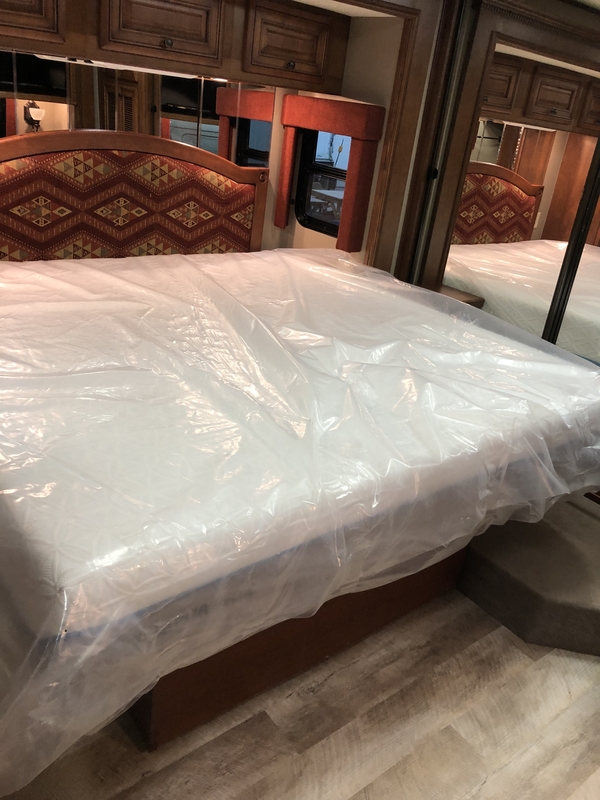 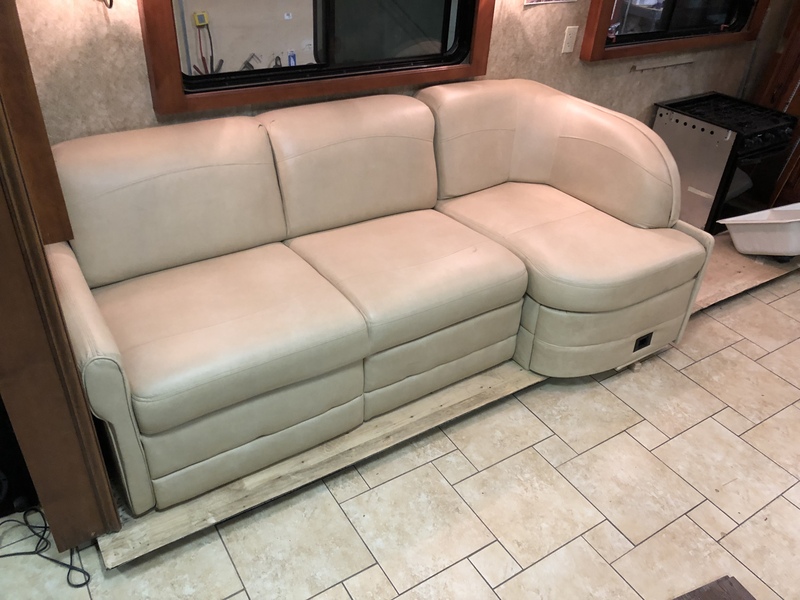 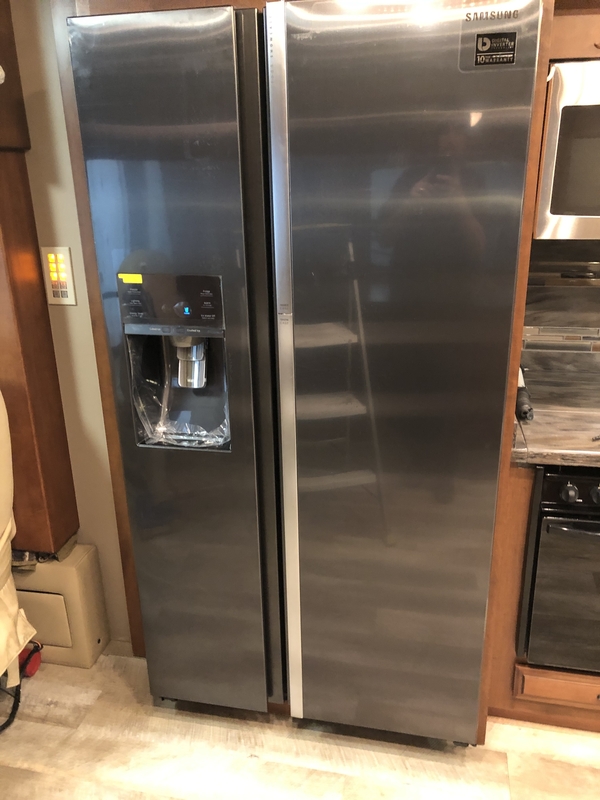 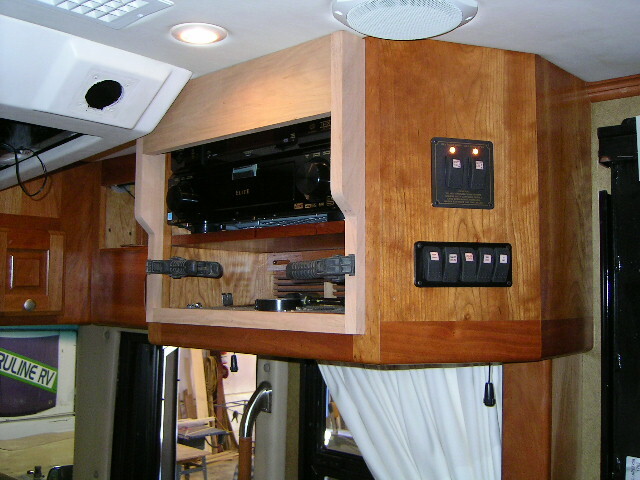 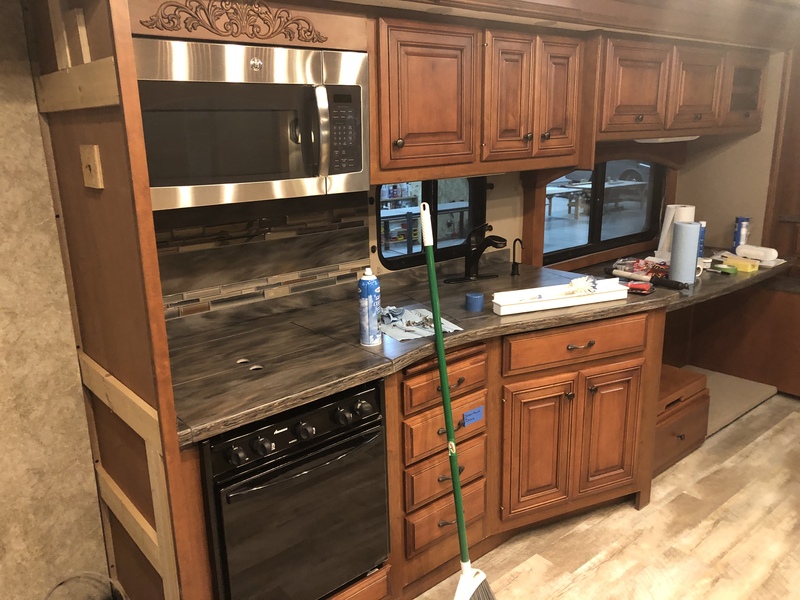 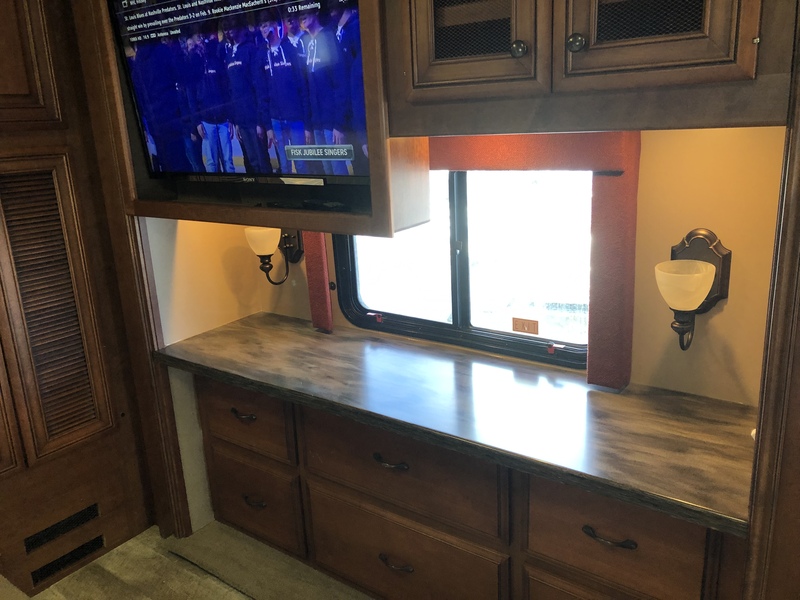 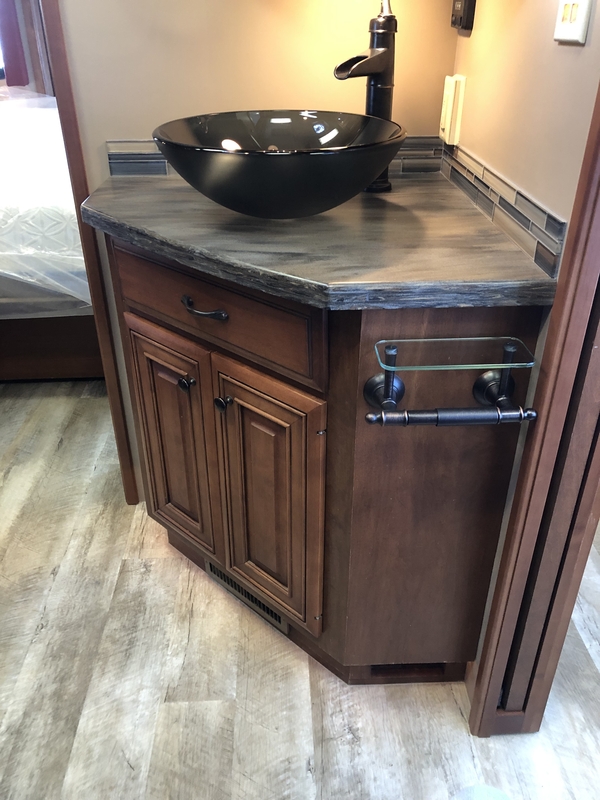 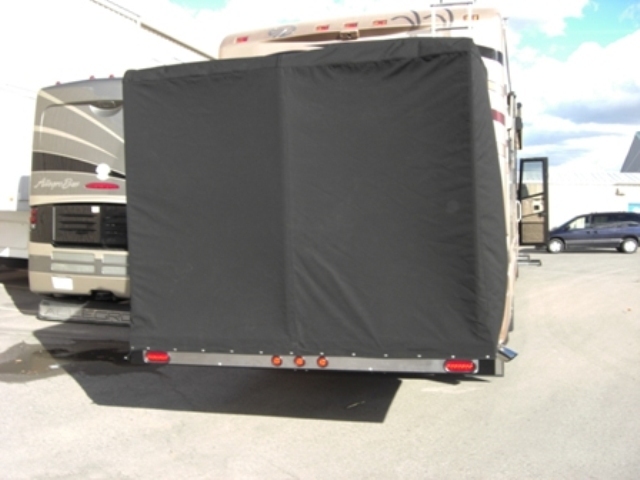 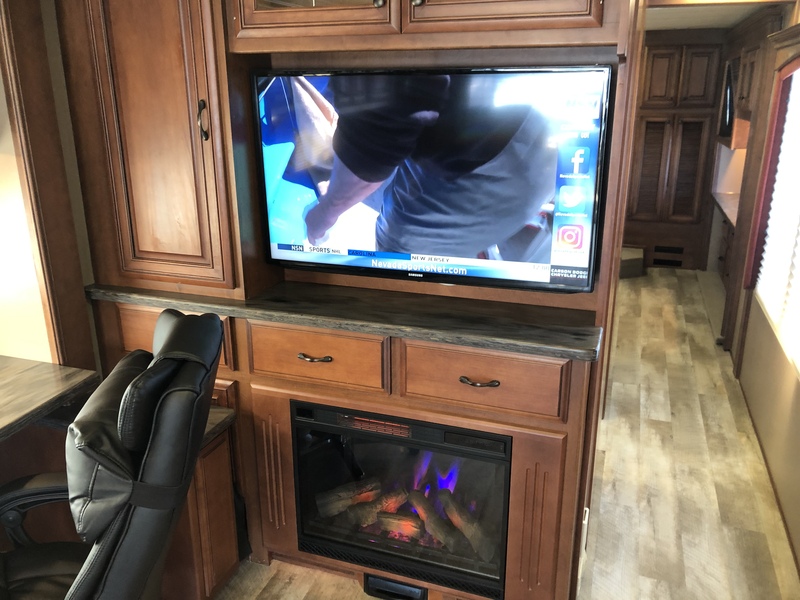 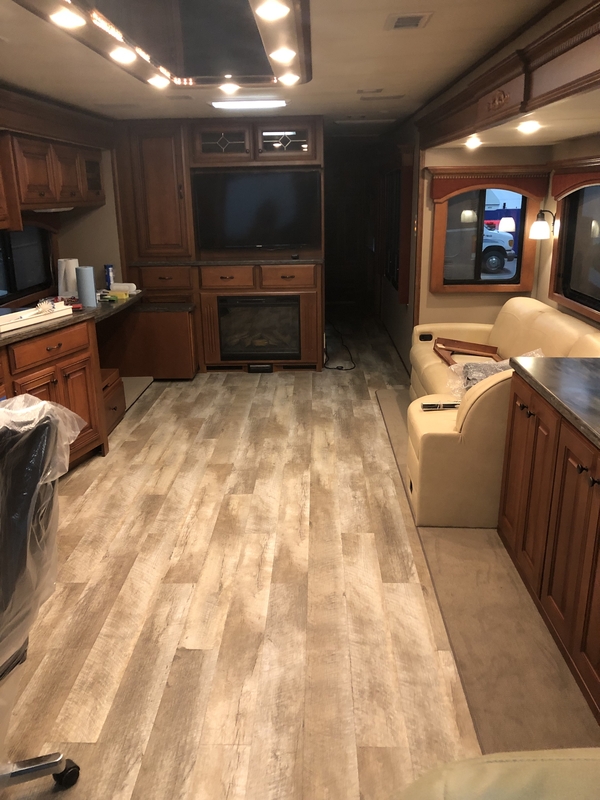 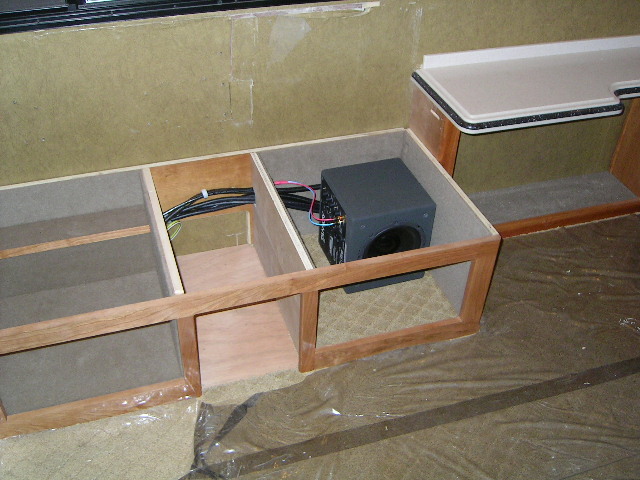 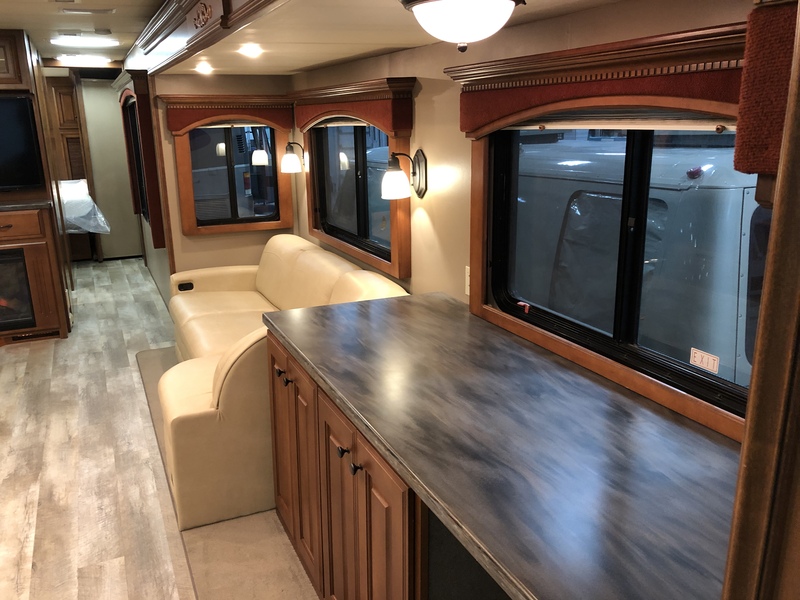 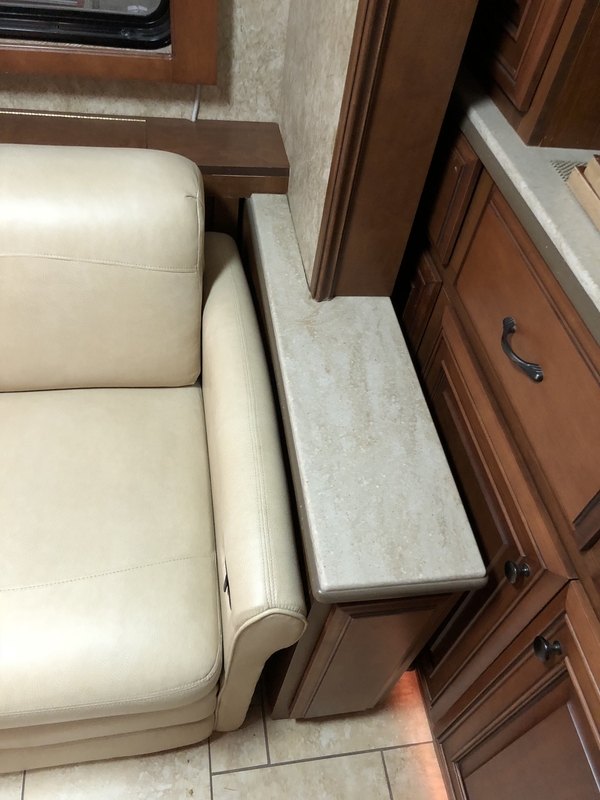 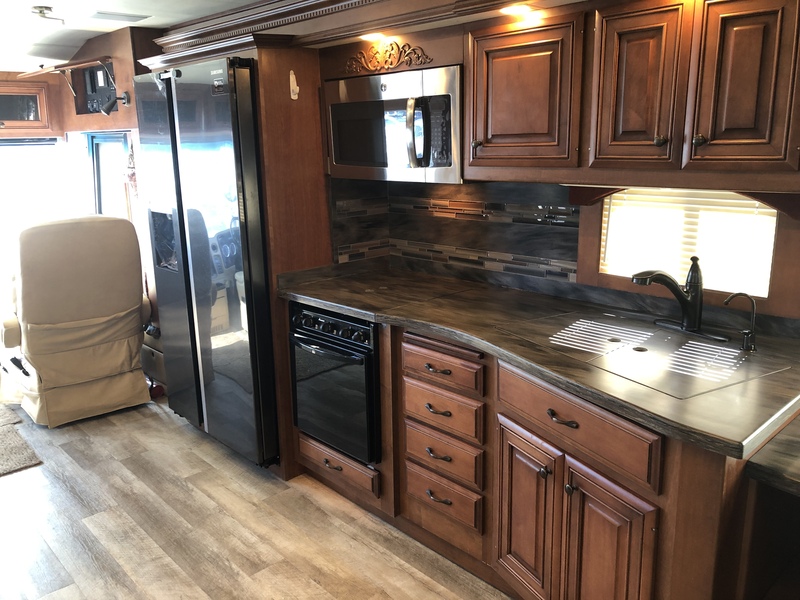 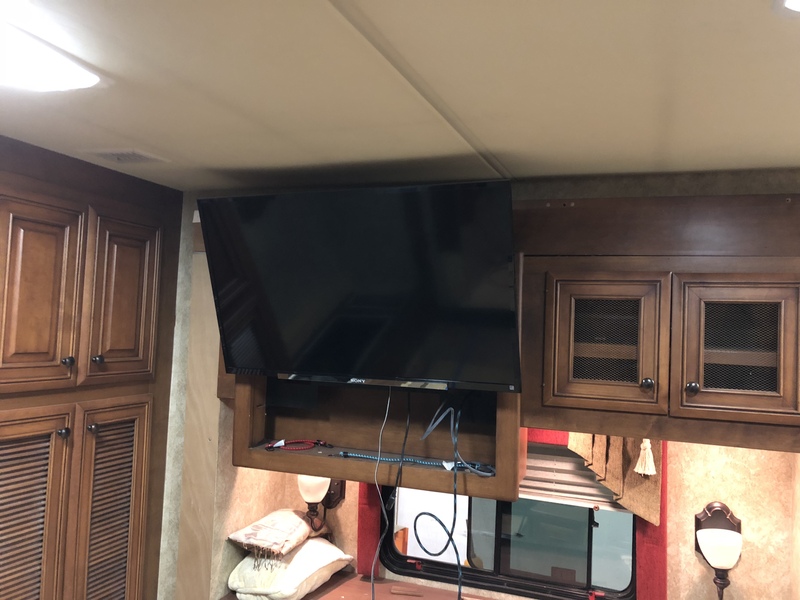 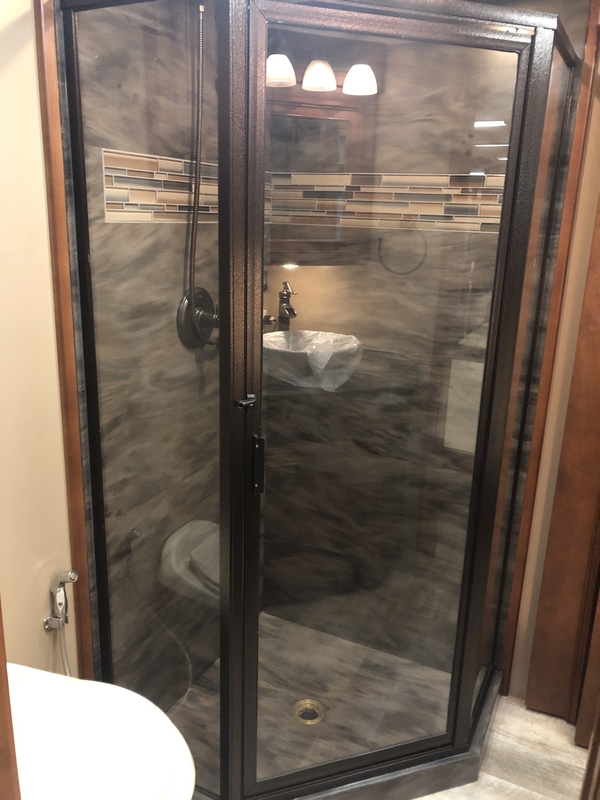 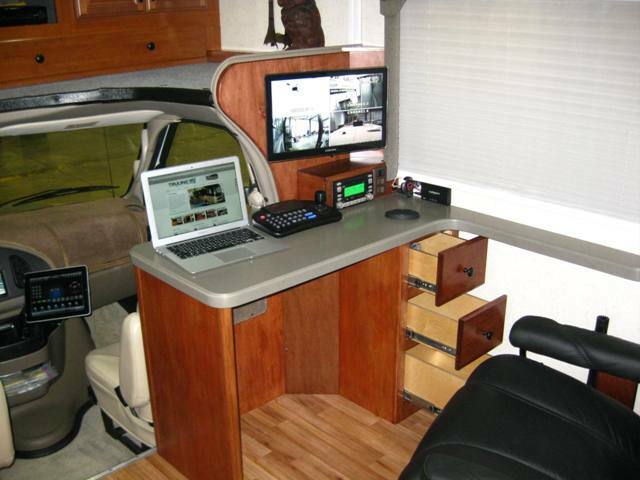 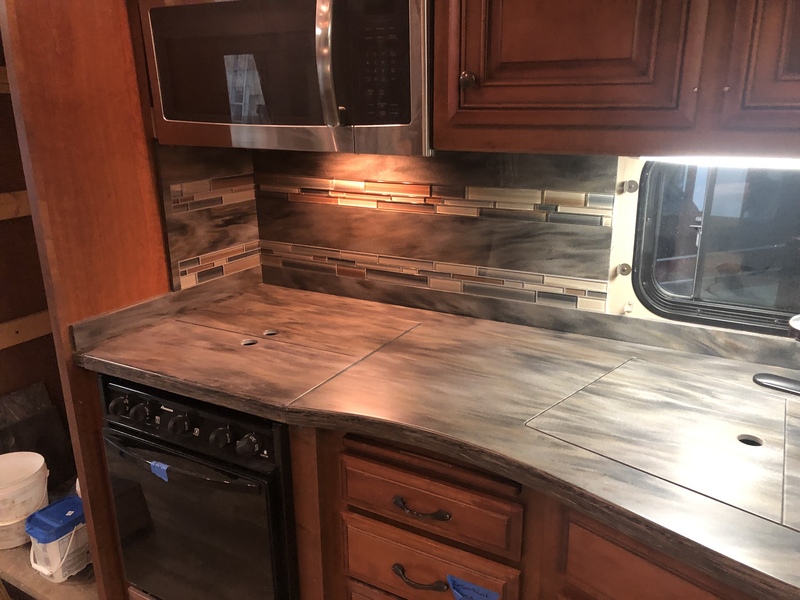 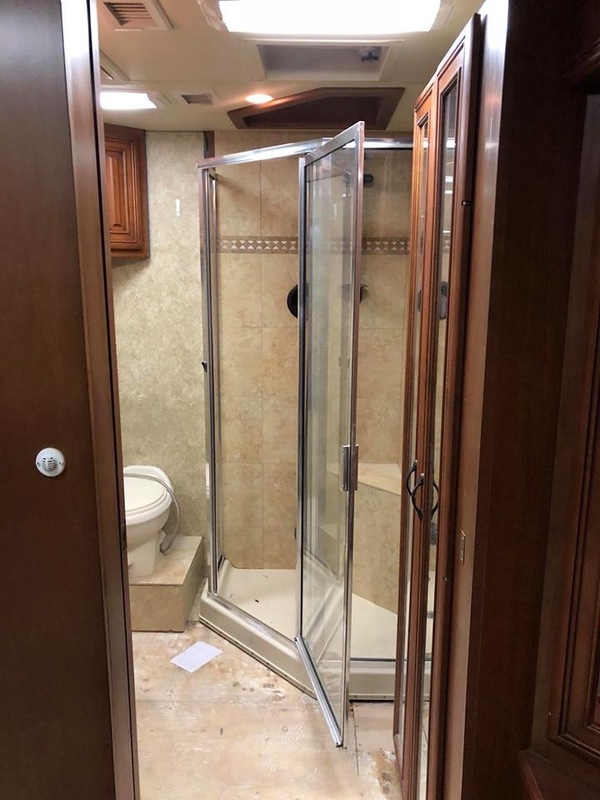 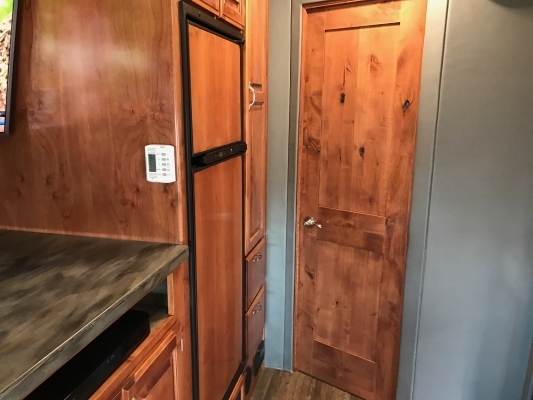 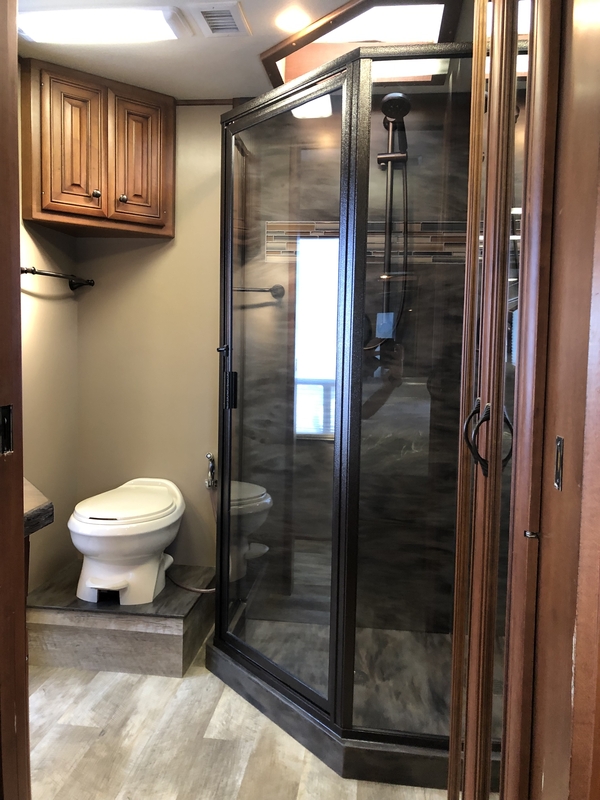 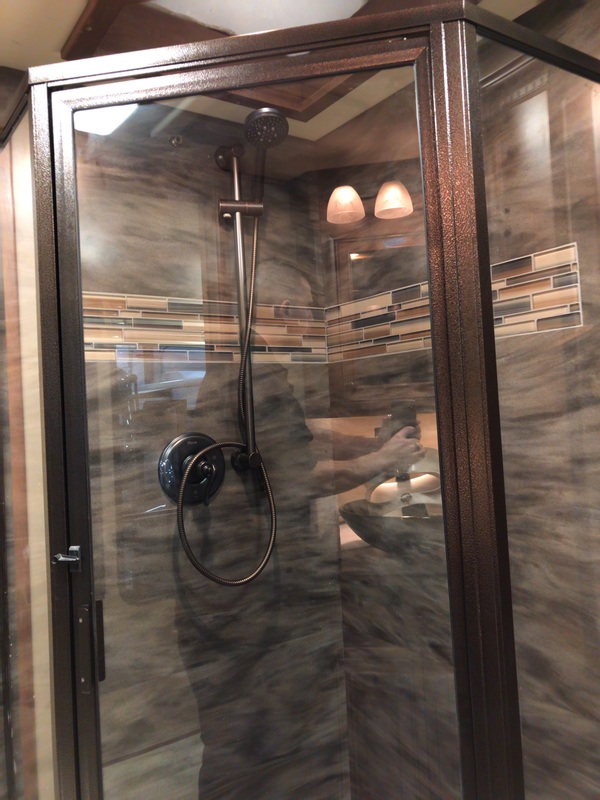 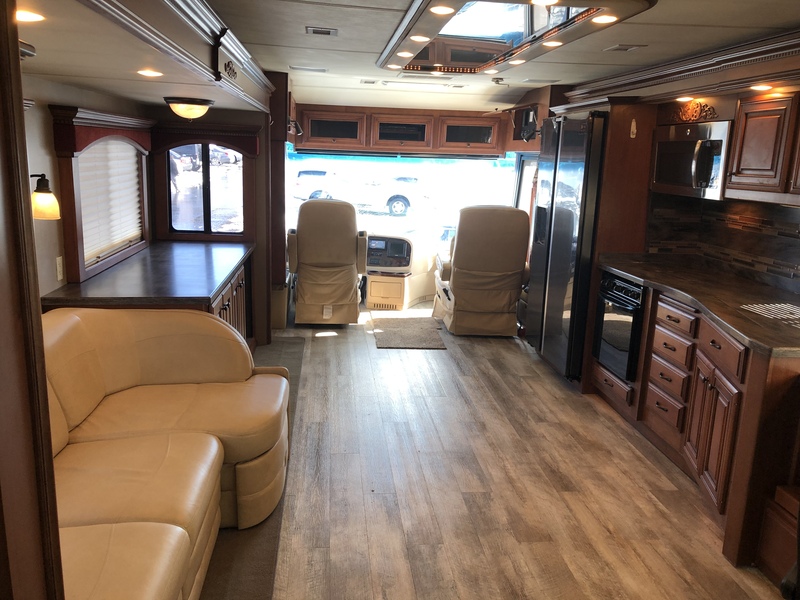 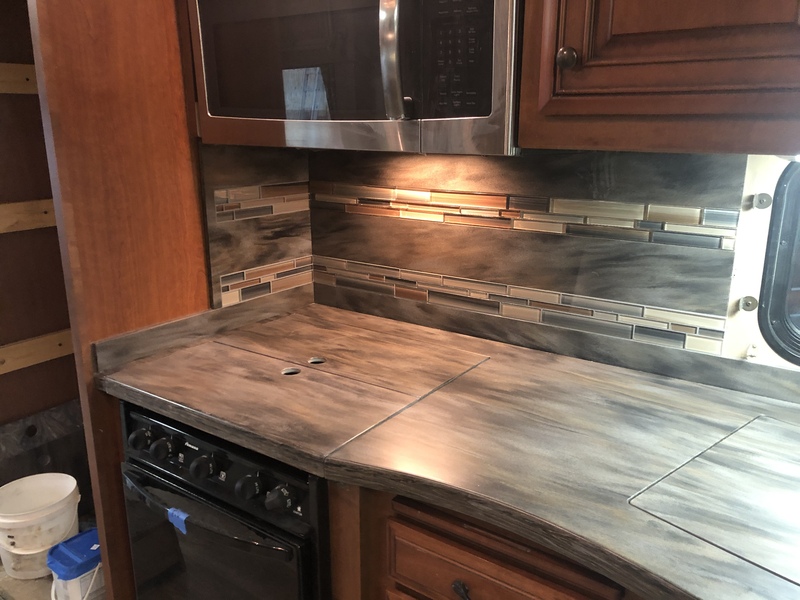 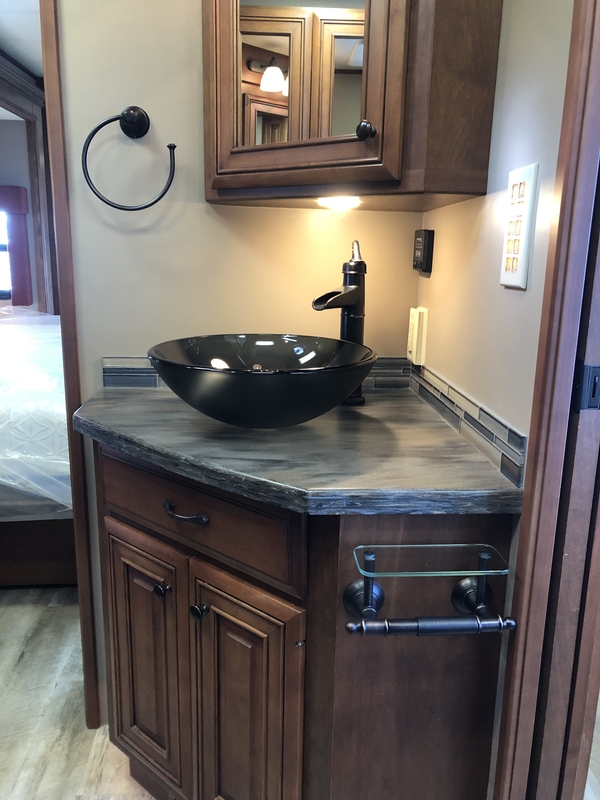 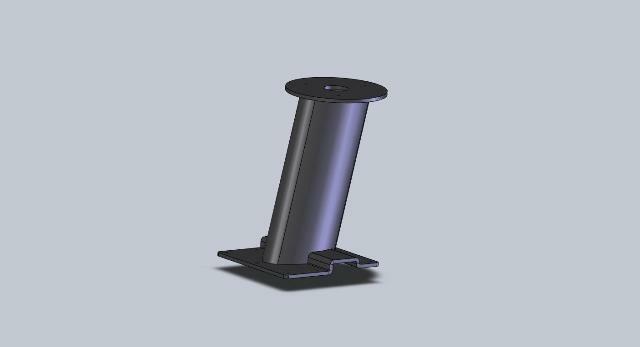 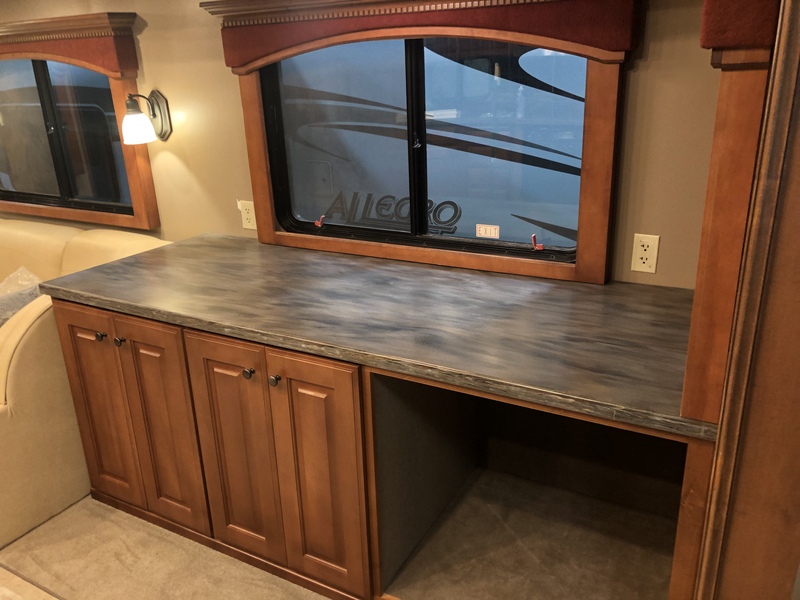 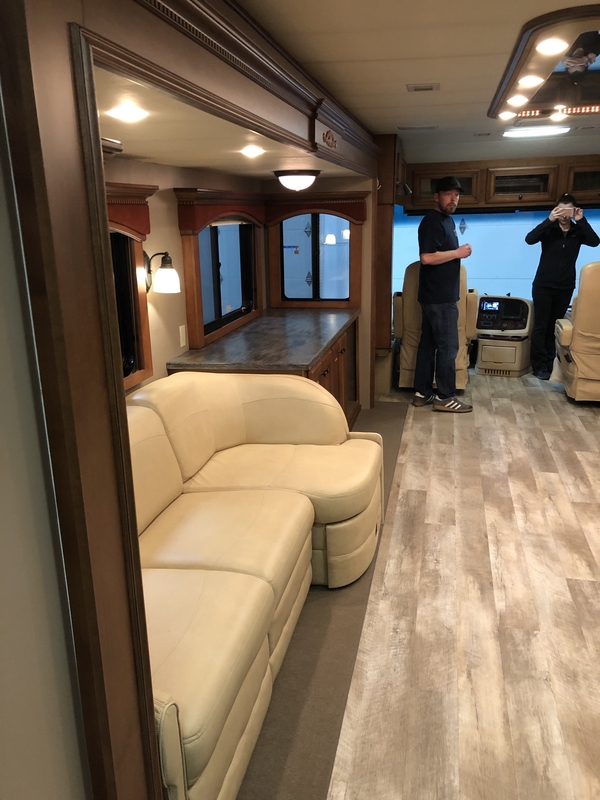 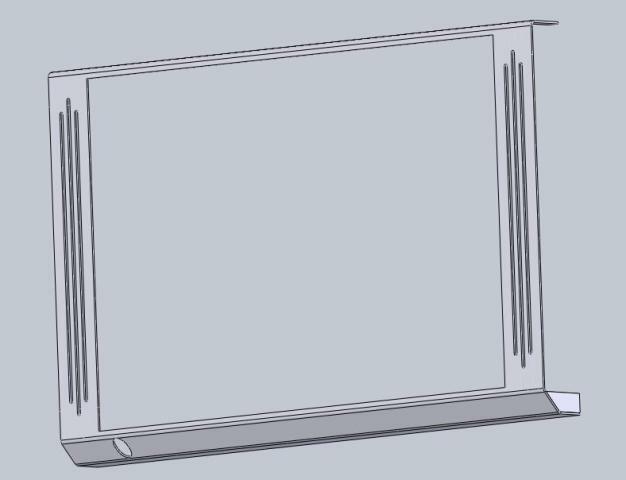 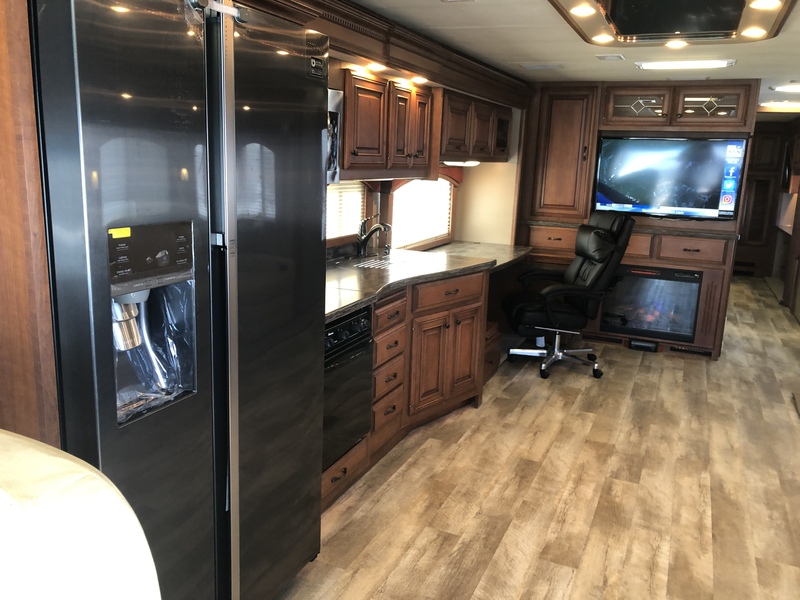 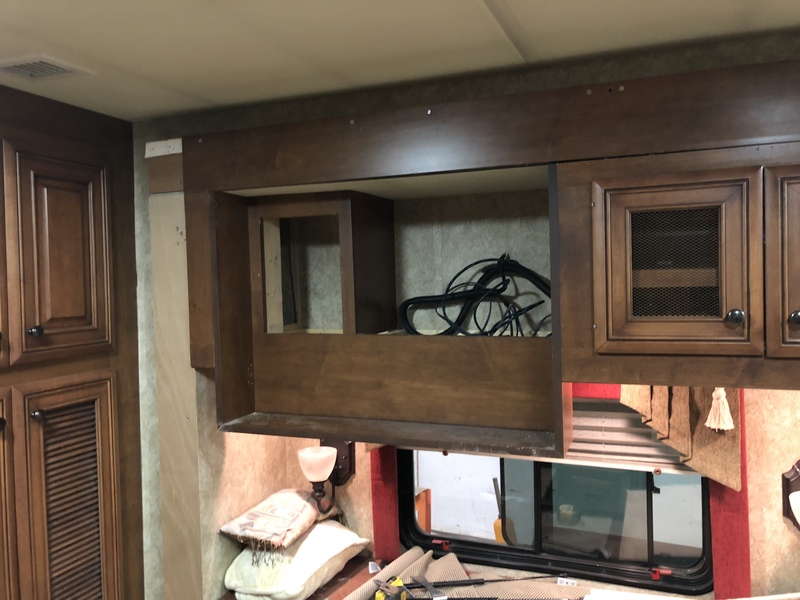 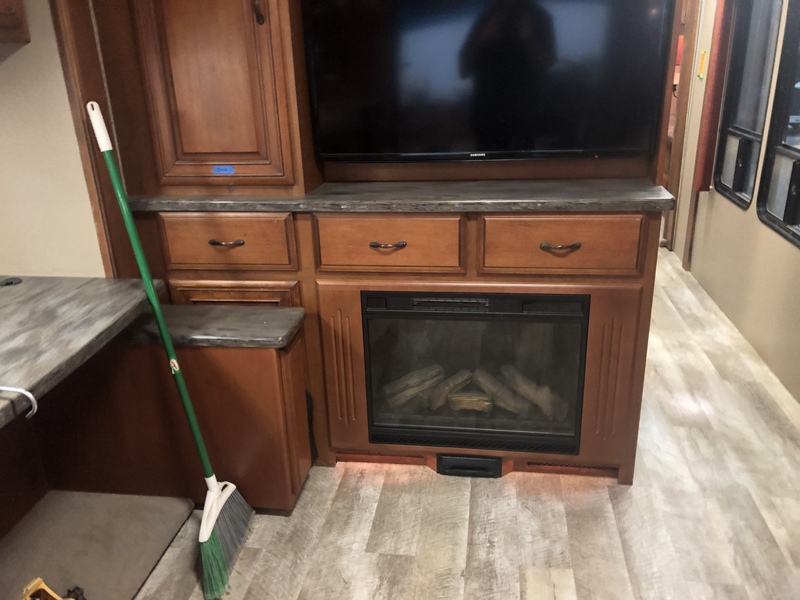 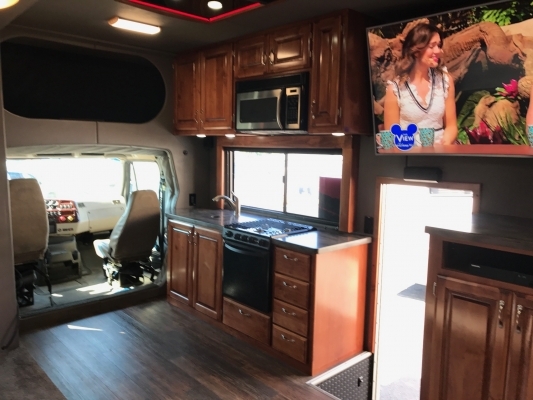 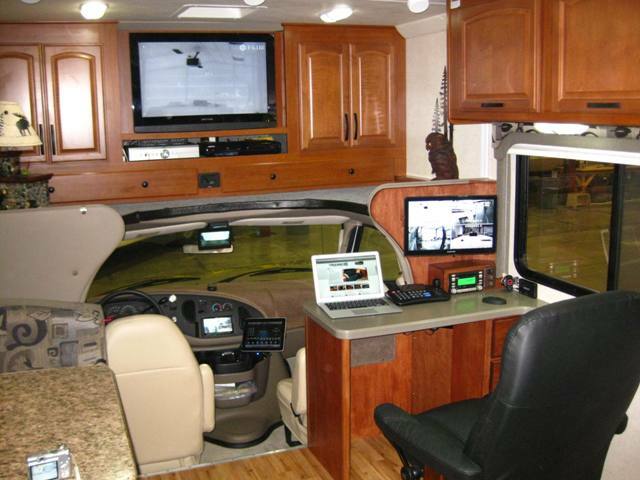 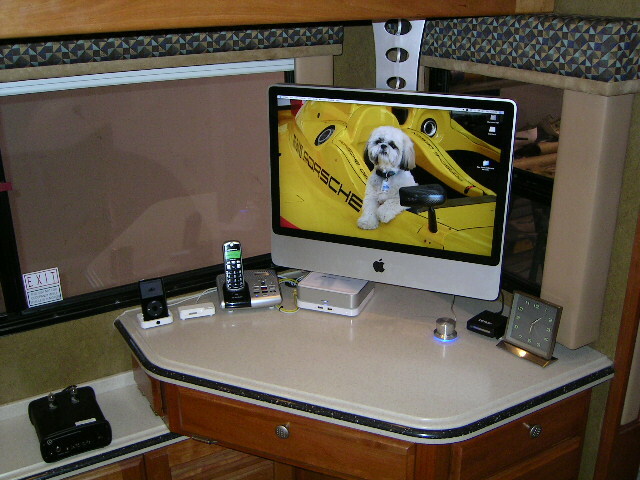 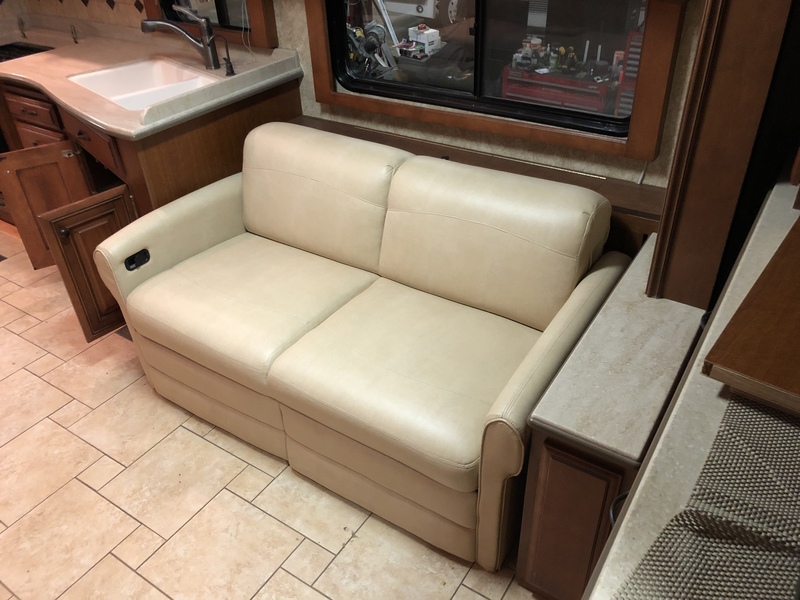 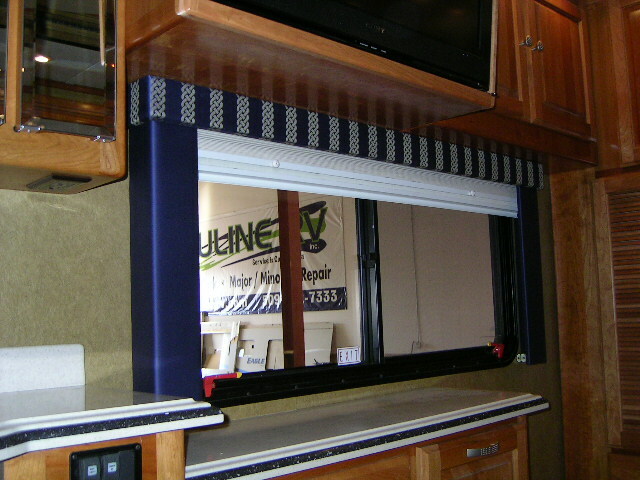 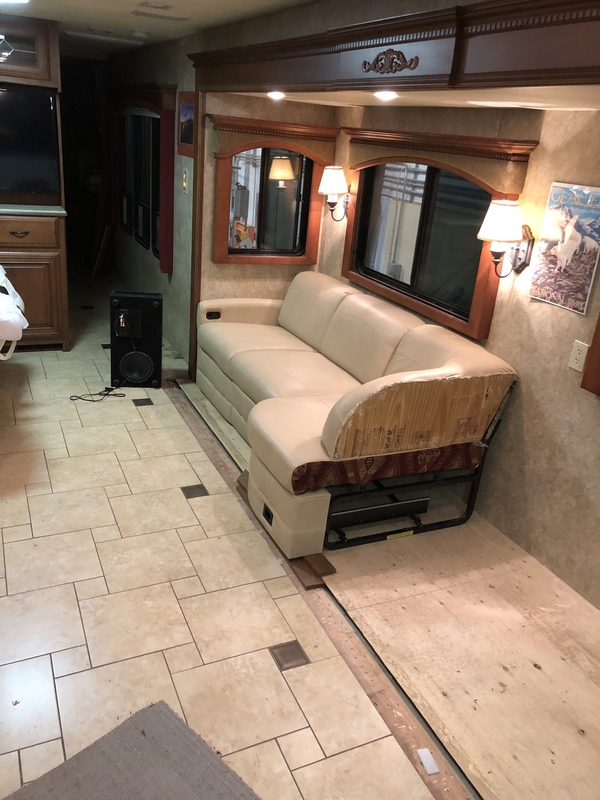 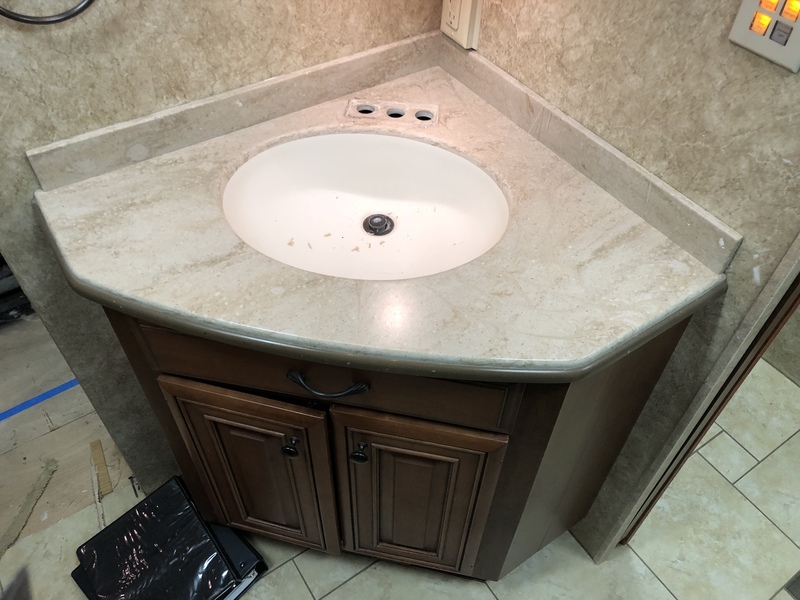 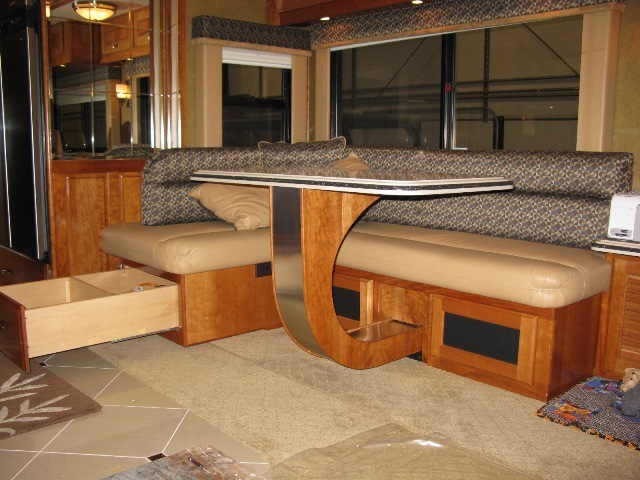 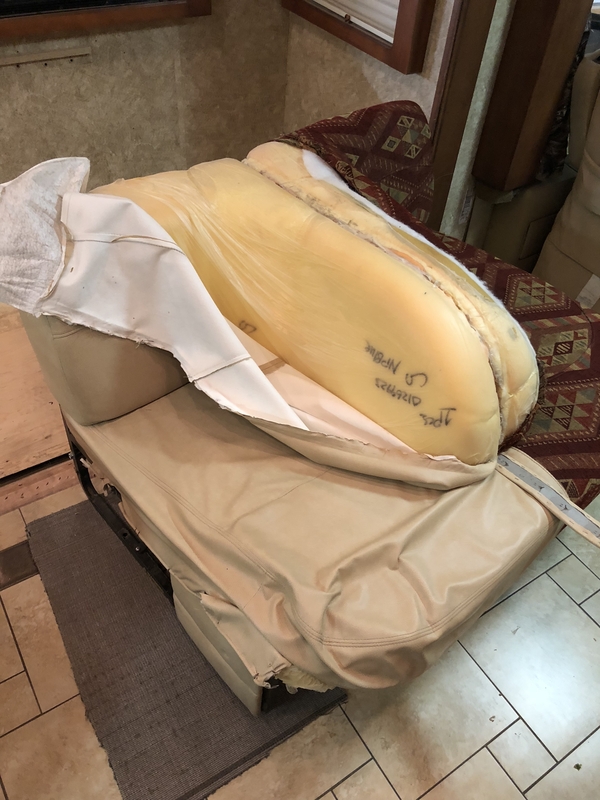 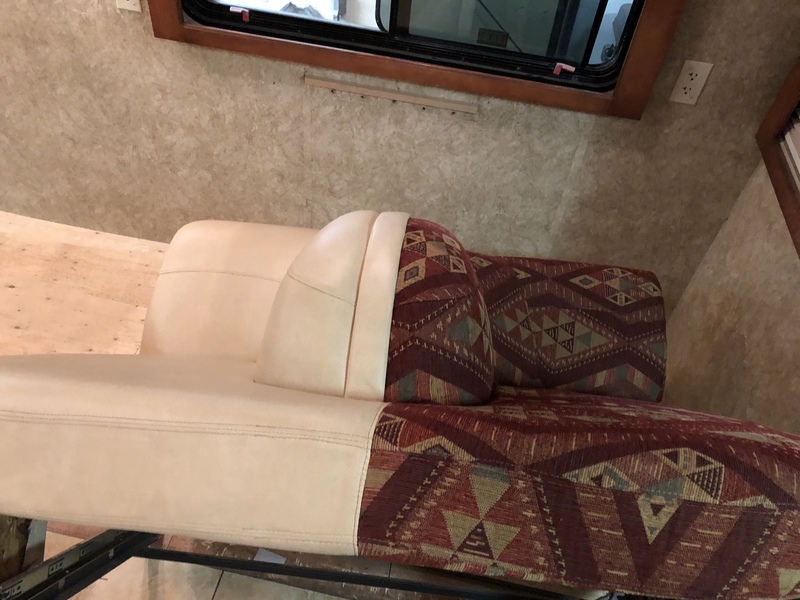 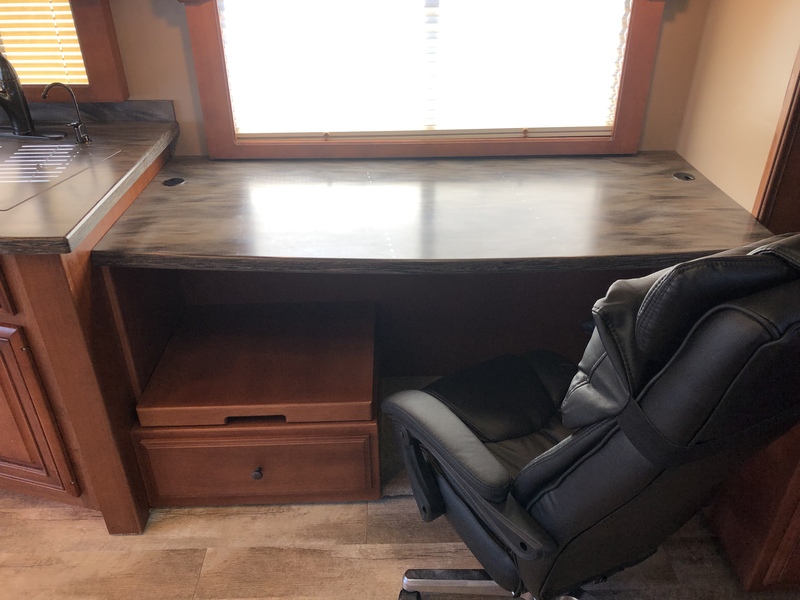 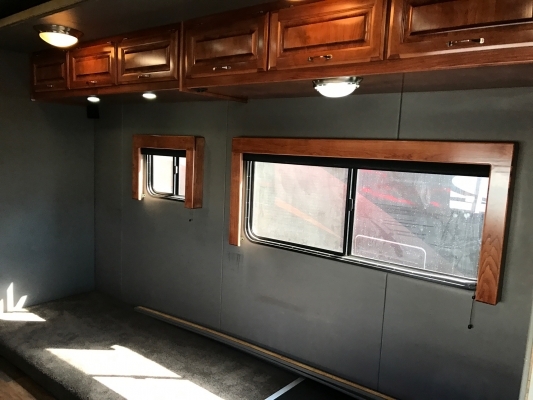 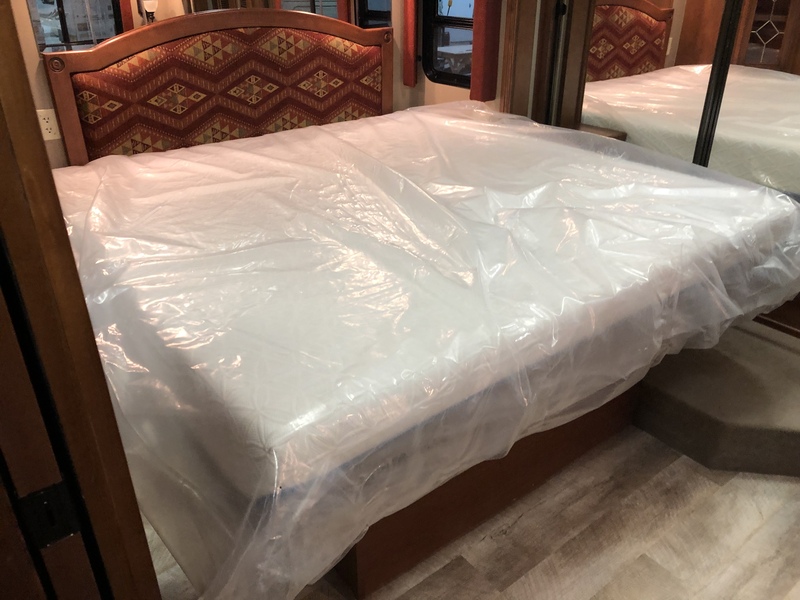 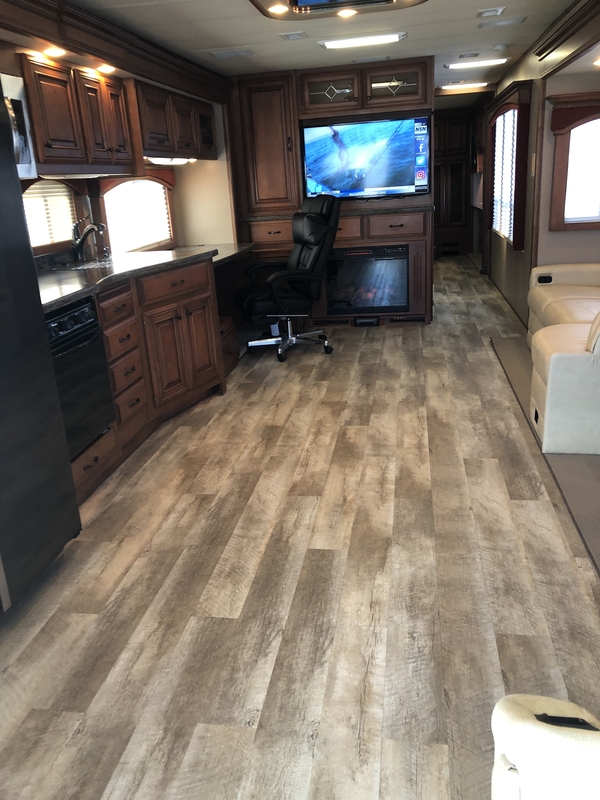 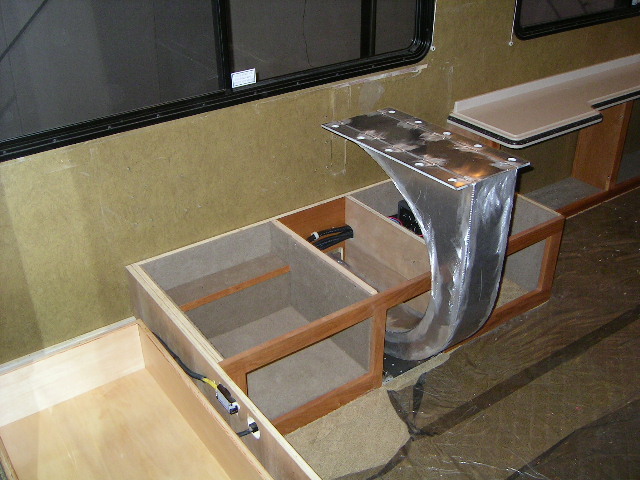 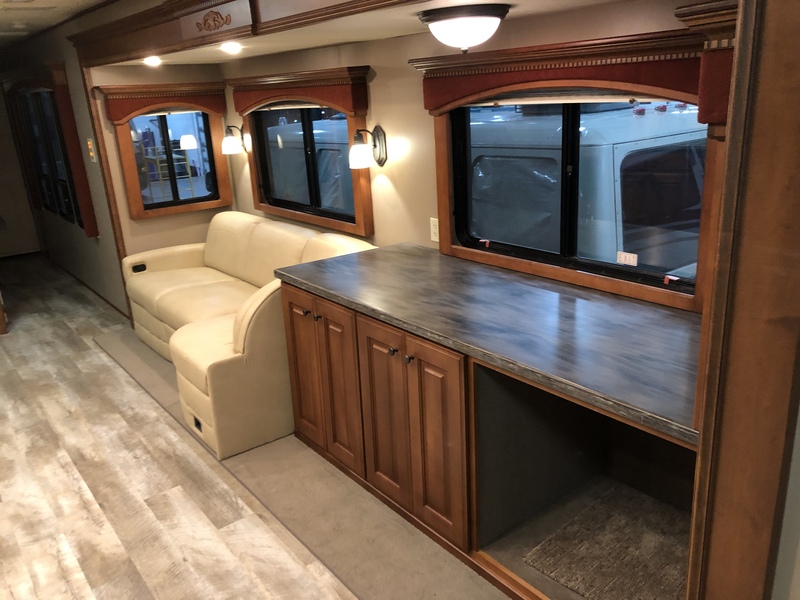 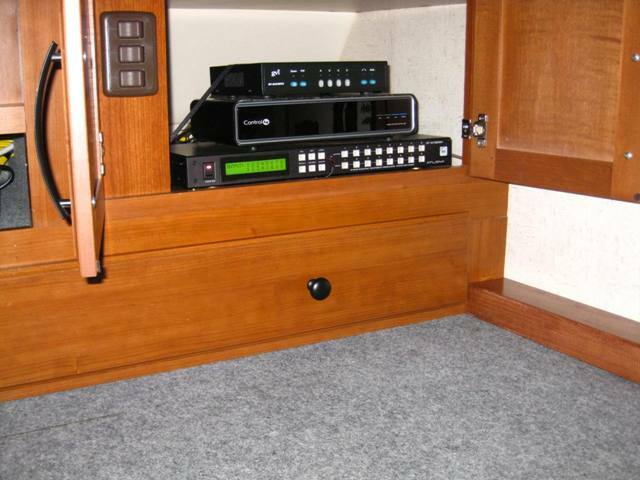 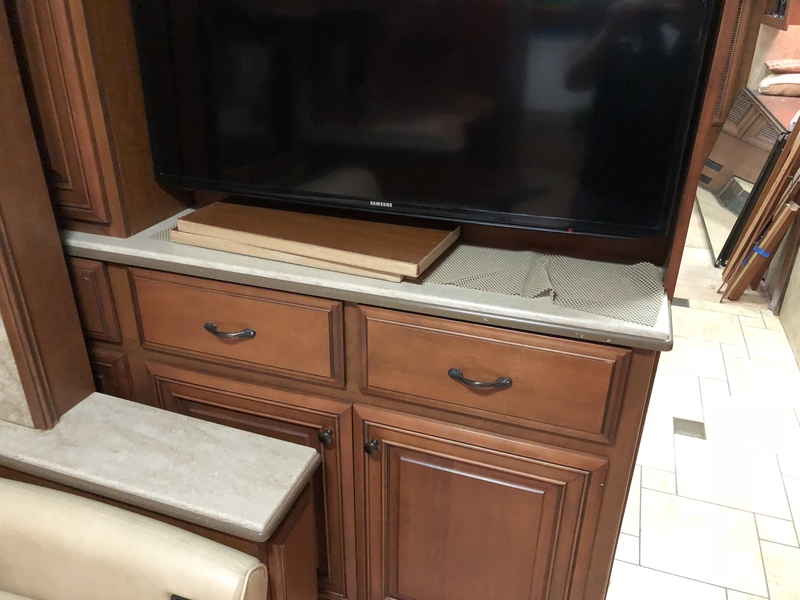 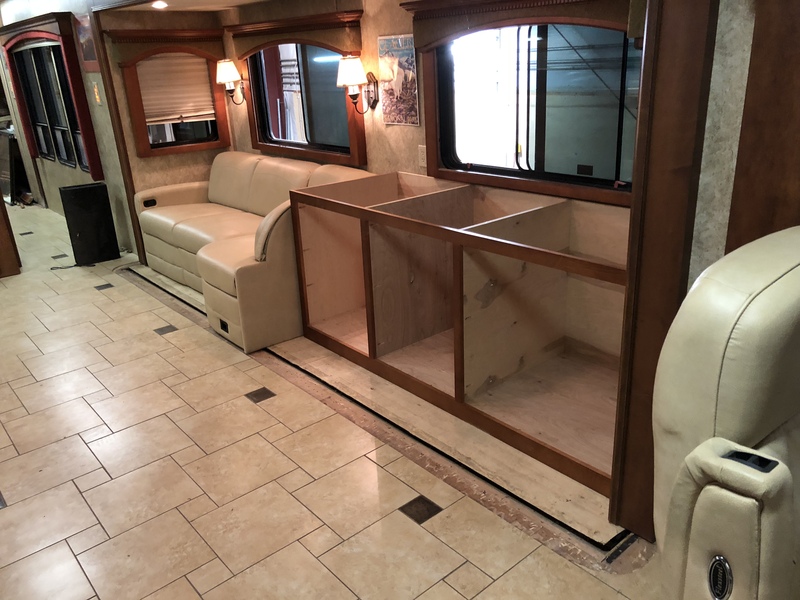 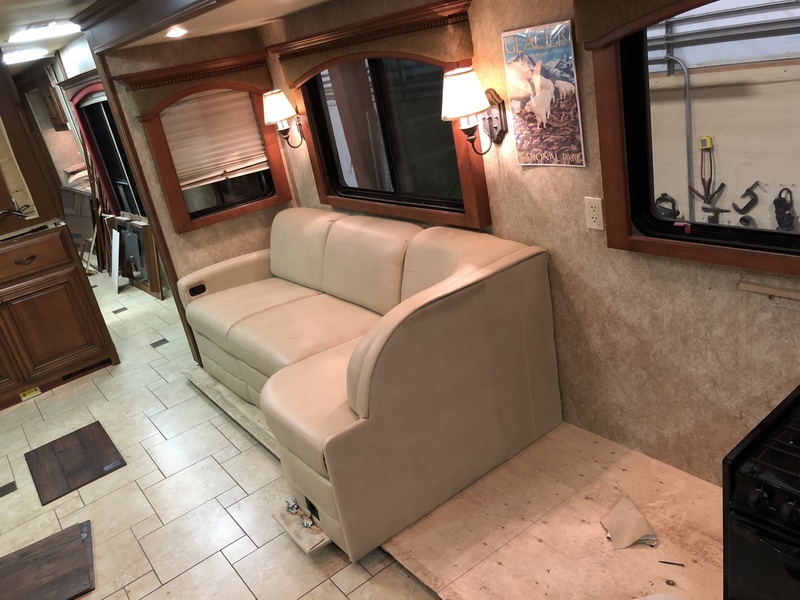 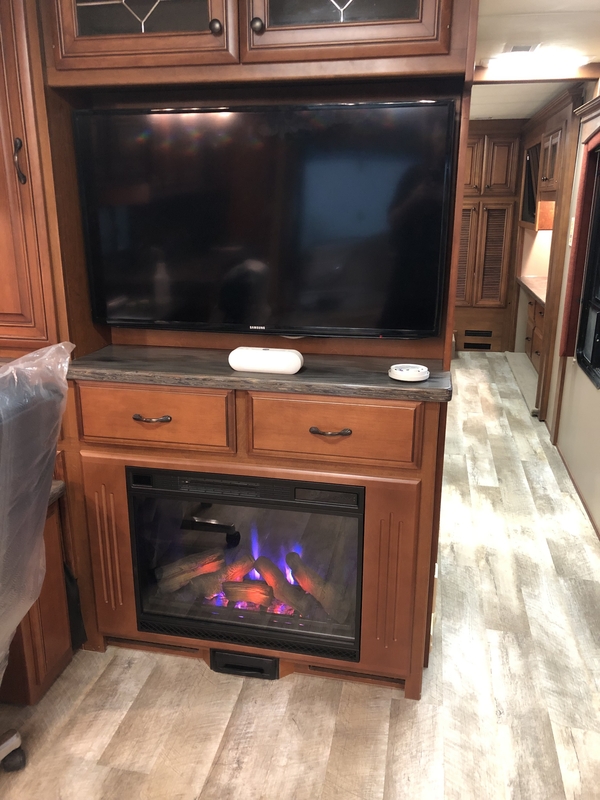 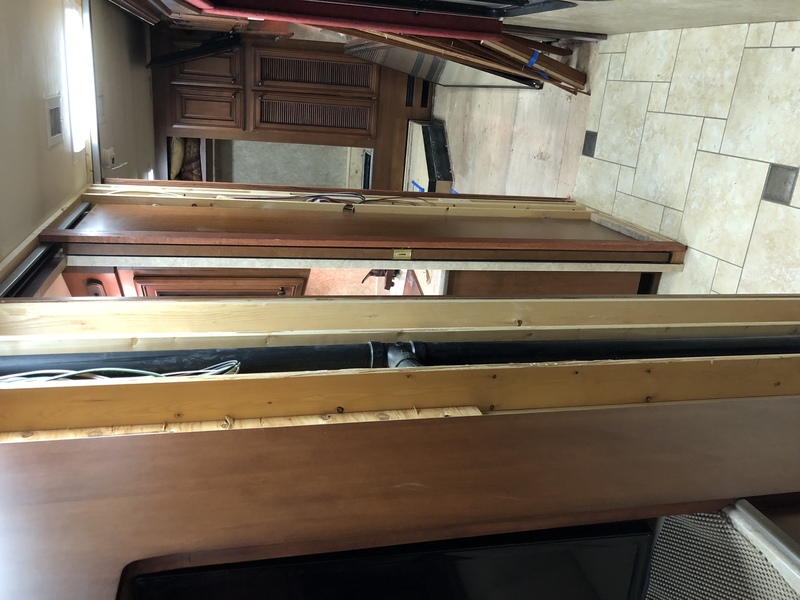 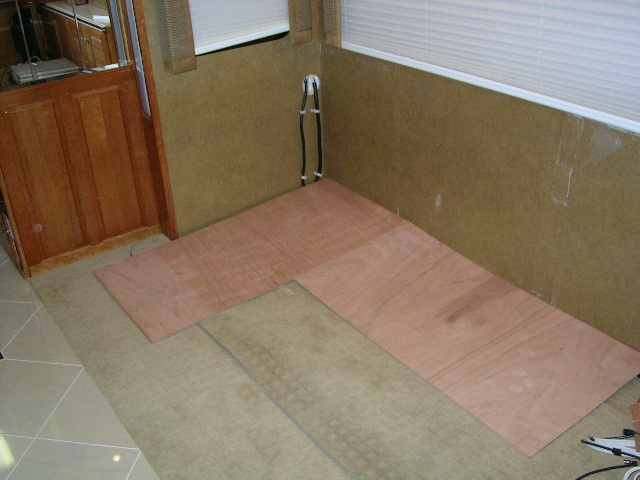 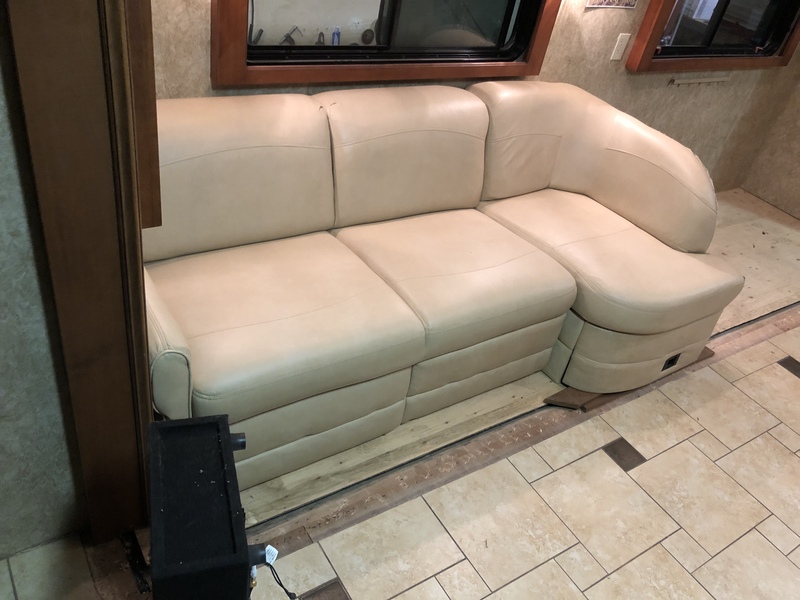 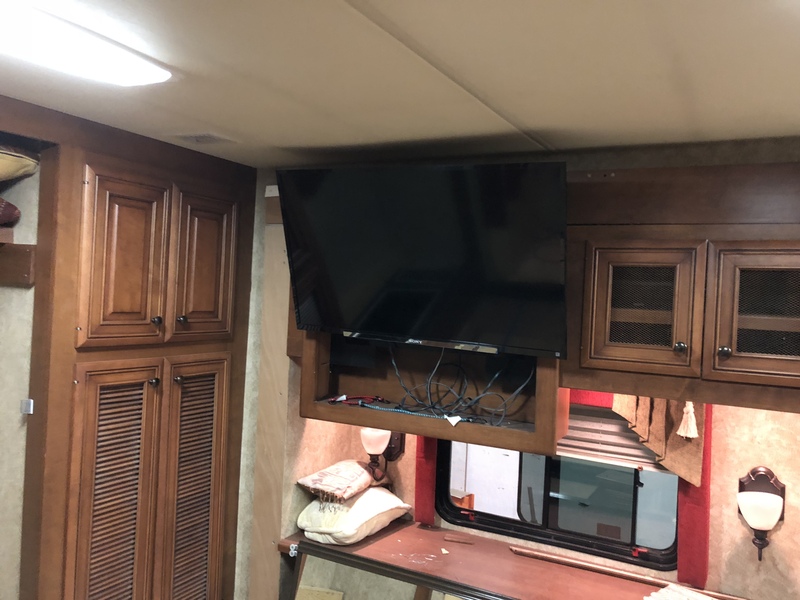 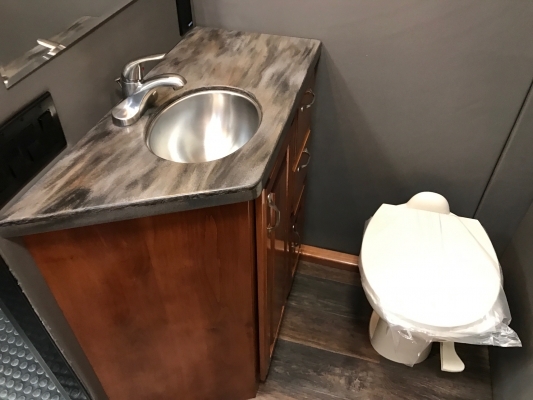 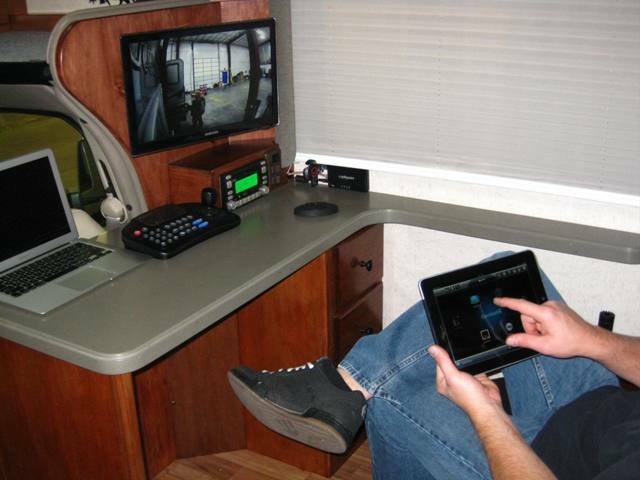 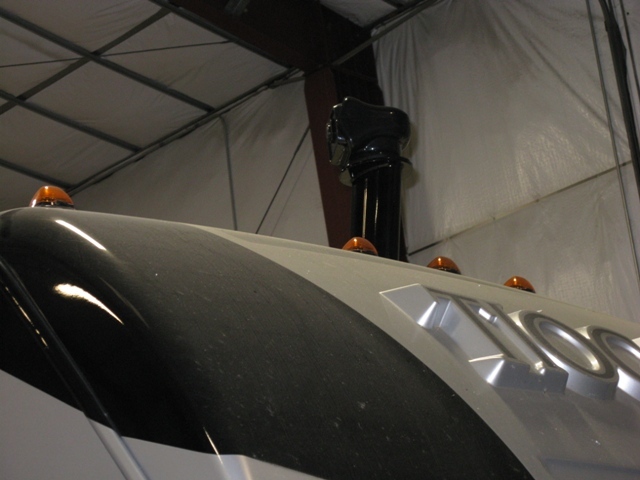 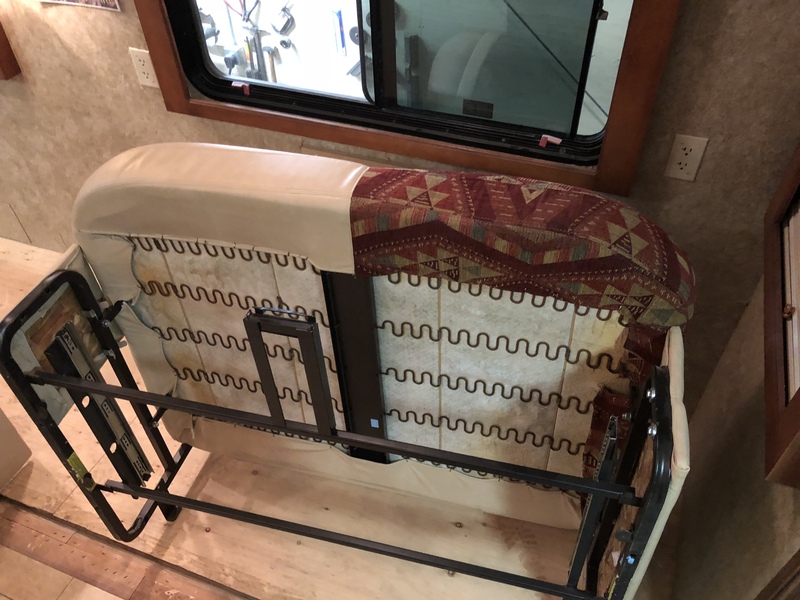 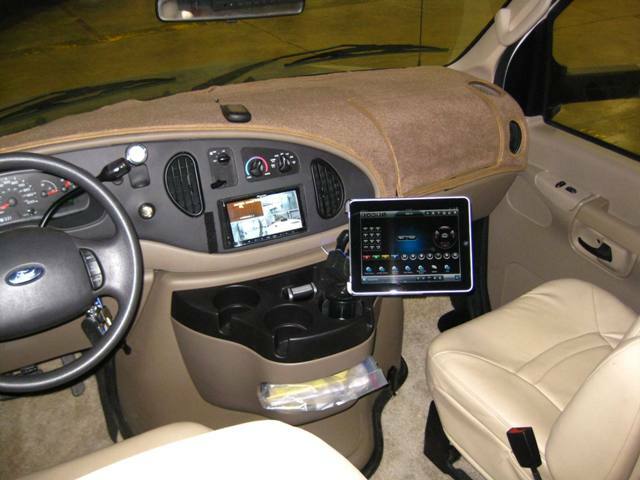 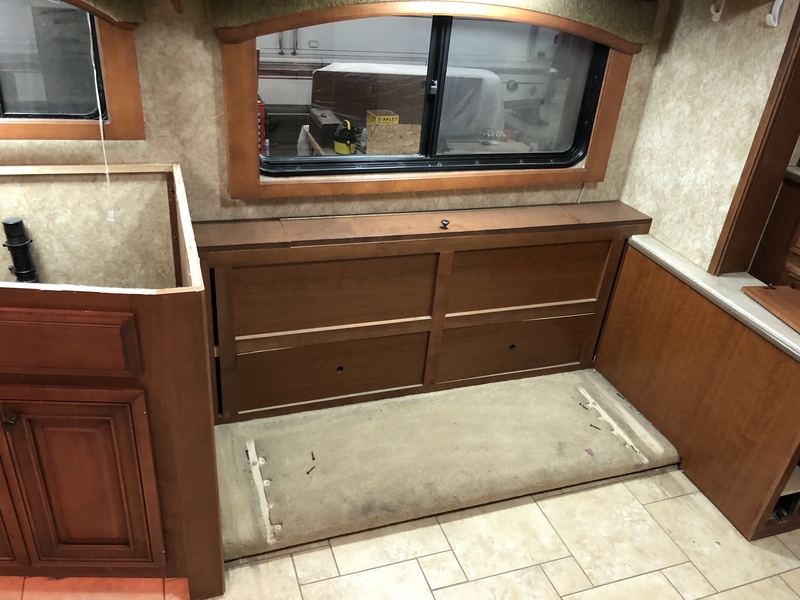 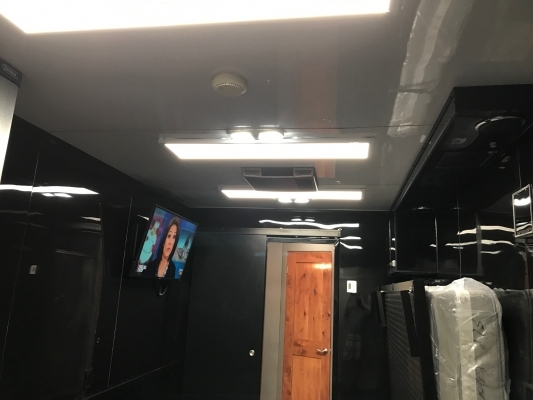 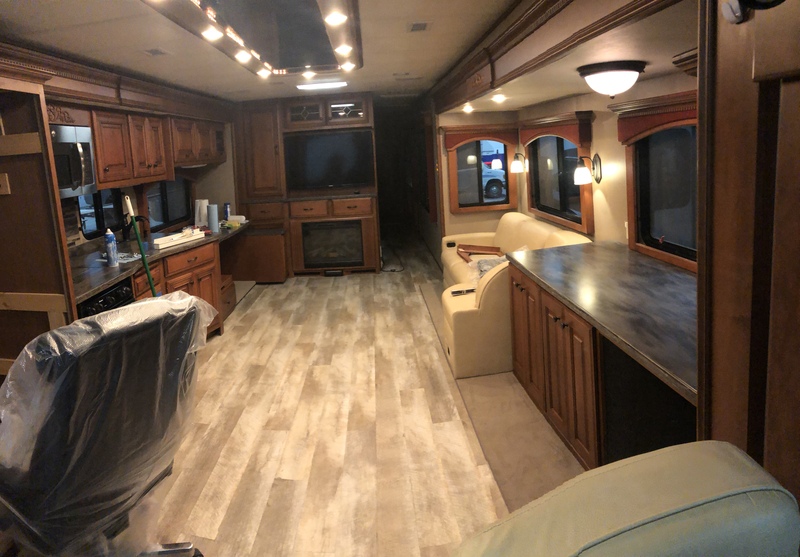 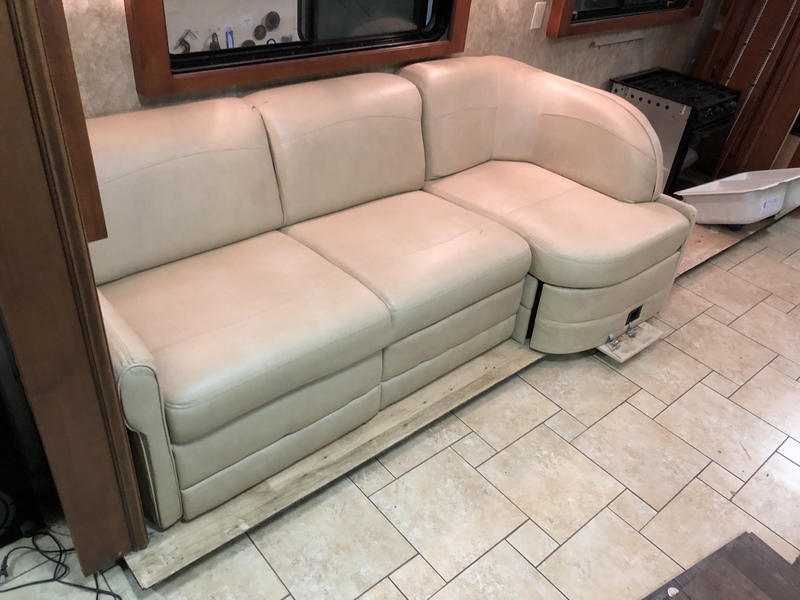 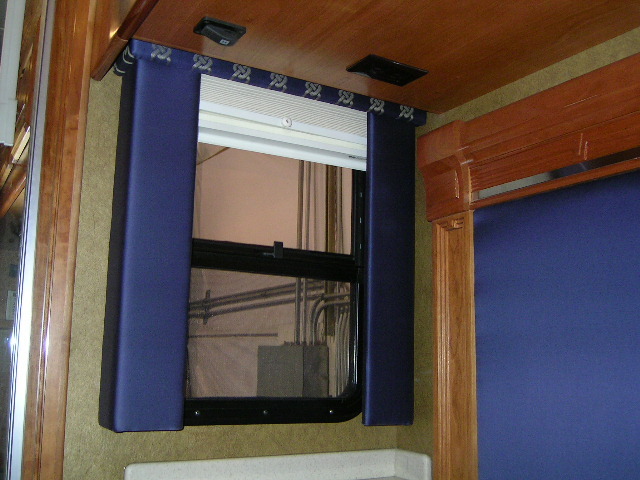 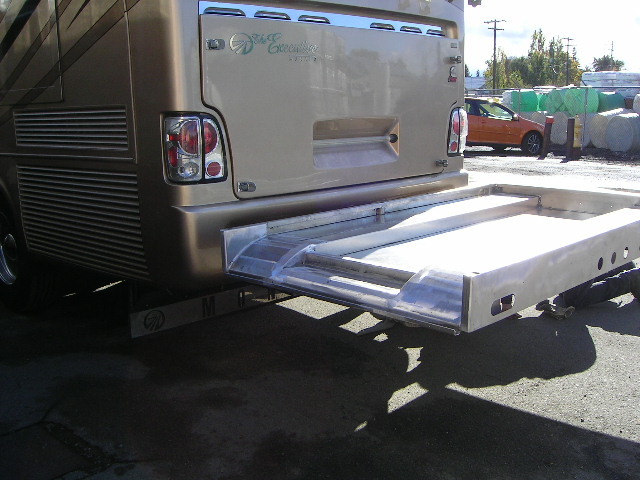 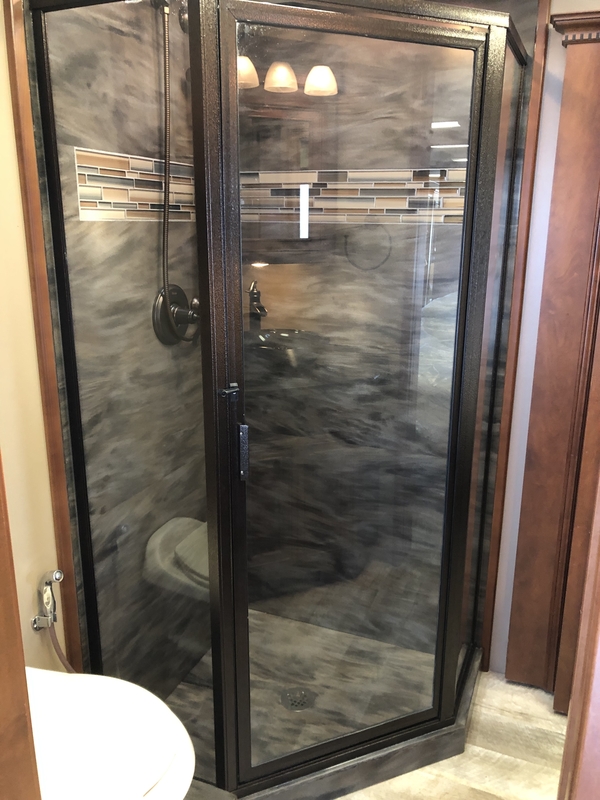 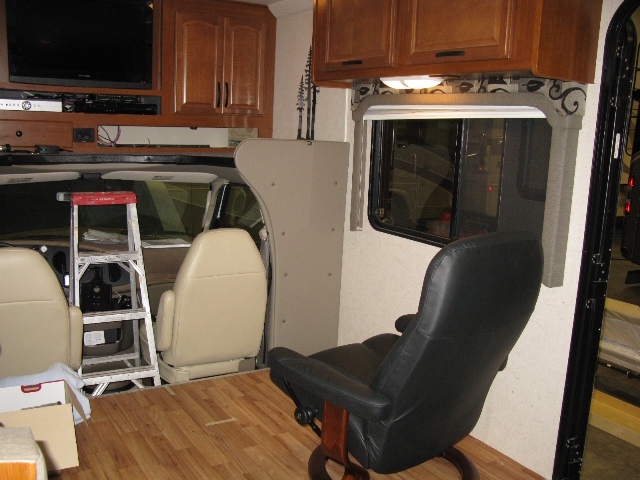 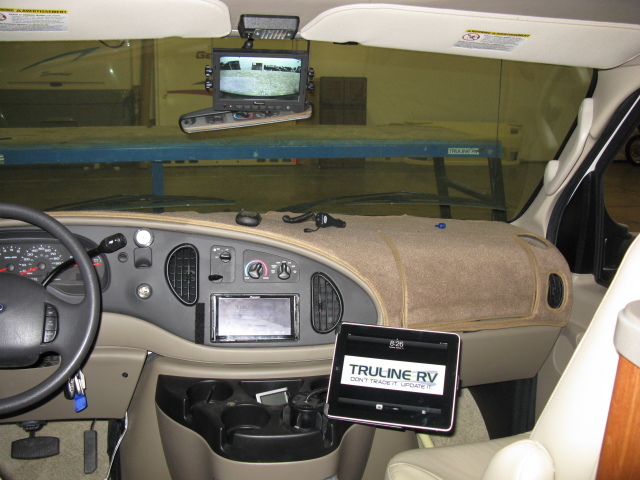 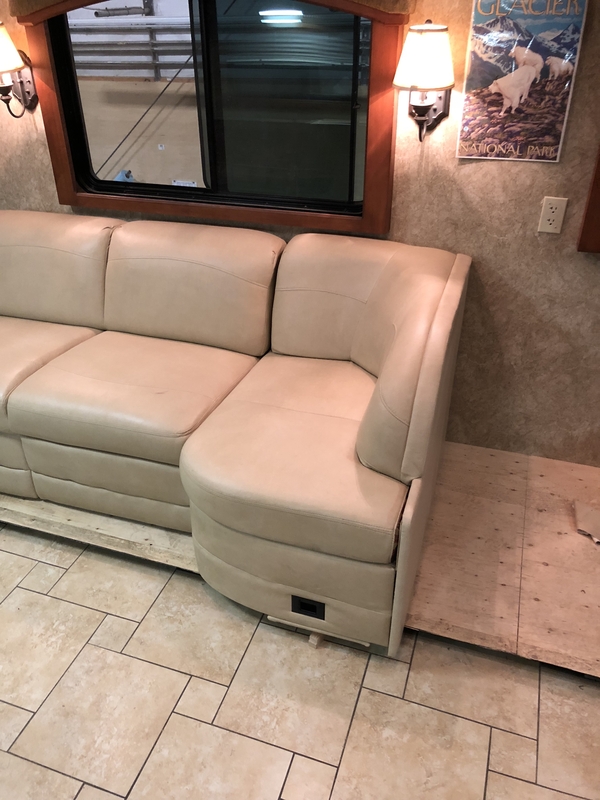 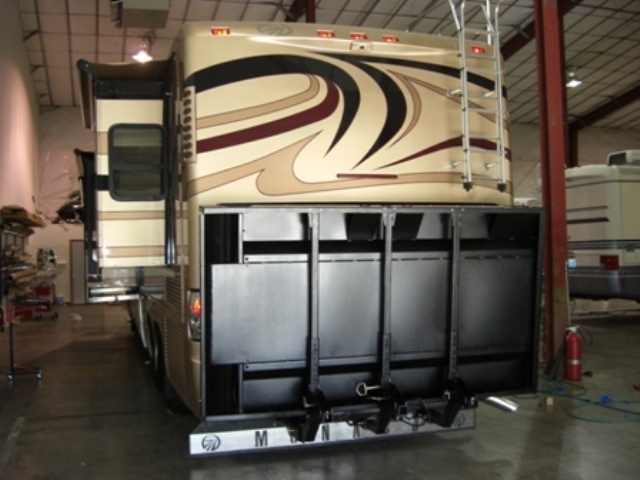 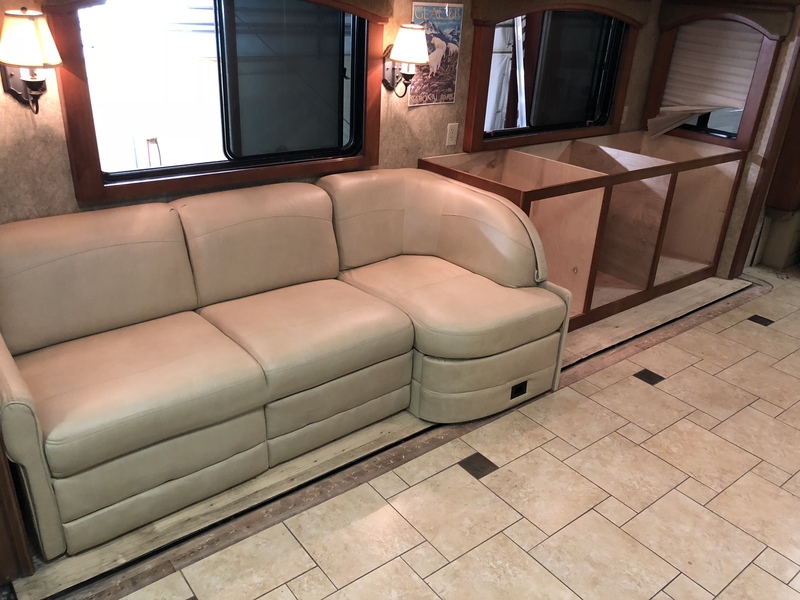 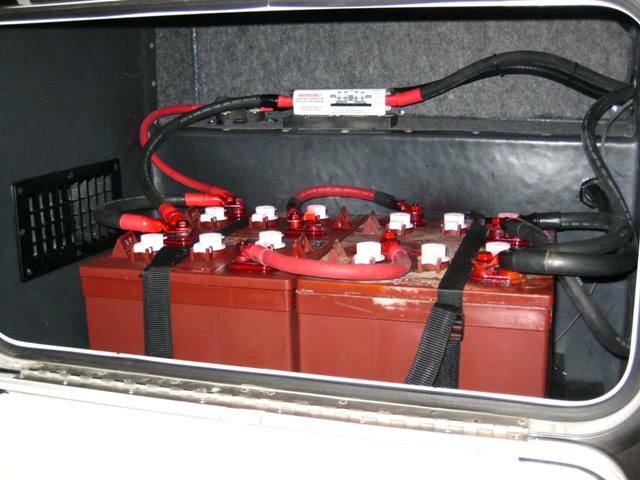 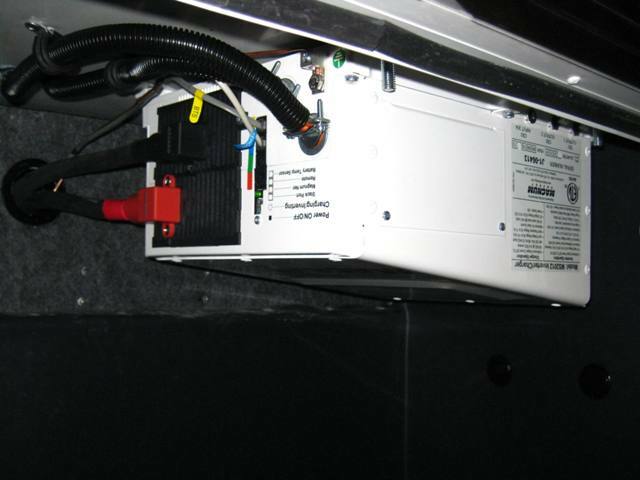 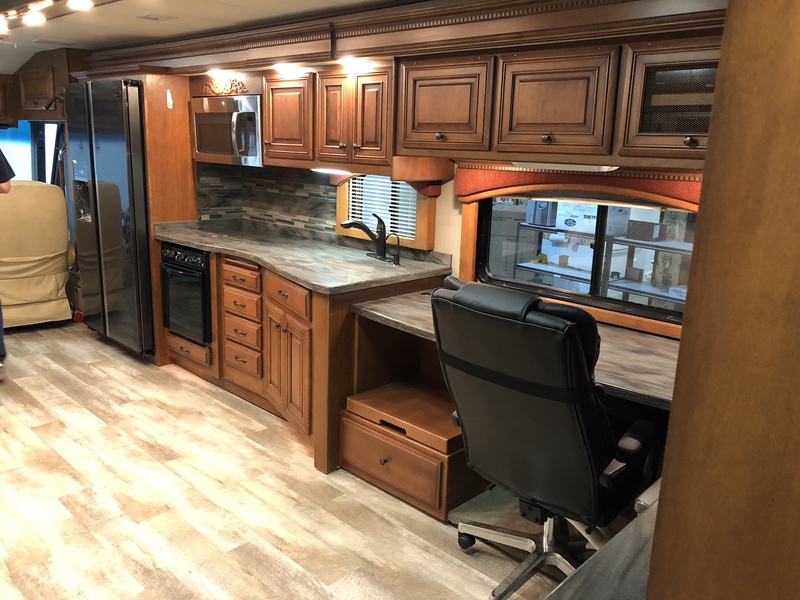 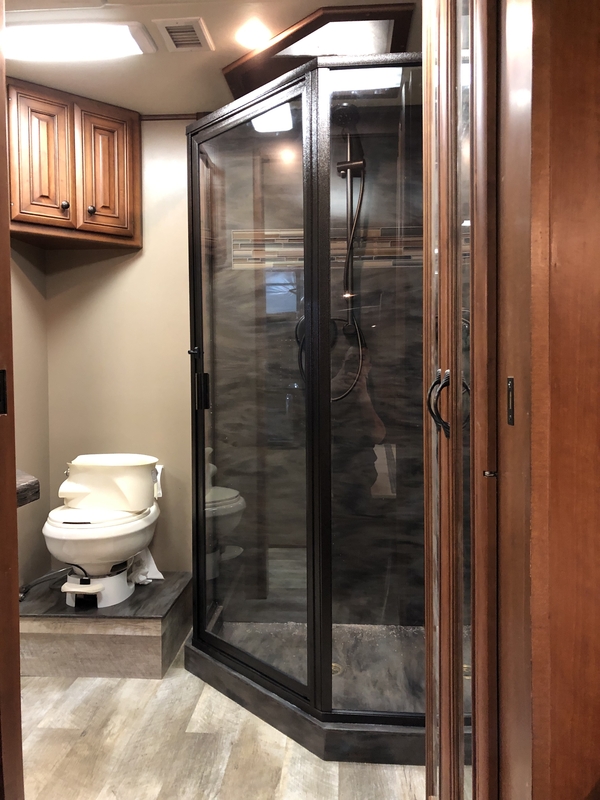 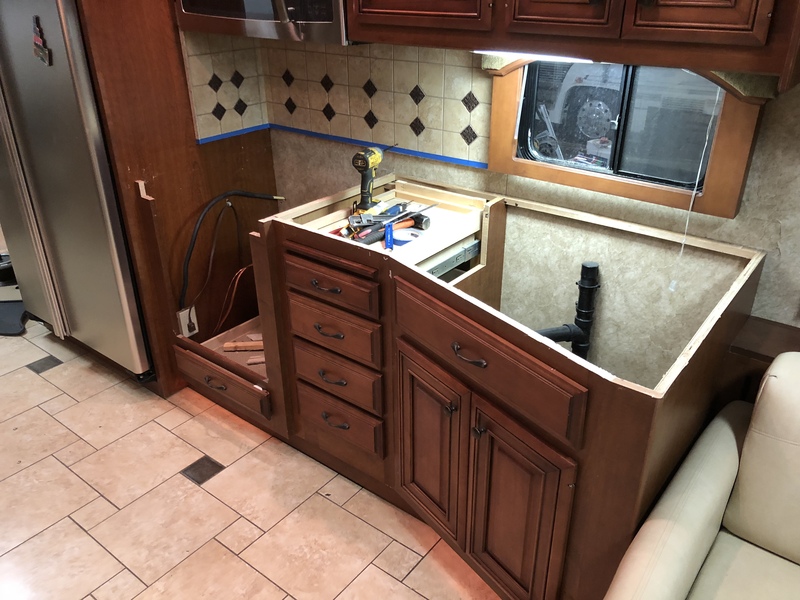 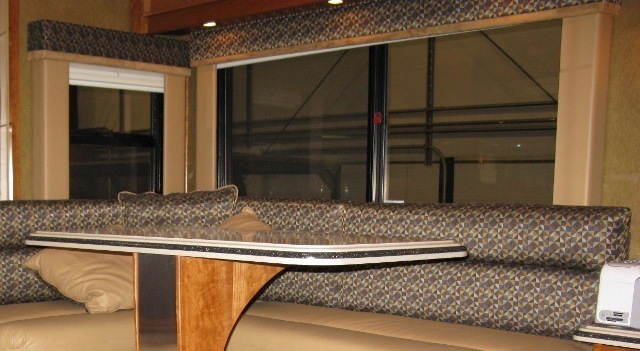 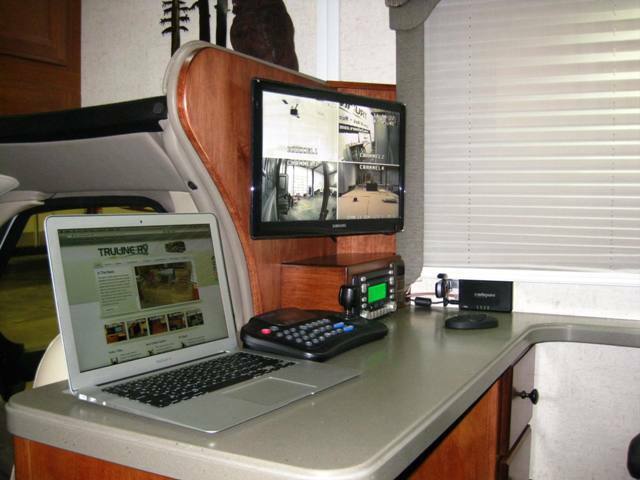 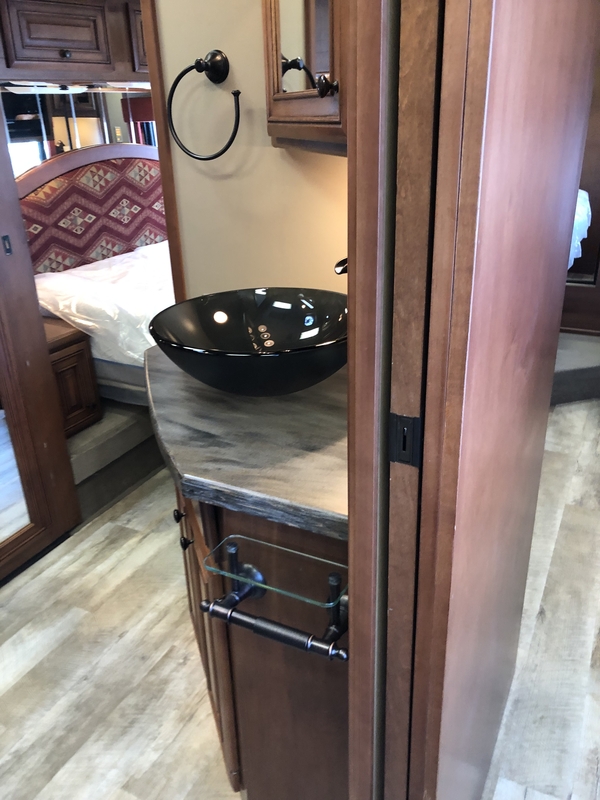 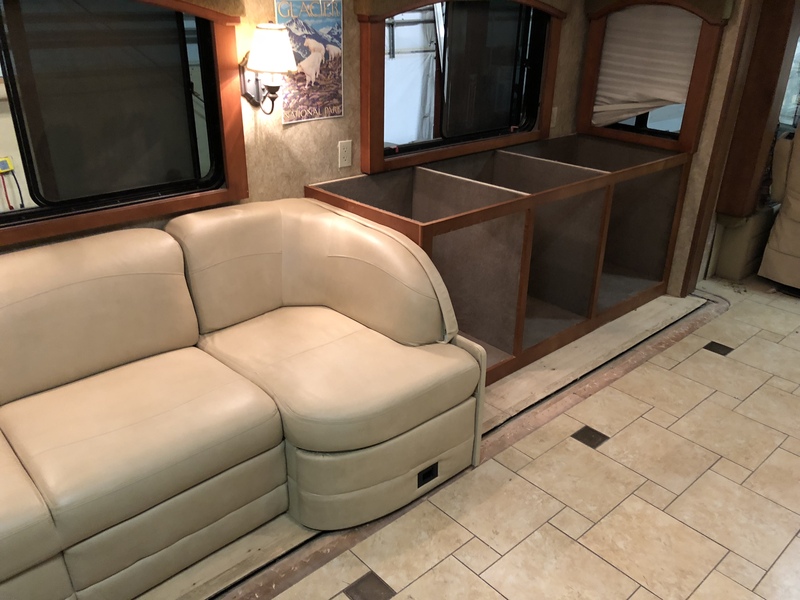 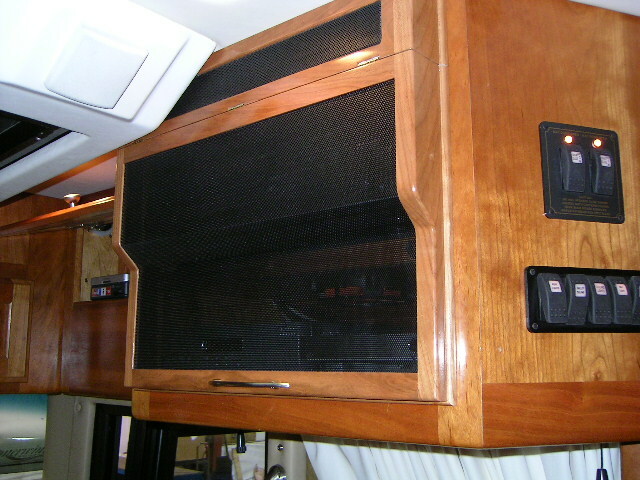 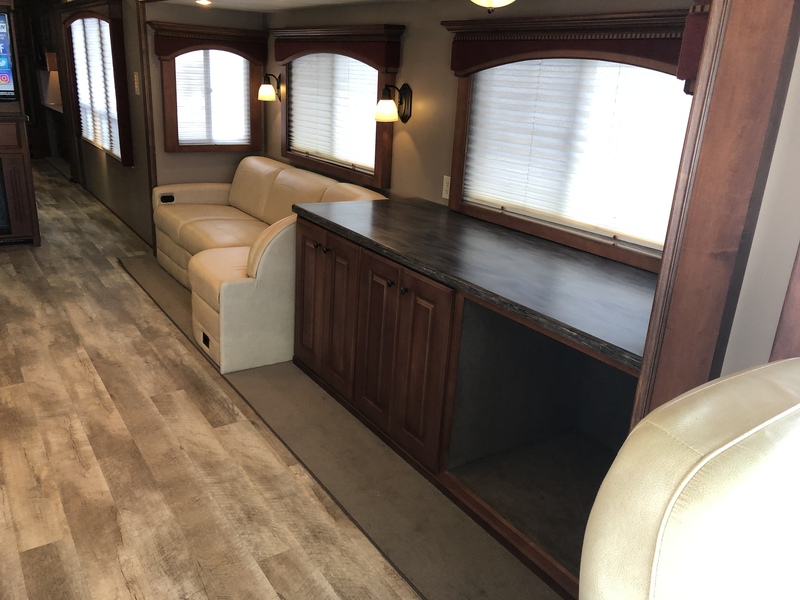 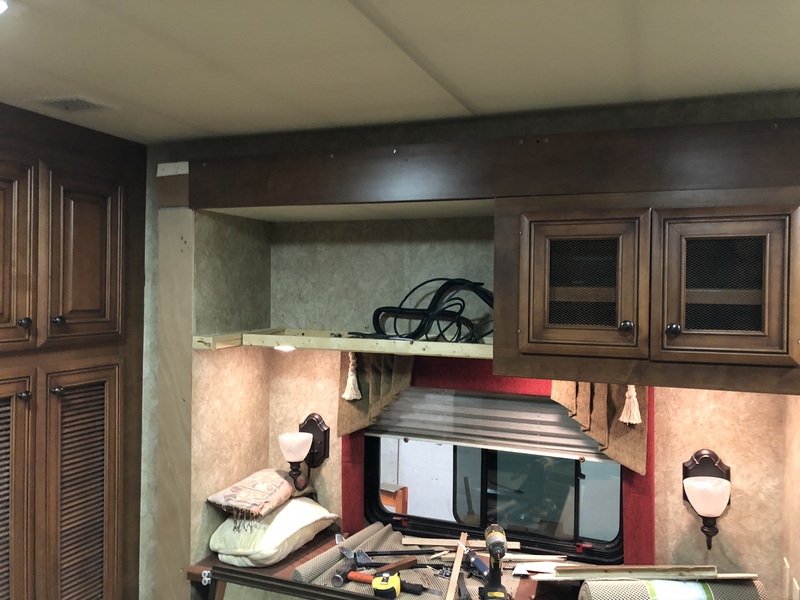 Along with our un equaled quality Truline RV also offers exclusivity, at your request any or all of the unique products produced for your coach will not be used again in another coach. 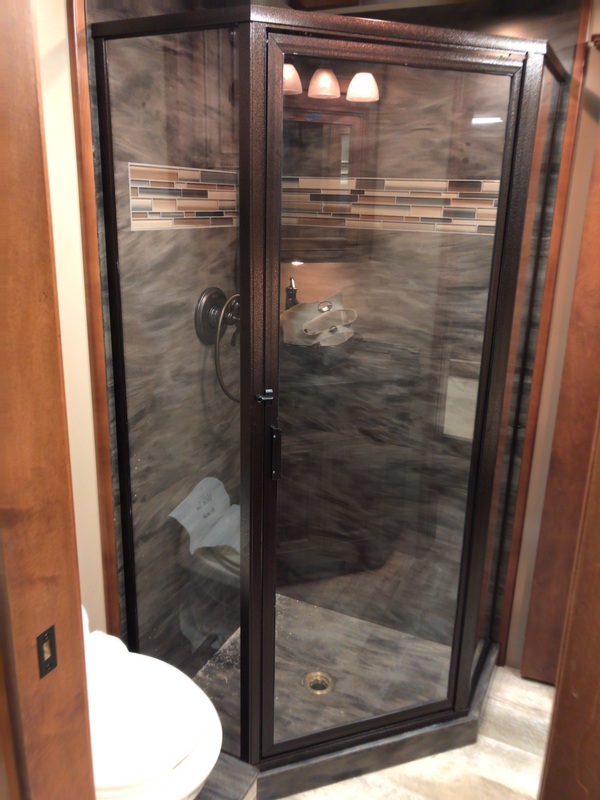 We have many amazing products and gadgets not featured on our site that have been created for clients requesting confidentiality. 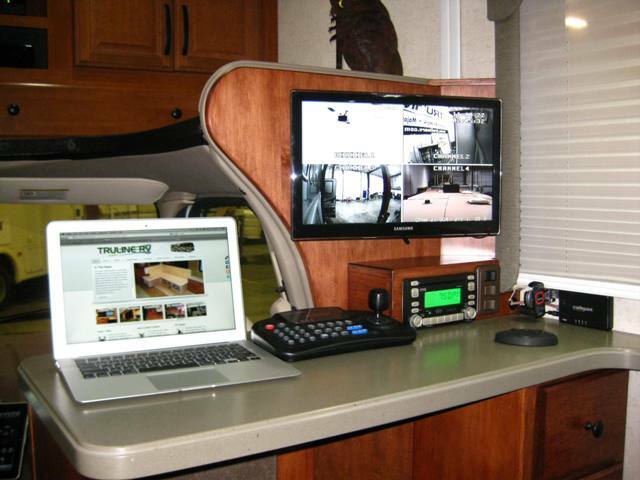 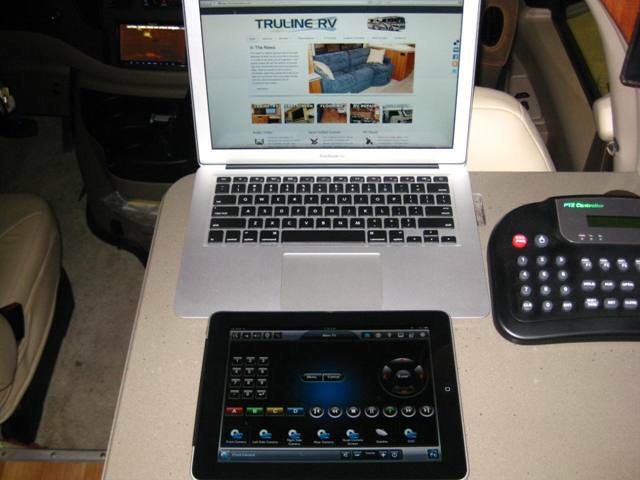 Truline RV is accustomed to working under confidentiality agreements and takes the privacy of our clients very seriously.